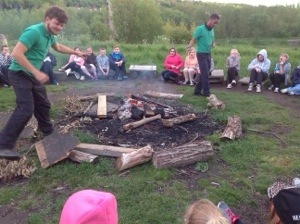 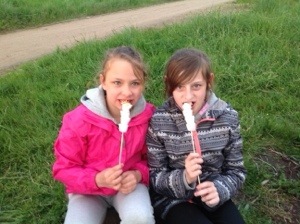 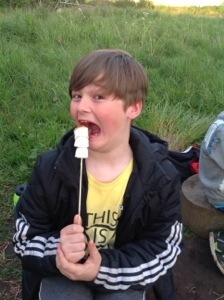 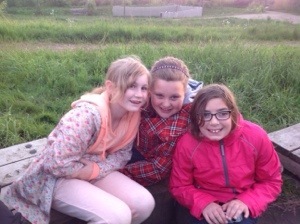 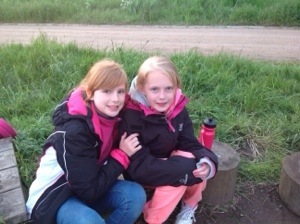 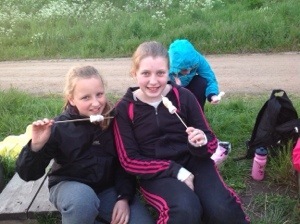 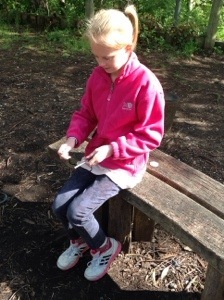 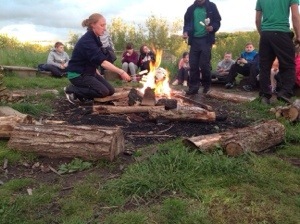 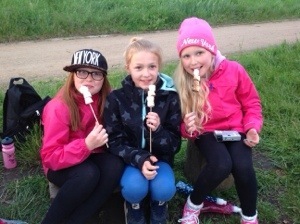 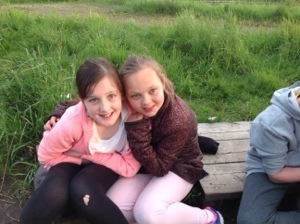 We’ve had lots of fun singing songs, telling jokes and riddles and toasting marshmallows…yummy! 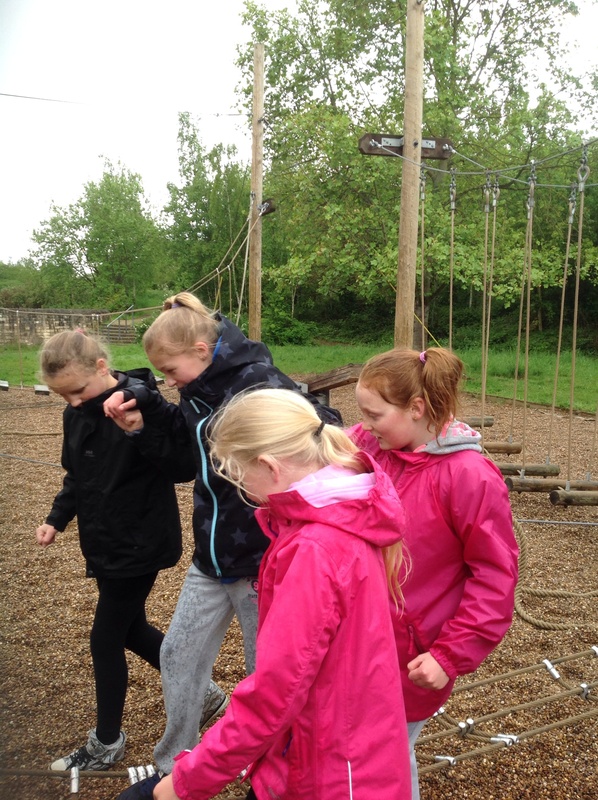 A damp but fun morning! 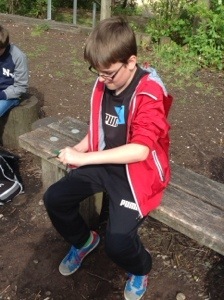 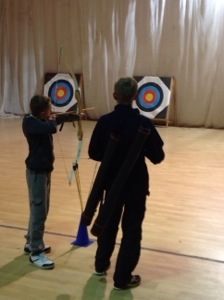 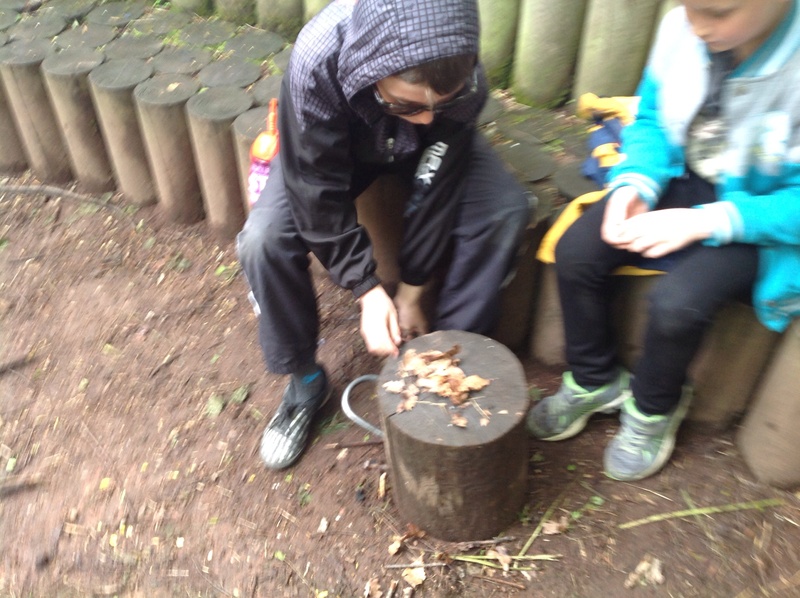 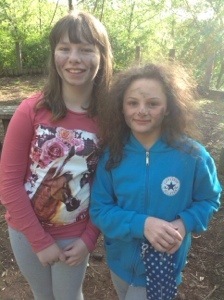 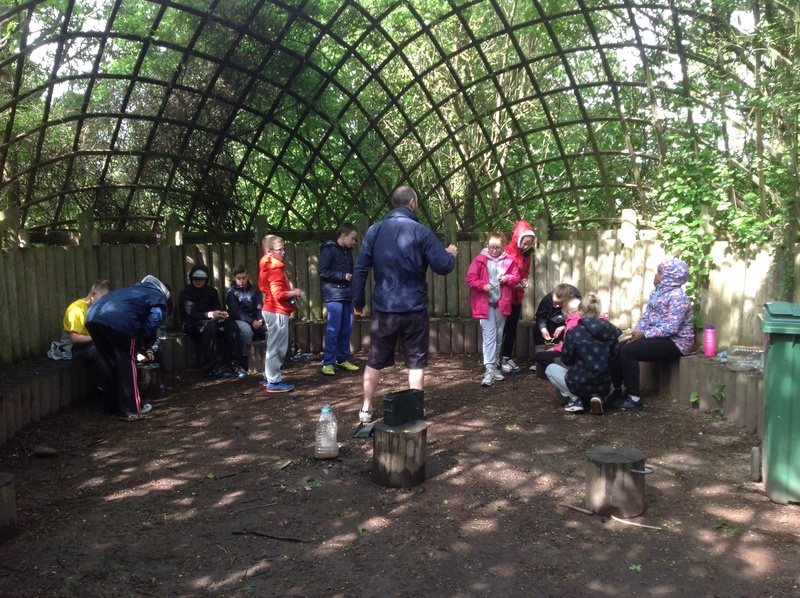 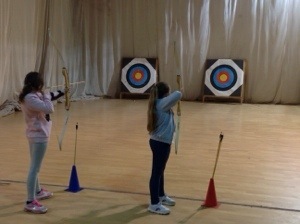 Group R have enjoyed bushcraft and archery after a filling breakfast of sausages, beans, hash browns, mushrooms and tomatoes. 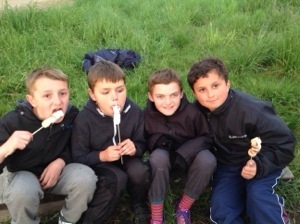 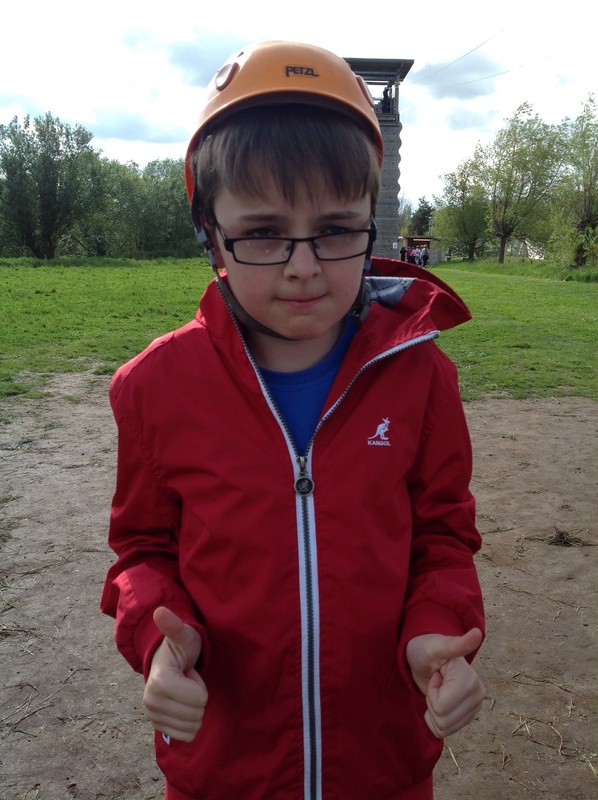 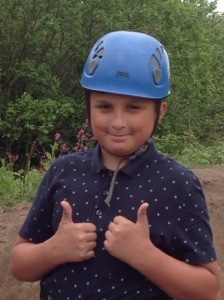 We could also choose cereal, toast, fruit and yoghurt … Once again the food gets a big thumbs up from us! 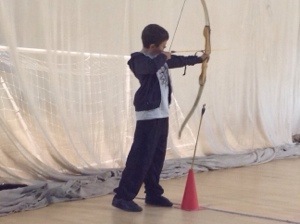 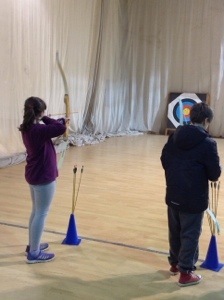 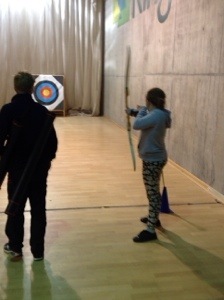 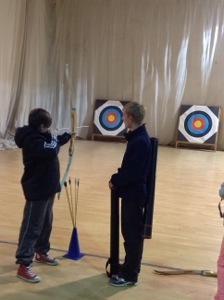 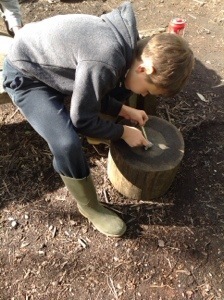 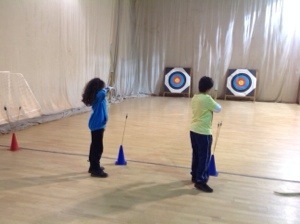 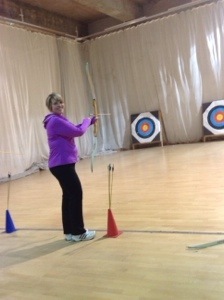 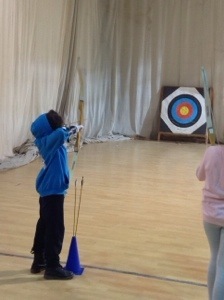 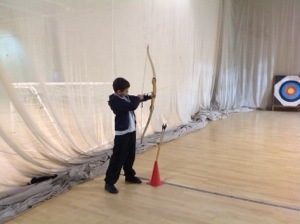 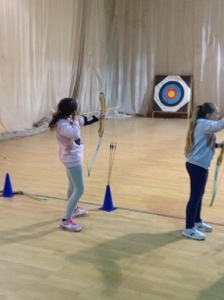 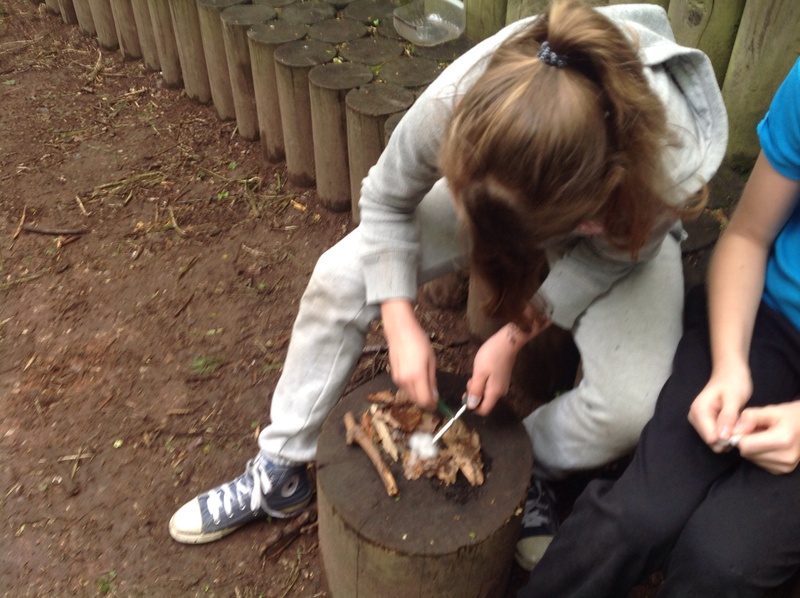 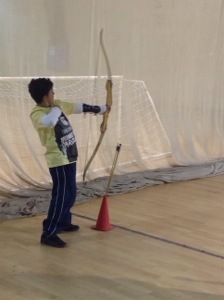 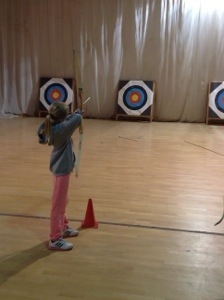 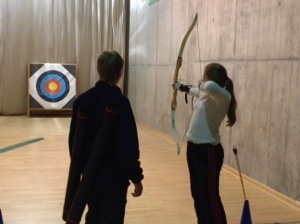 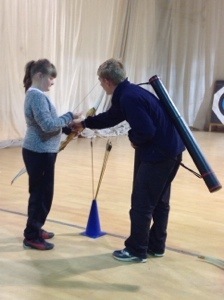 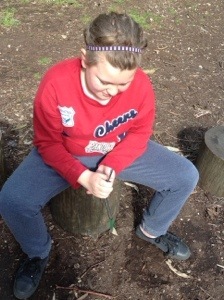 We all managed to start a fire with a flint but the bow drill was really difficult! 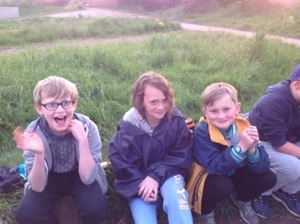 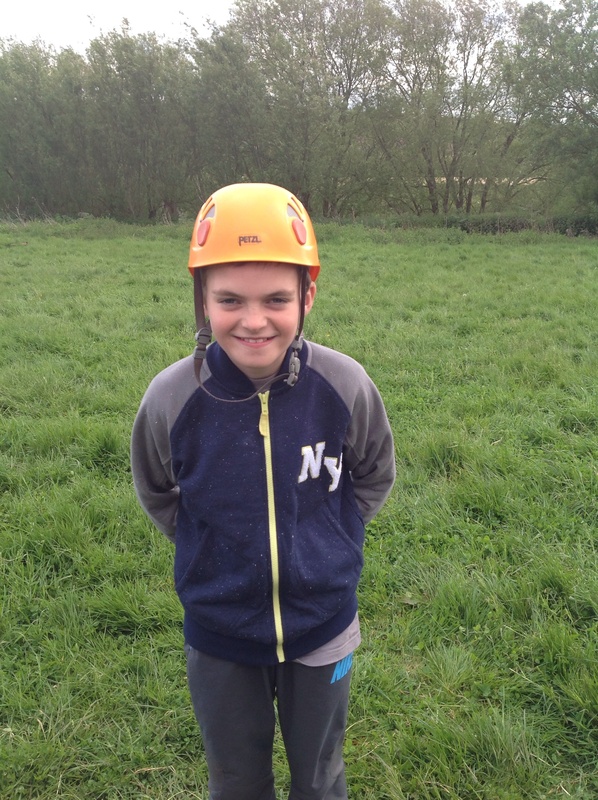 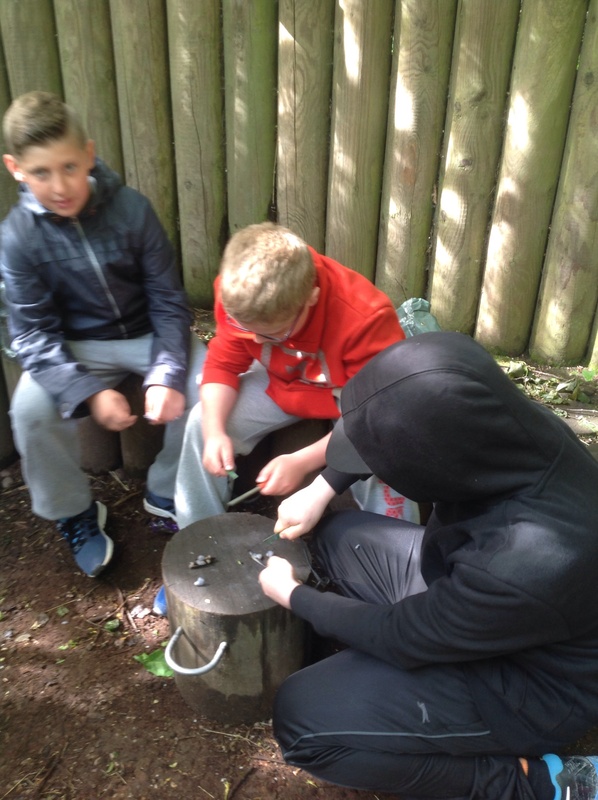 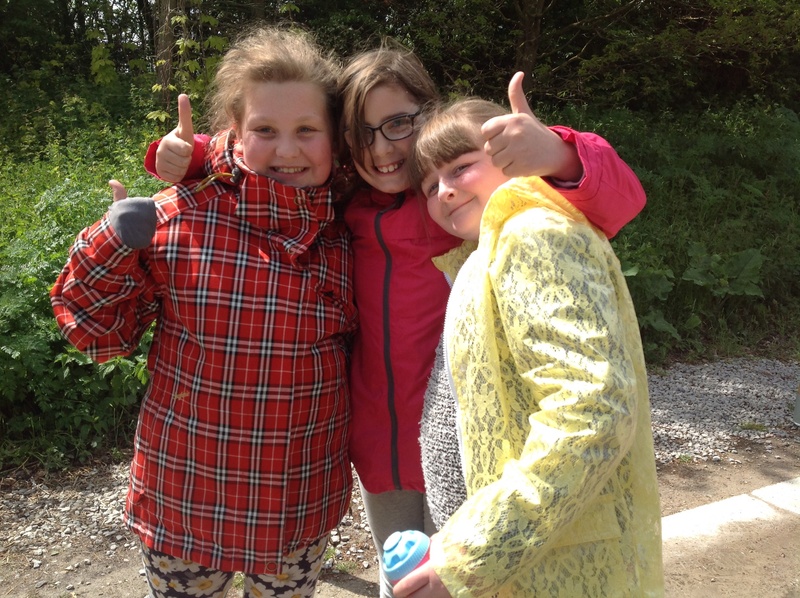 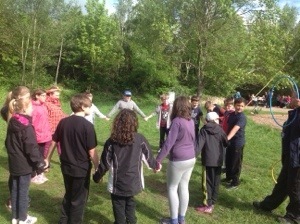 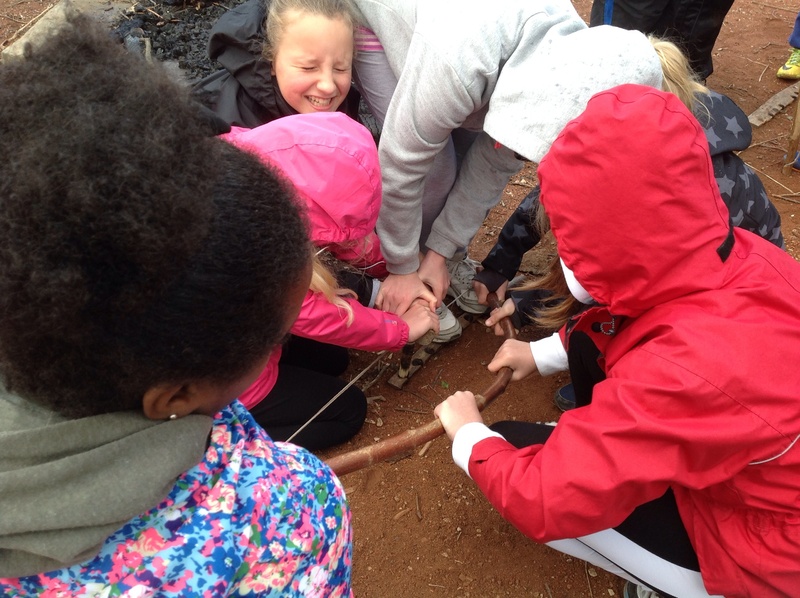 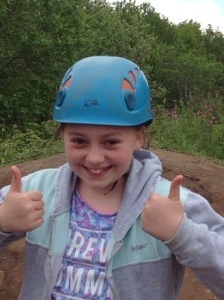 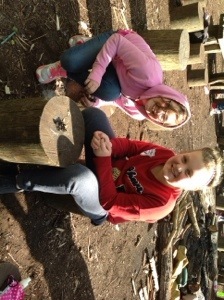 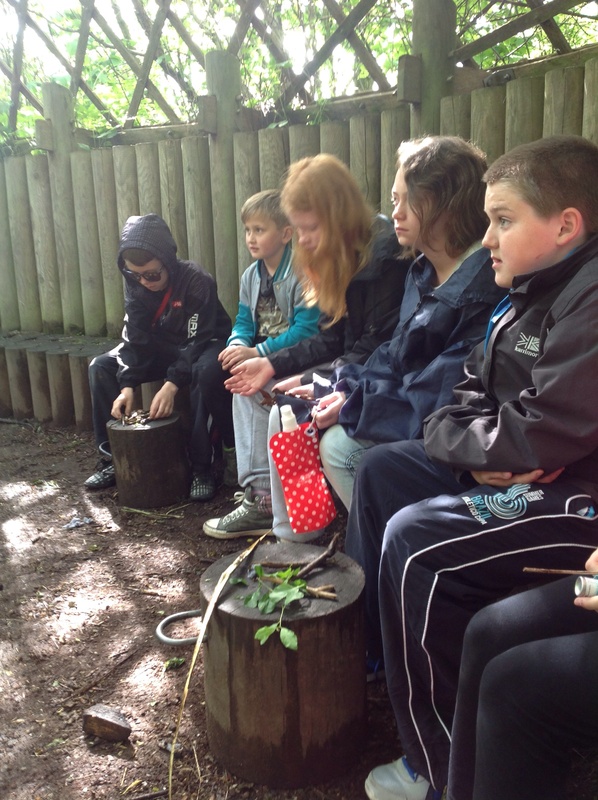 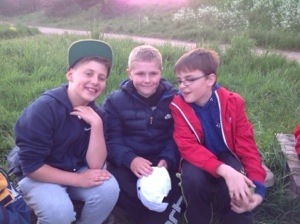 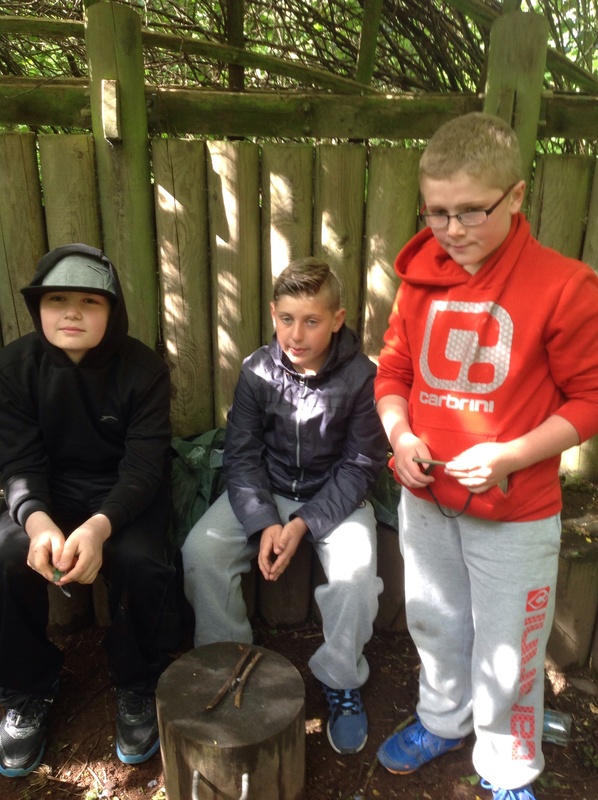 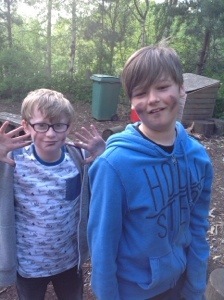 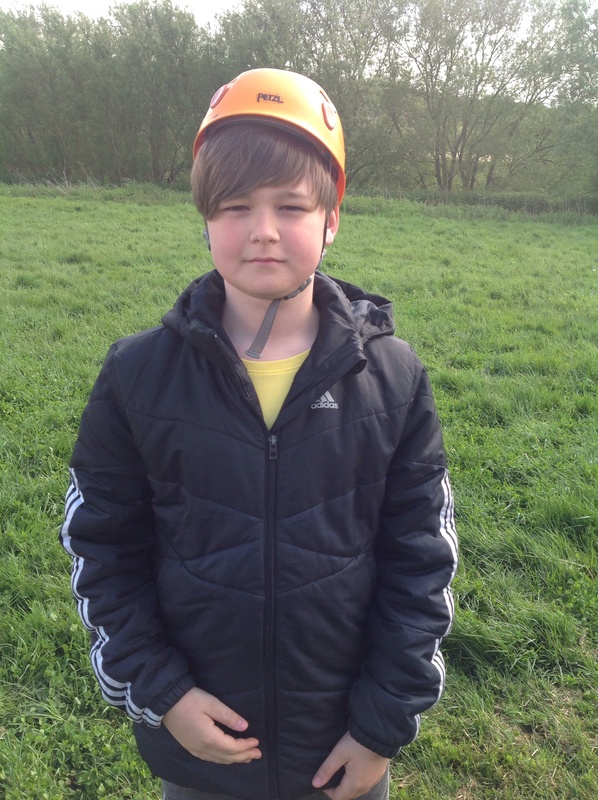 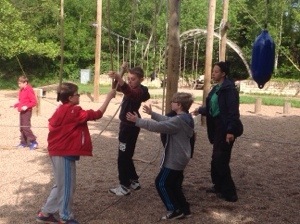 Group S enjoyed bushcraft and were the first to try the low ropes. 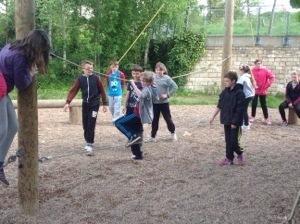 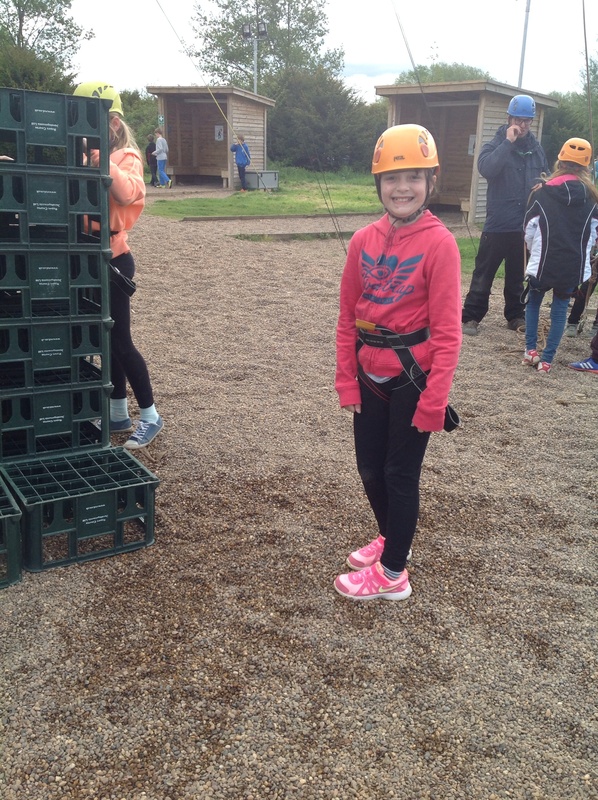 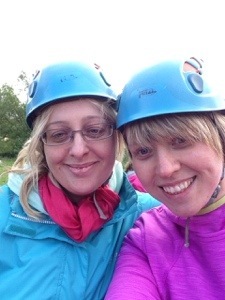 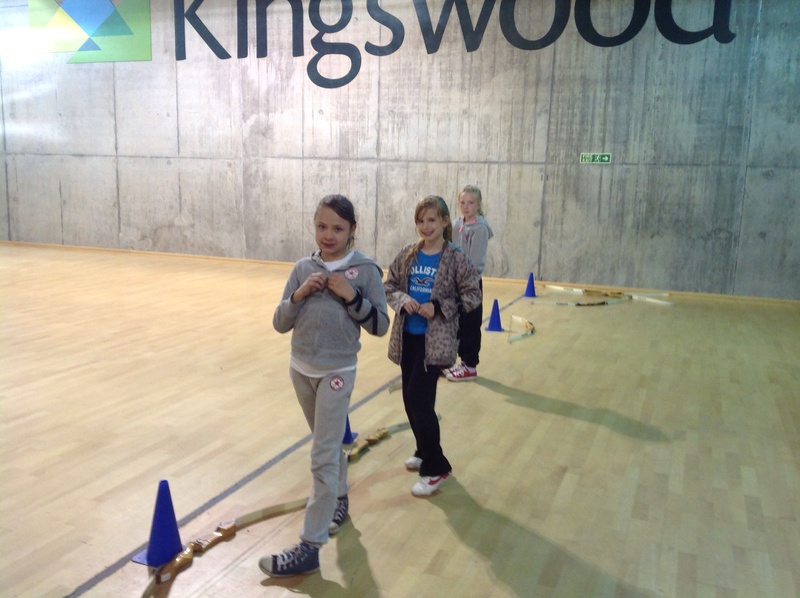 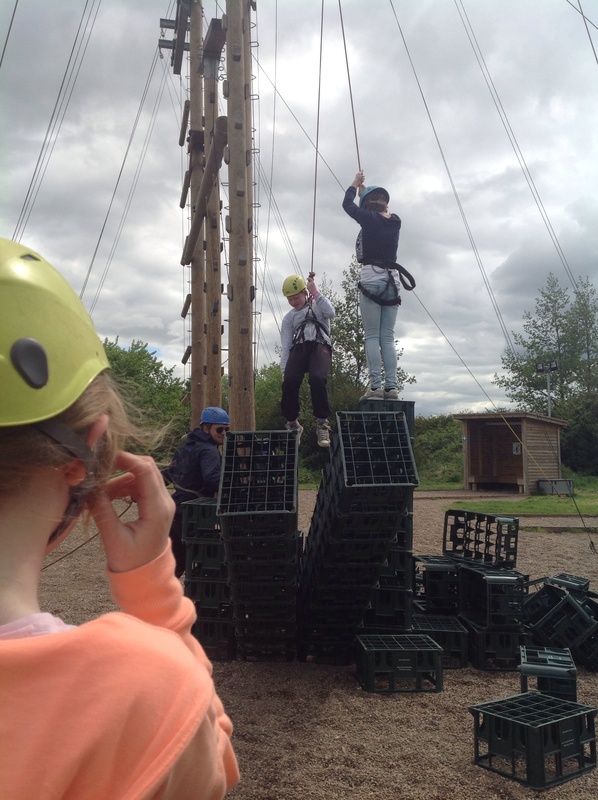 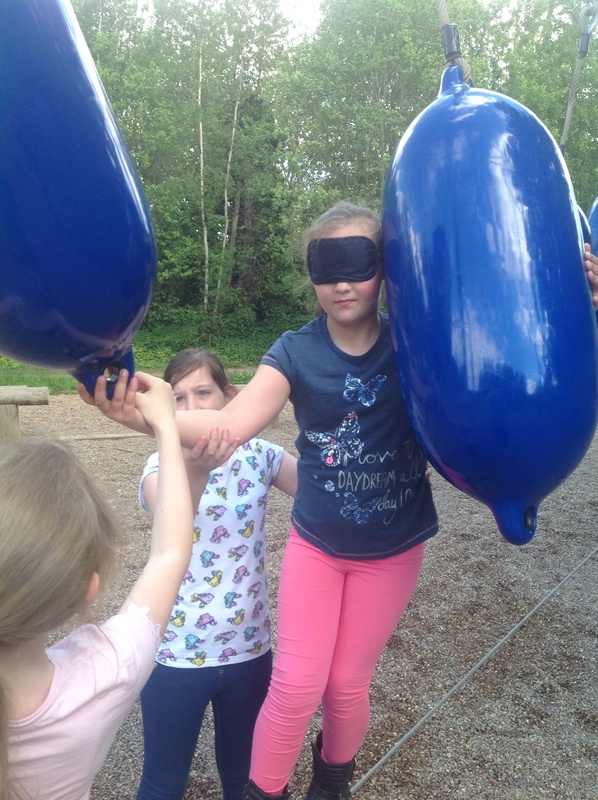 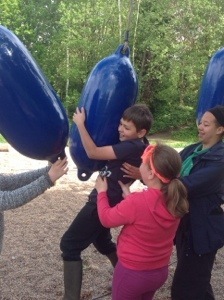 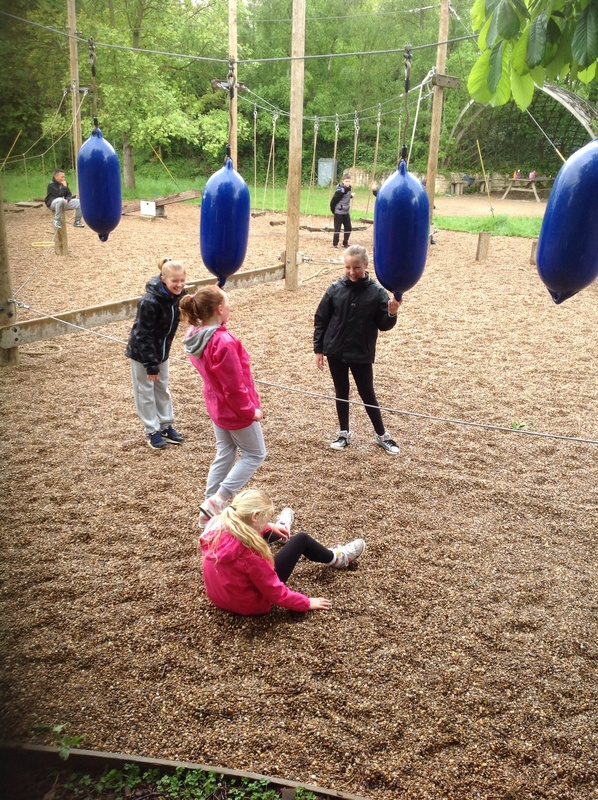 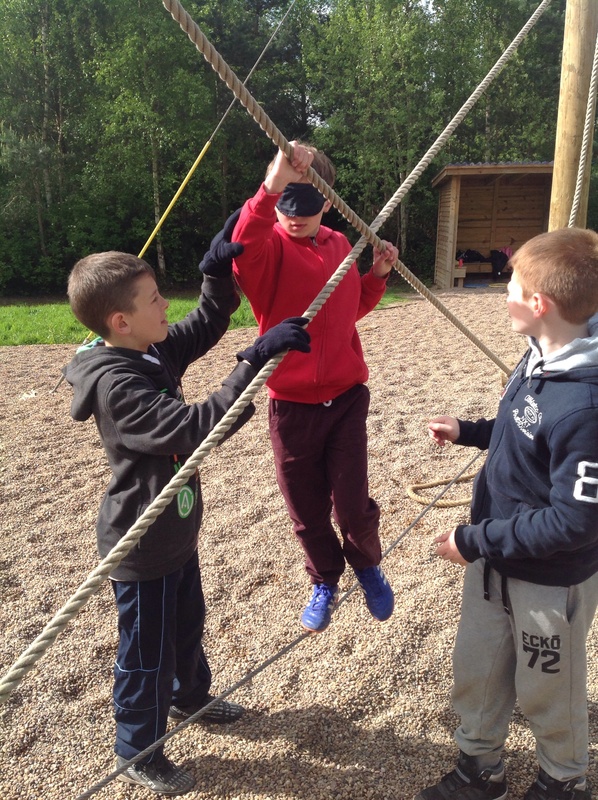 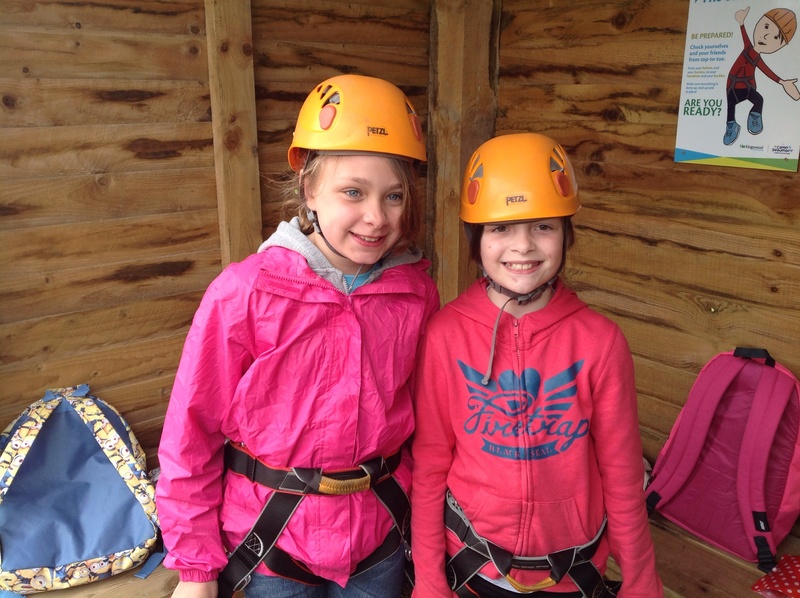 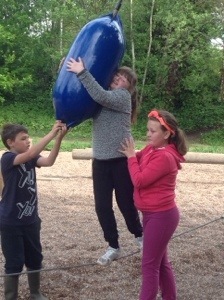 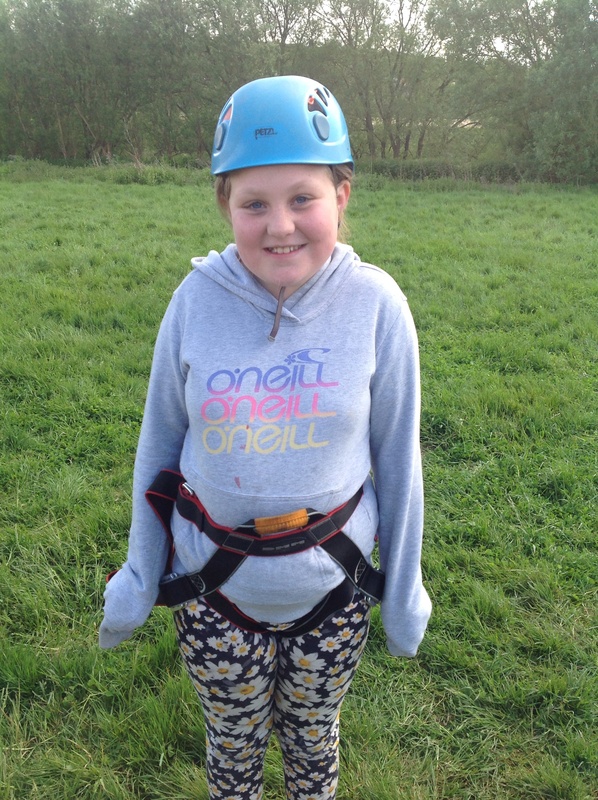 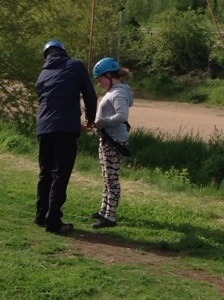 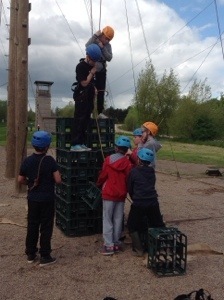 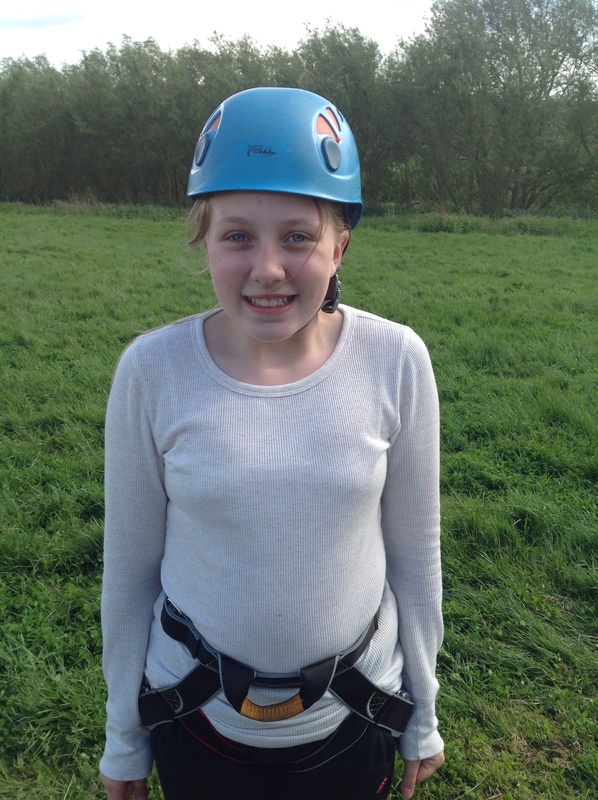 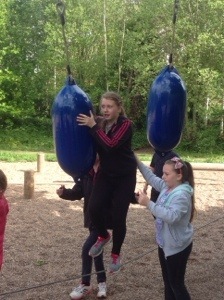 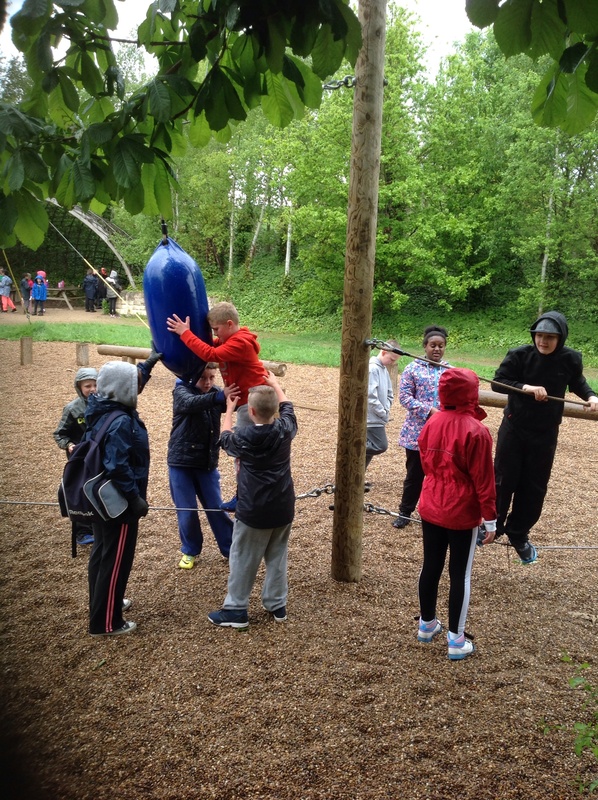 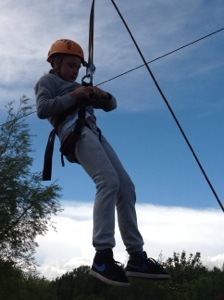 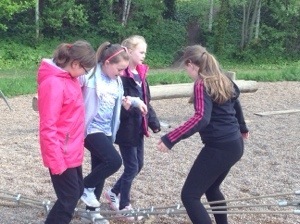 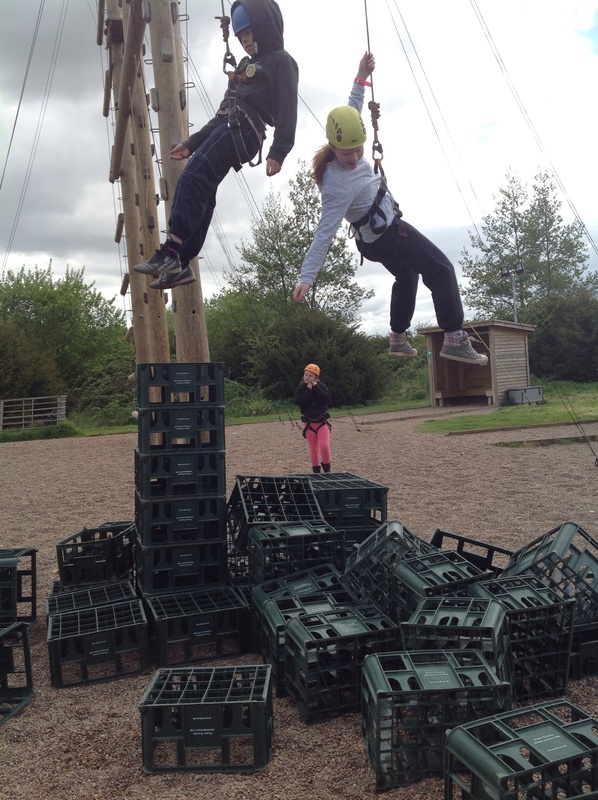 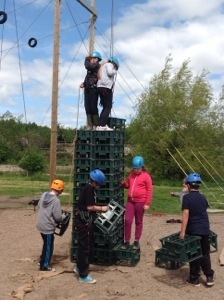 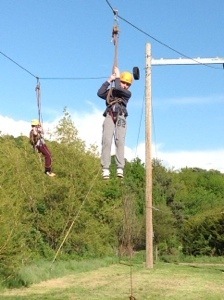 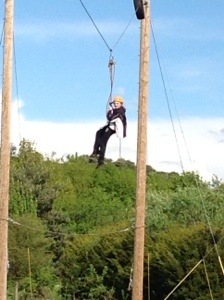 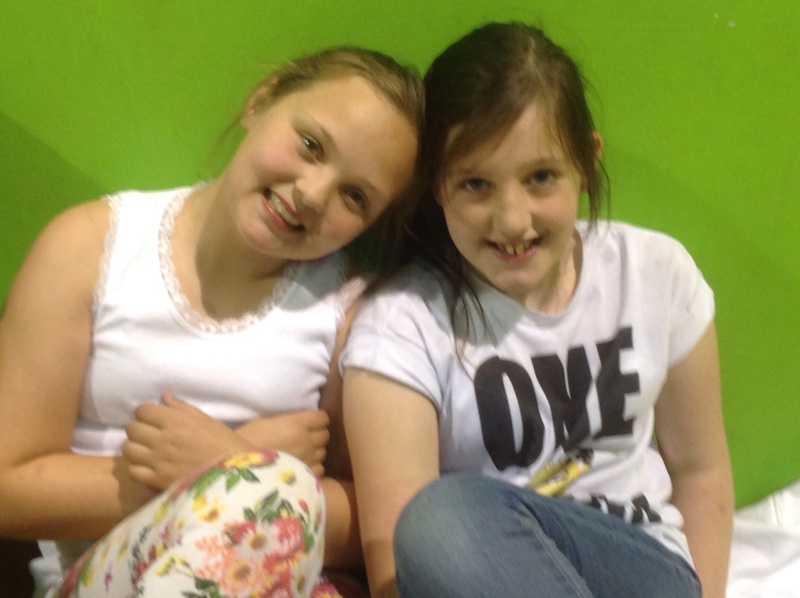 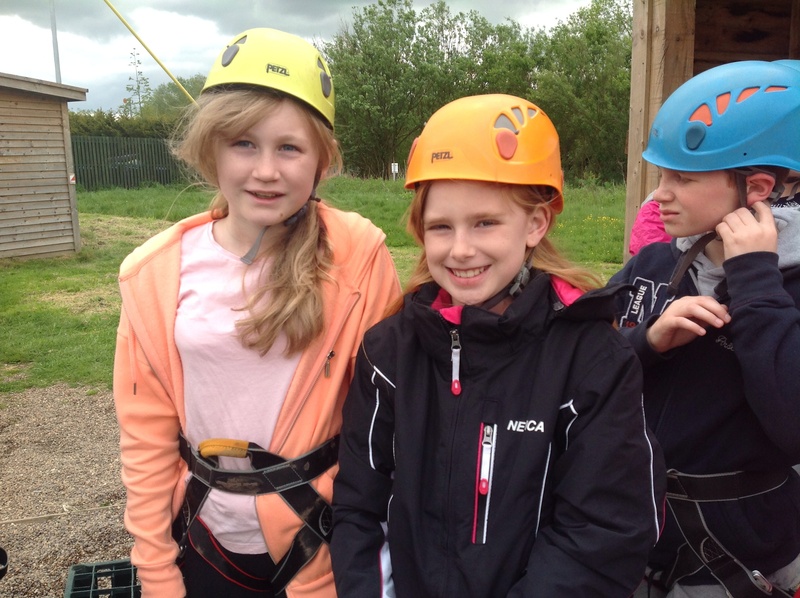 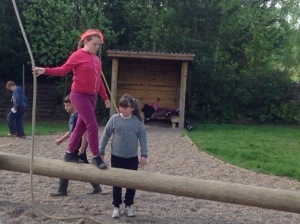 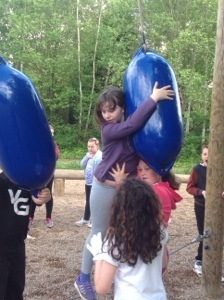 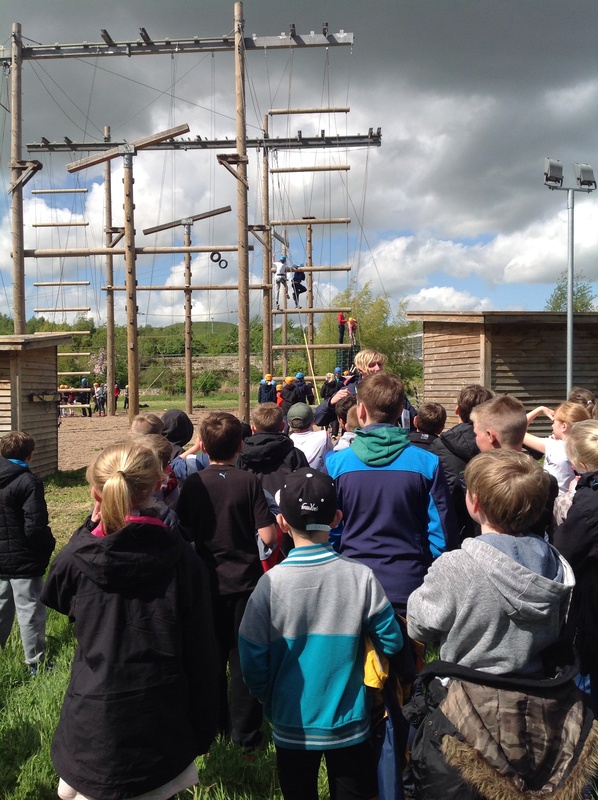 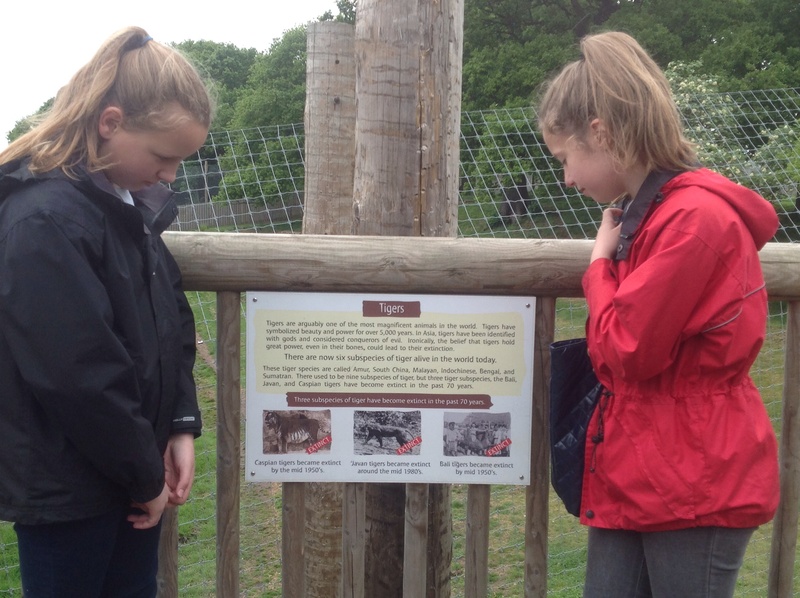 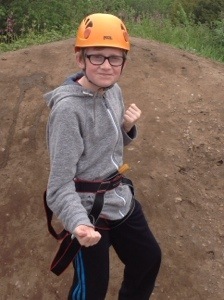 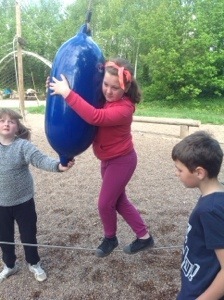 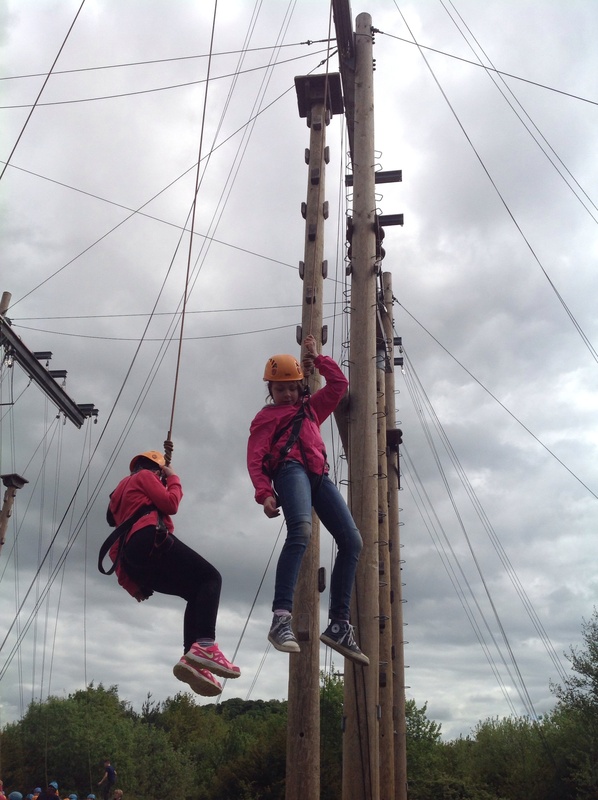 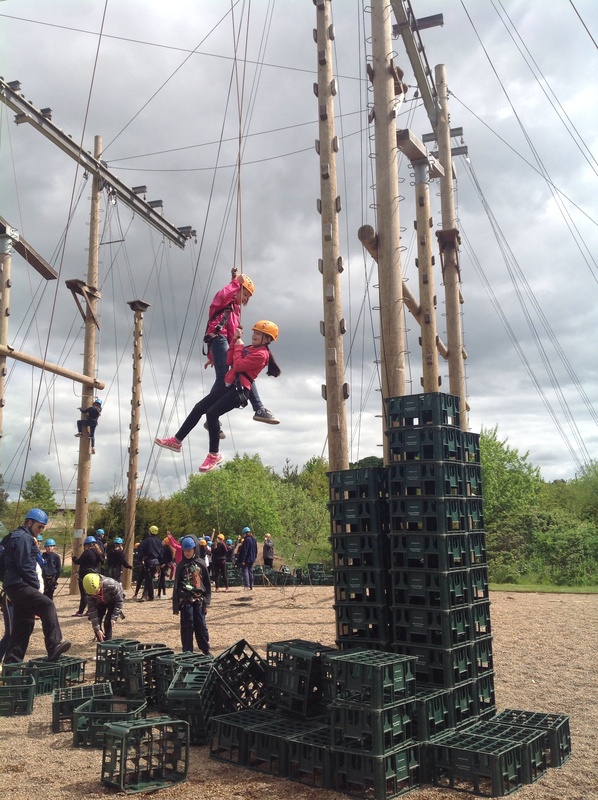 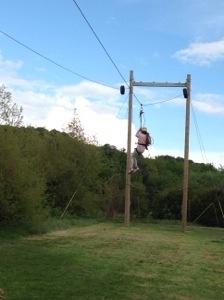 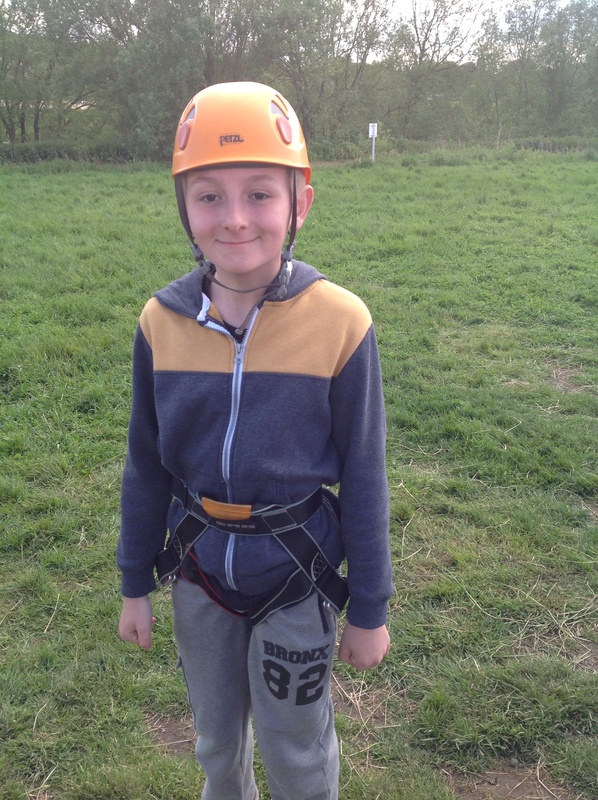 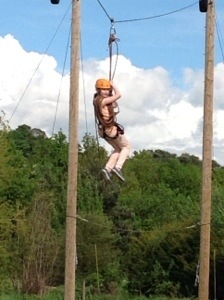 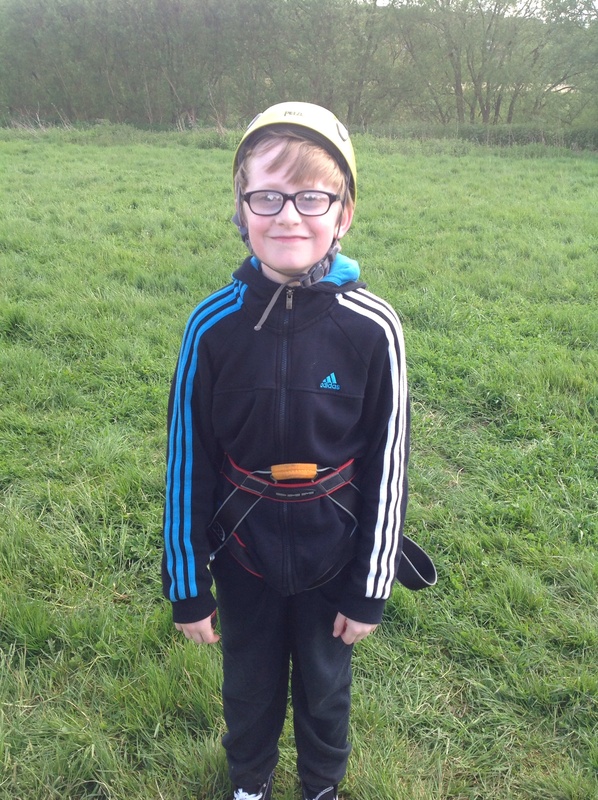 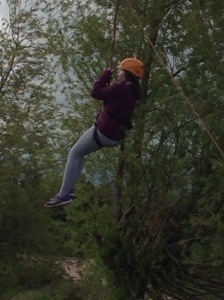 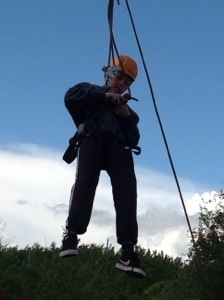 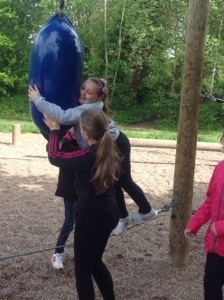 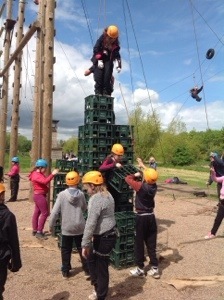 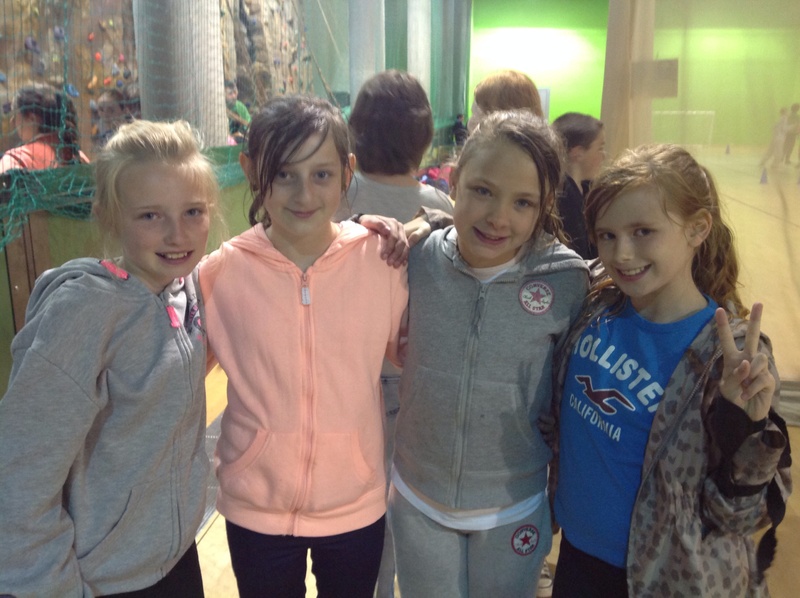 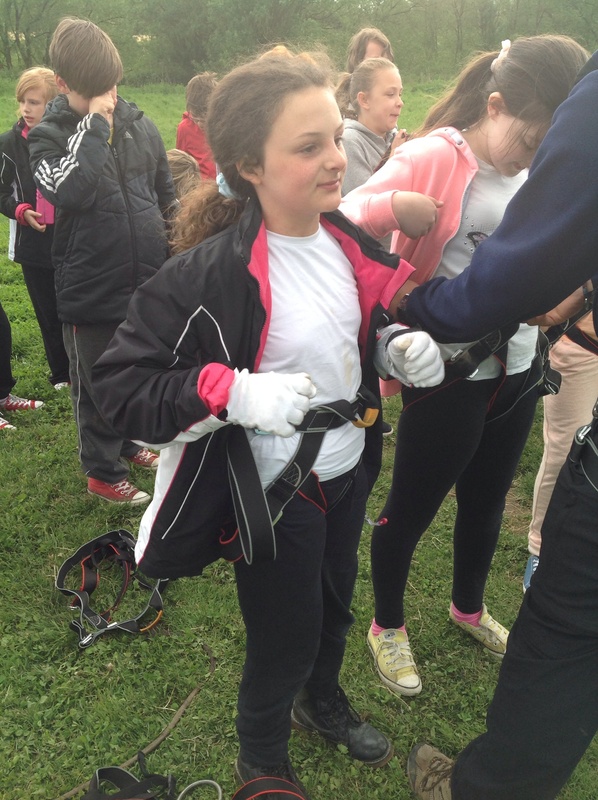 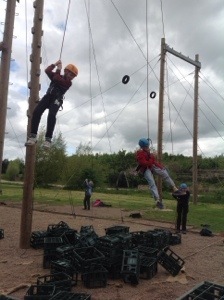 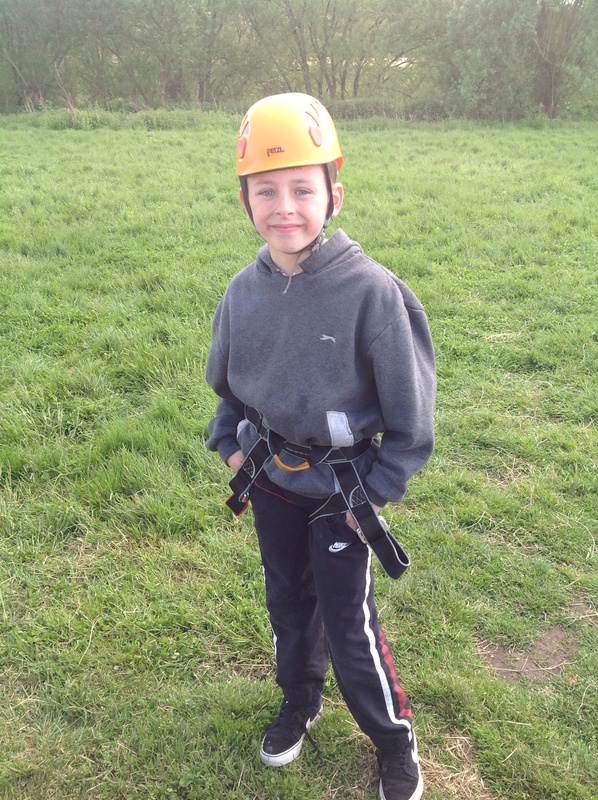 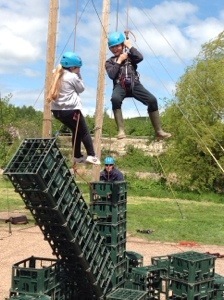 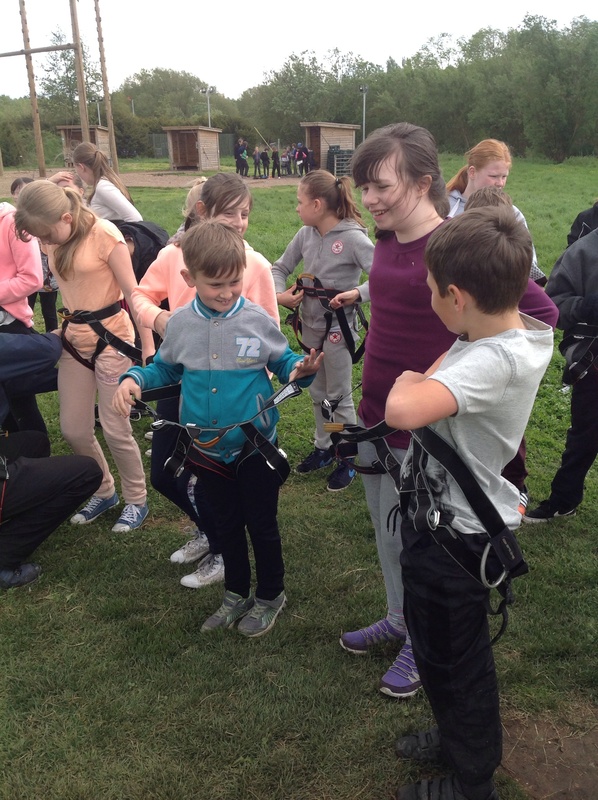 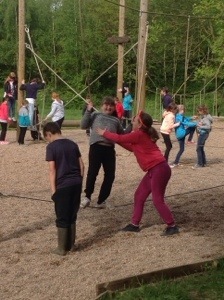 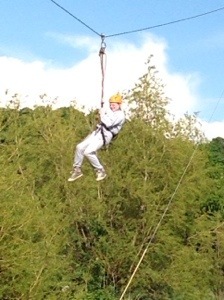 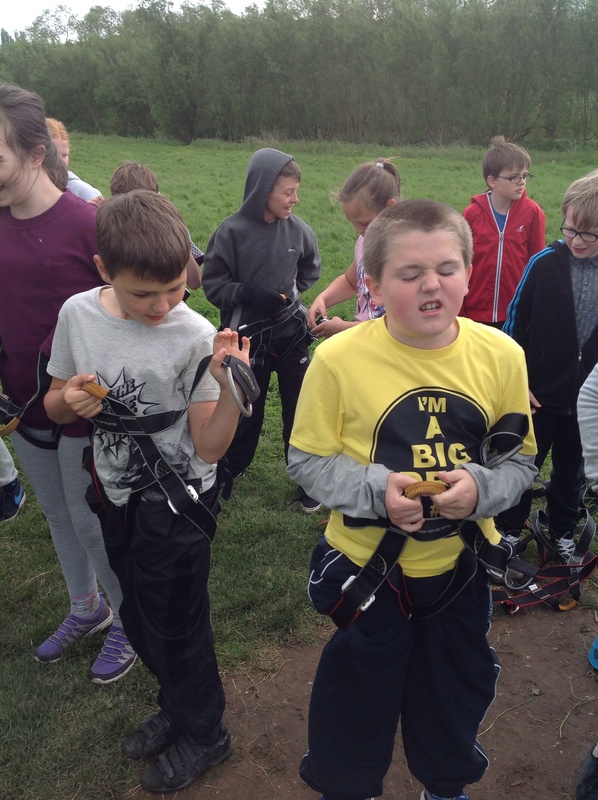 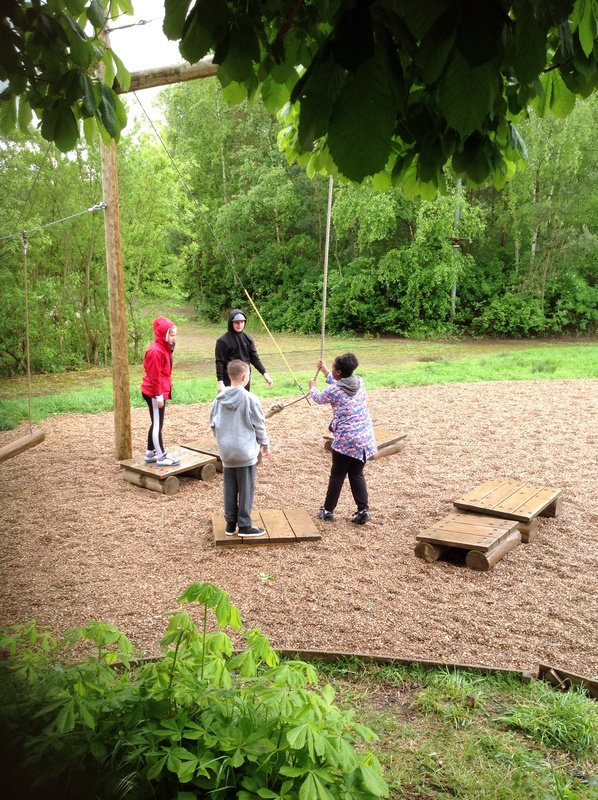 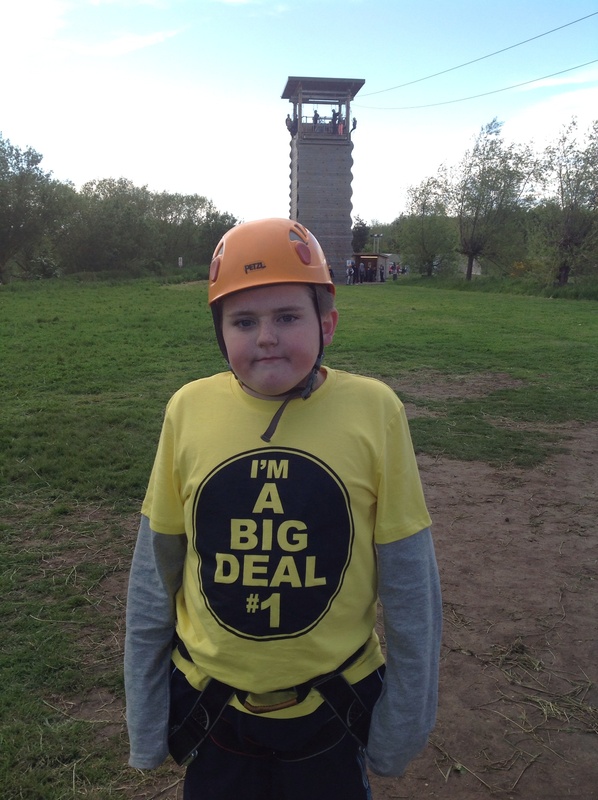 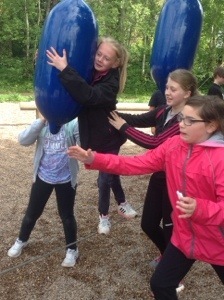 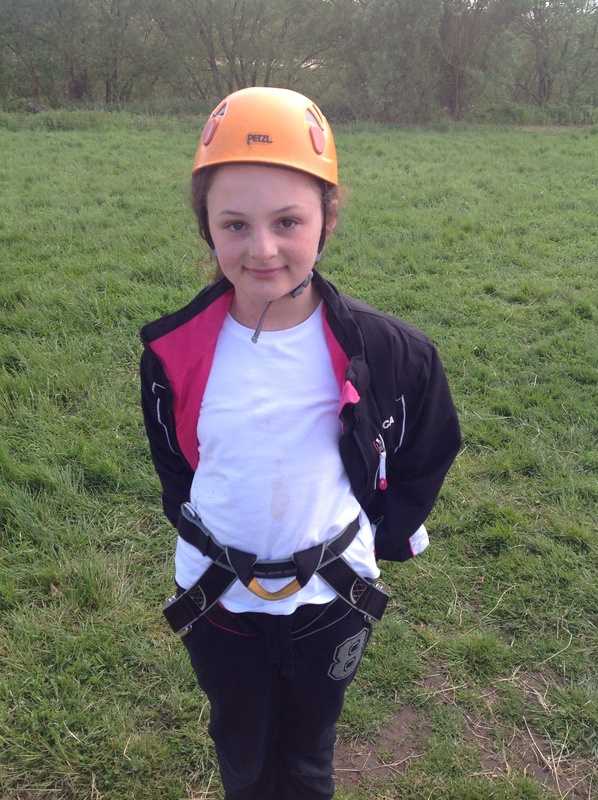 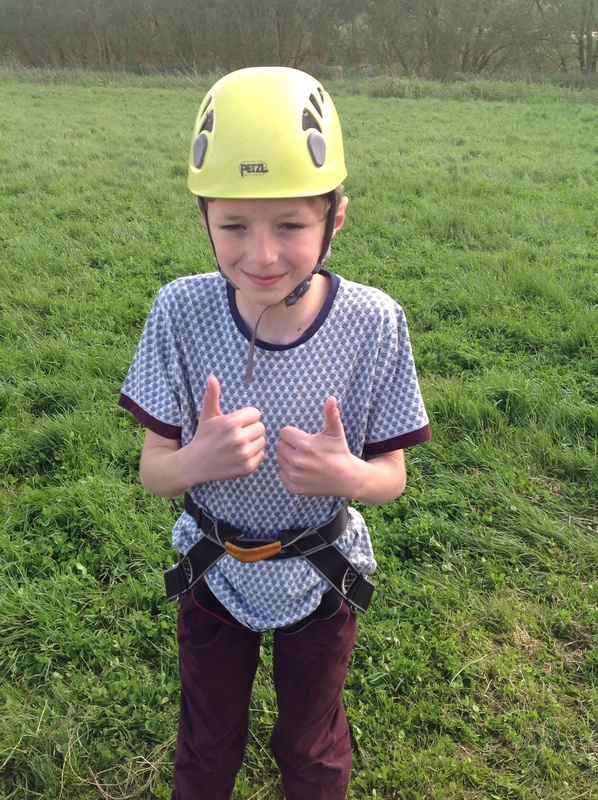 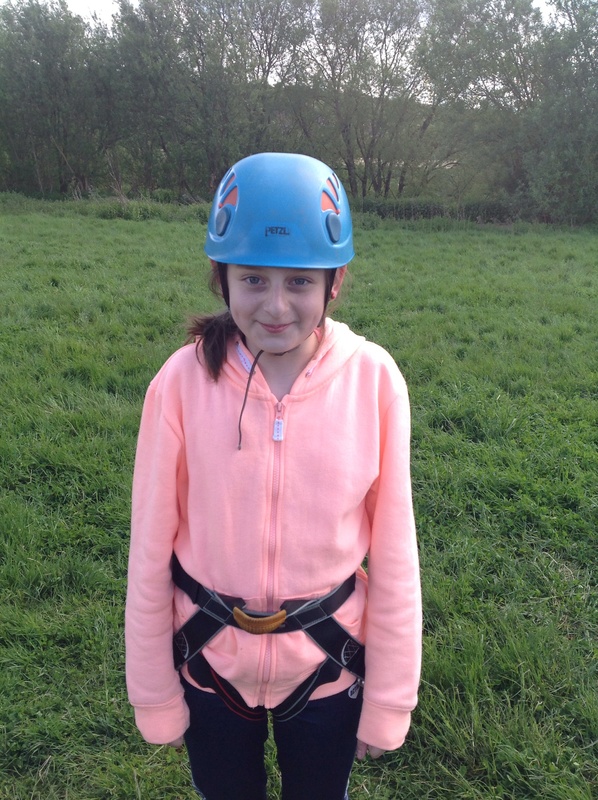 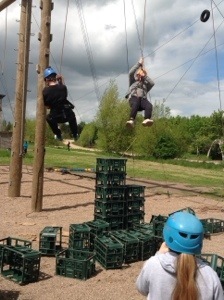 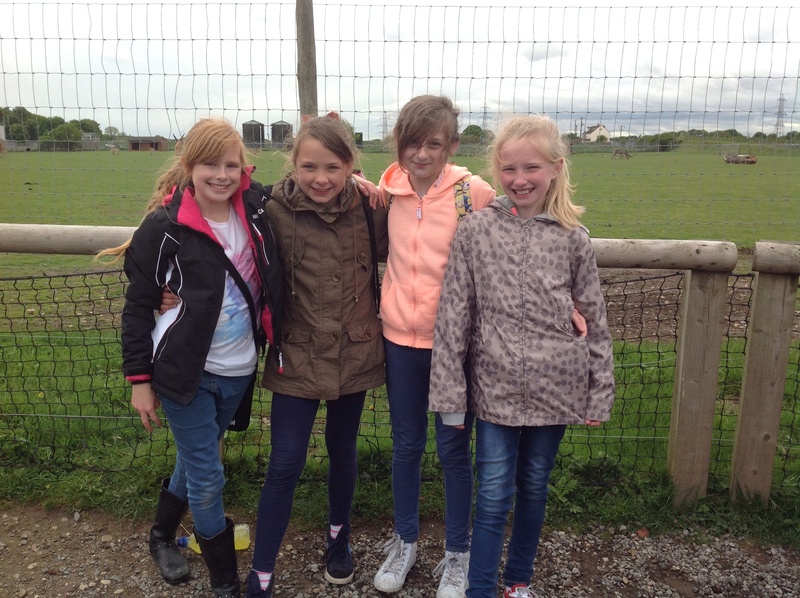 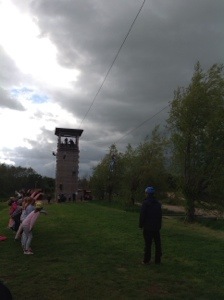 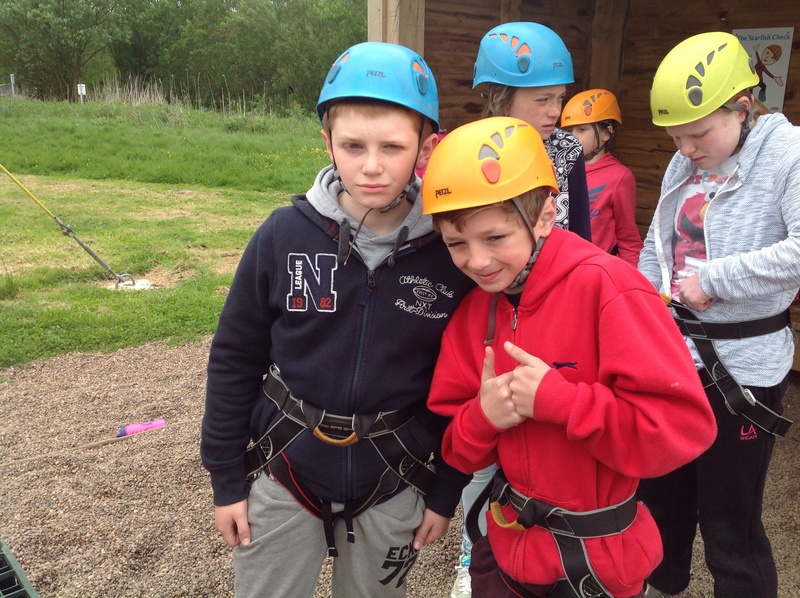 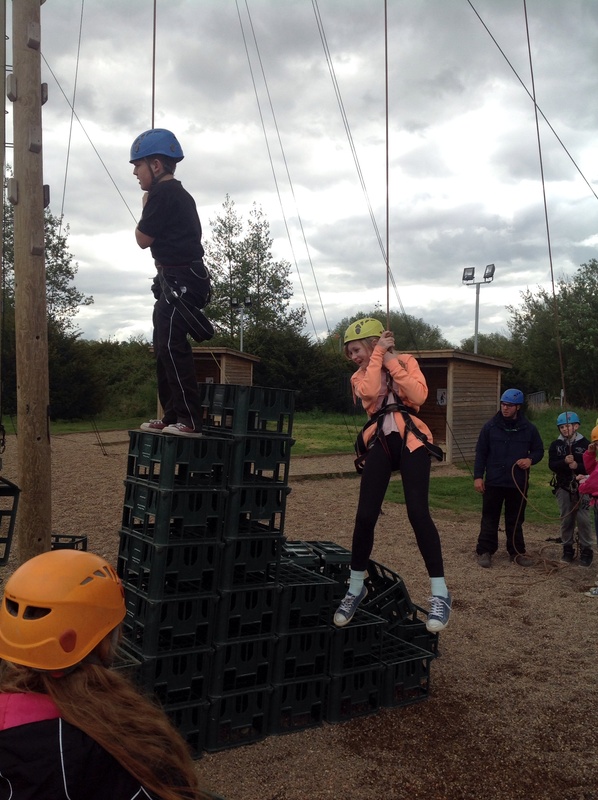 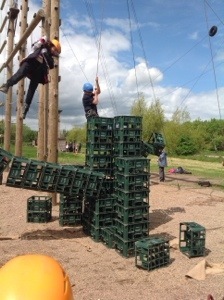 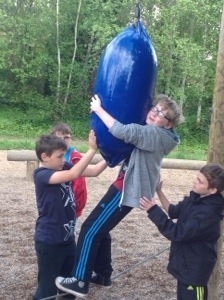 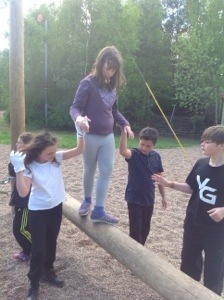 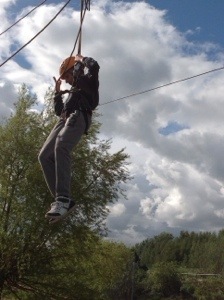 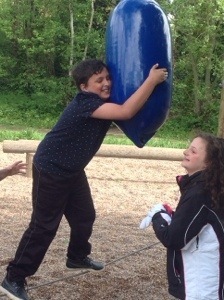 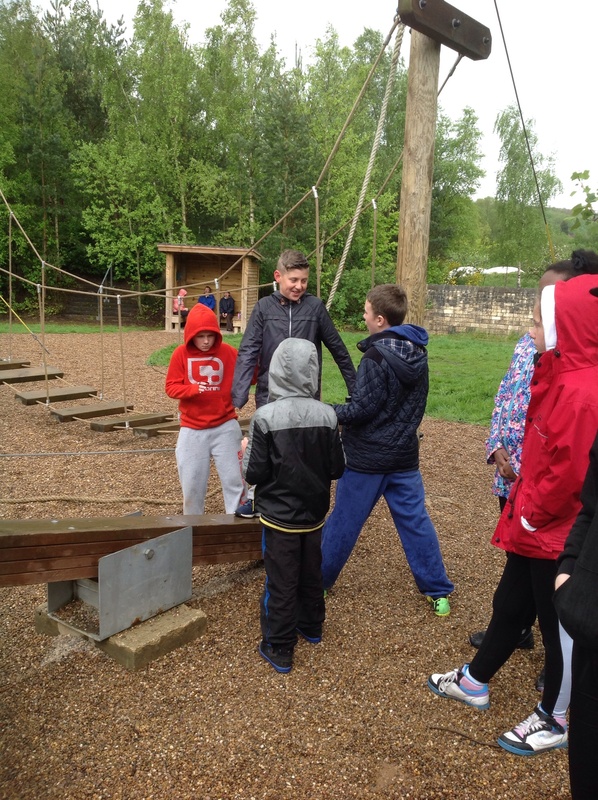 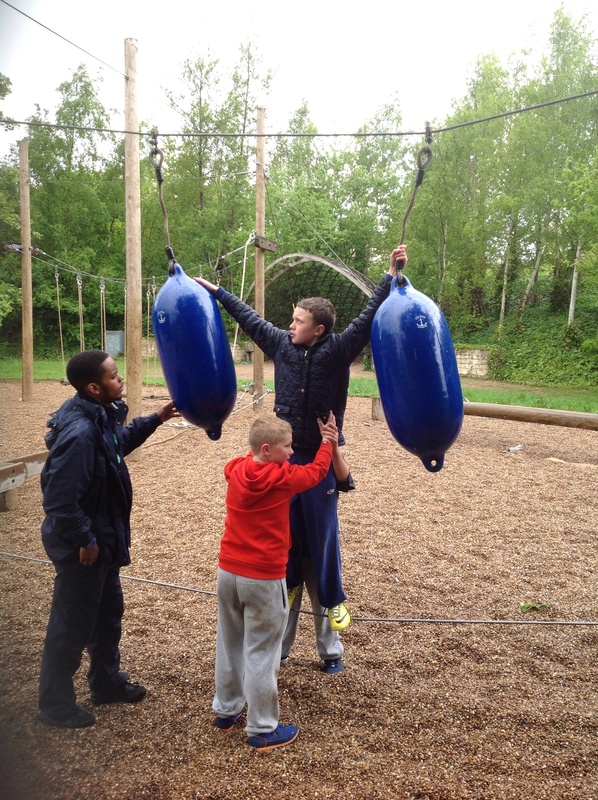 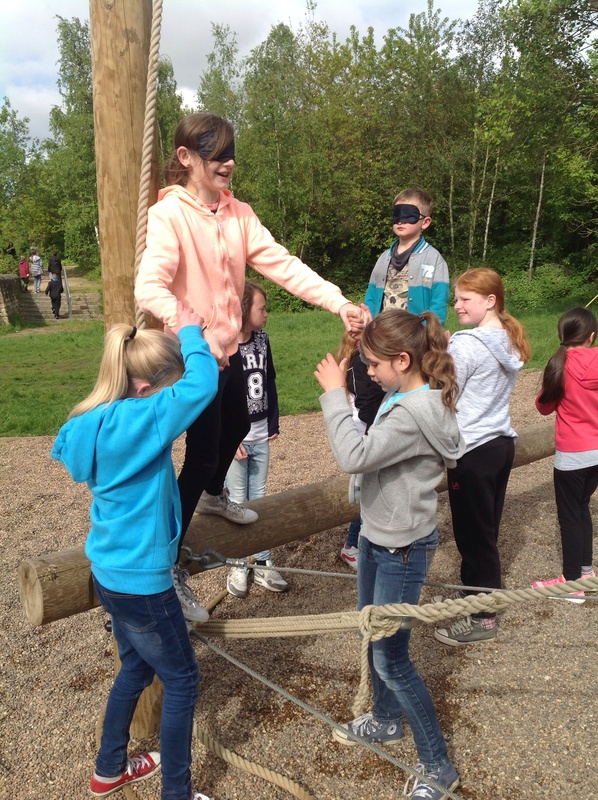 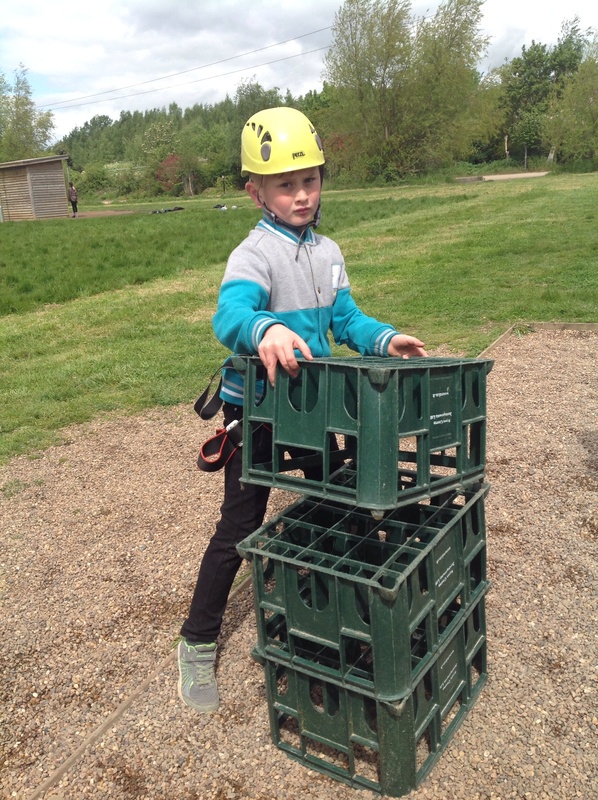 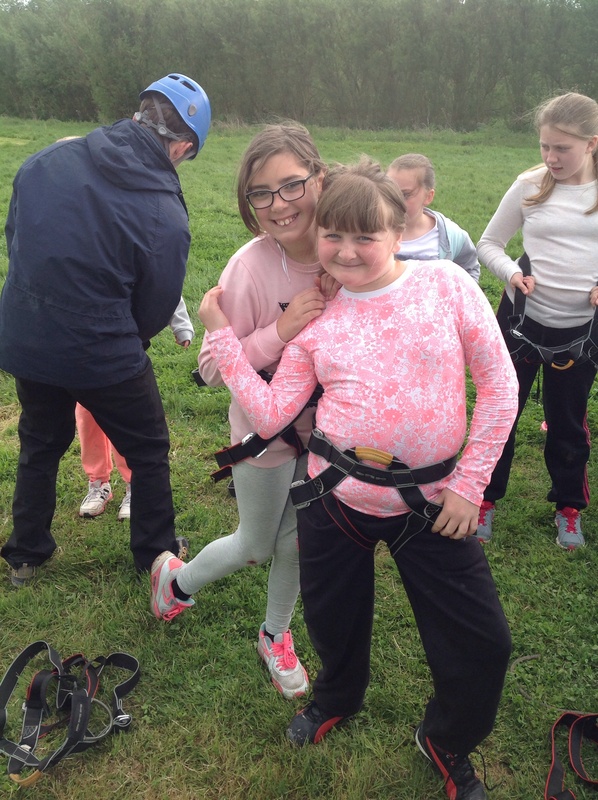 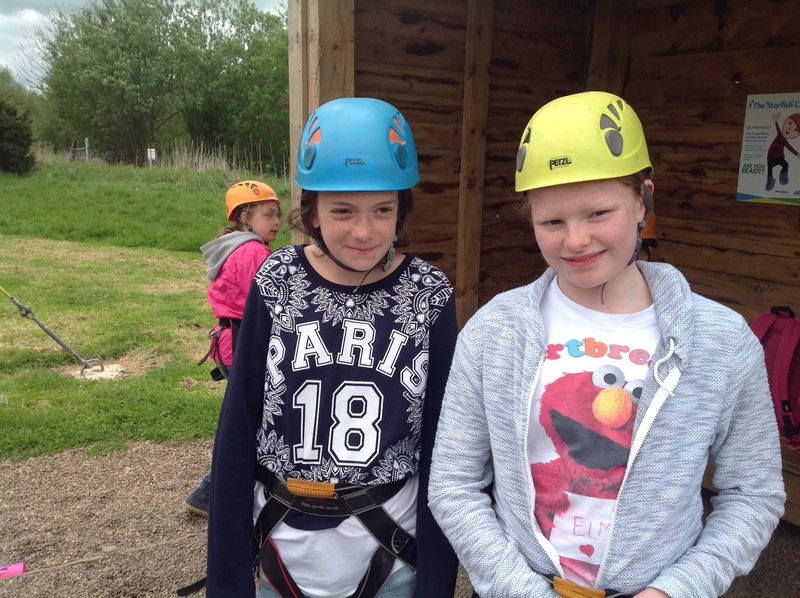 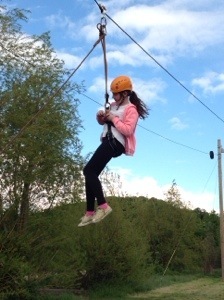 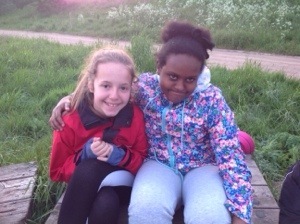 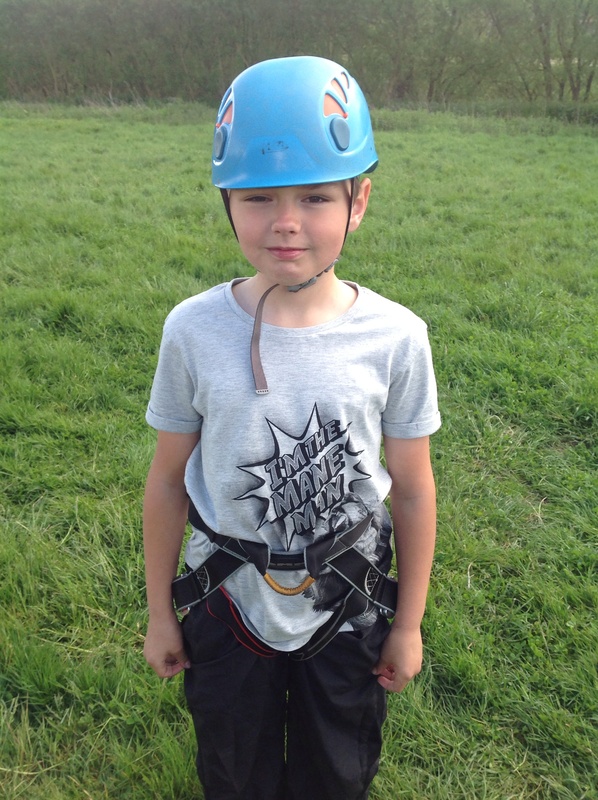 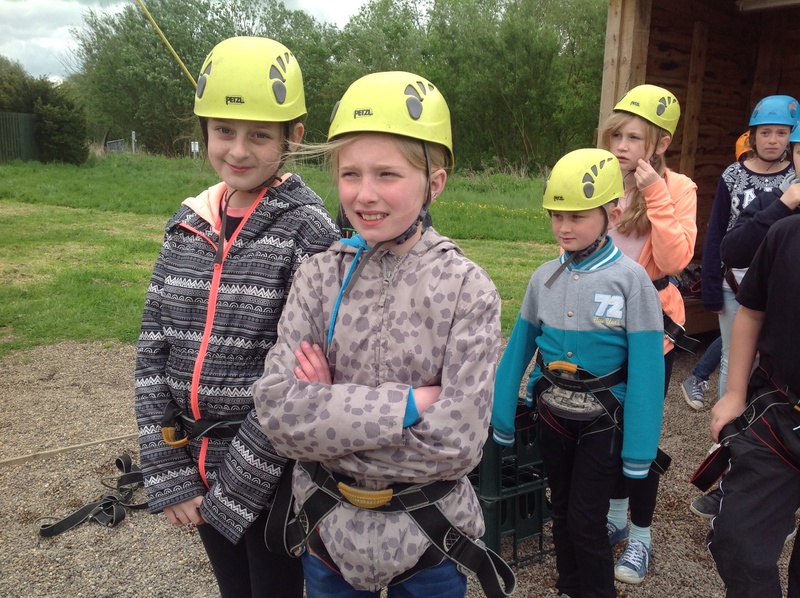 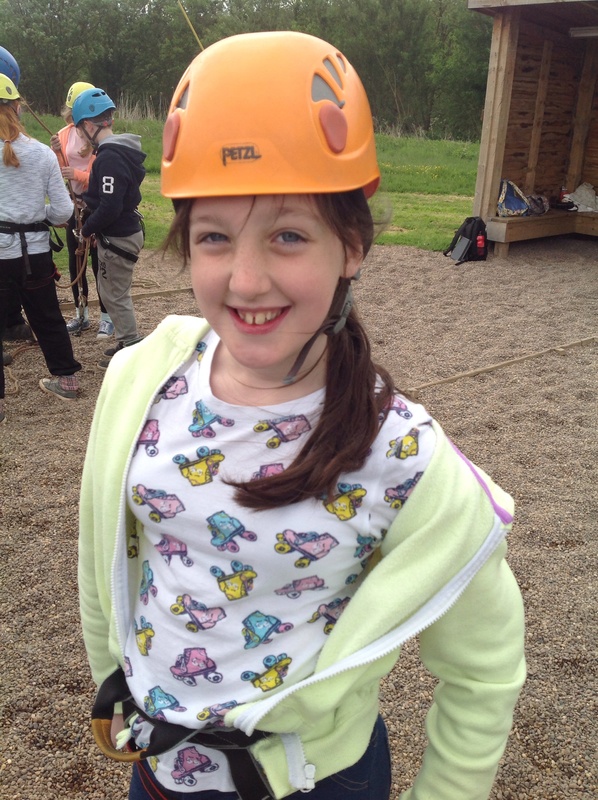 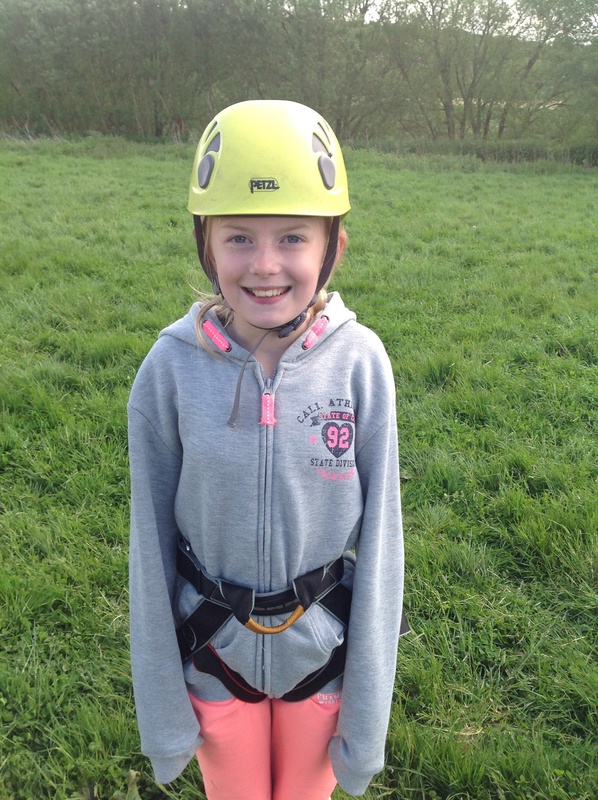 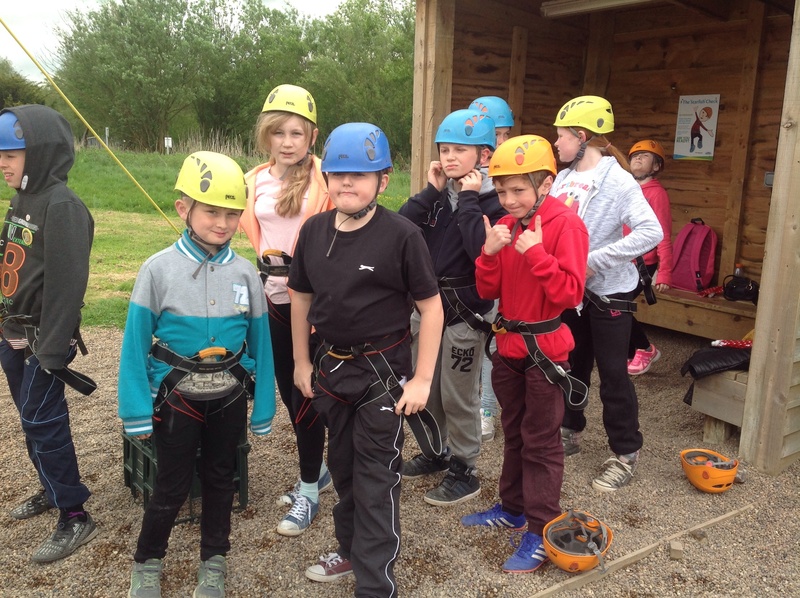 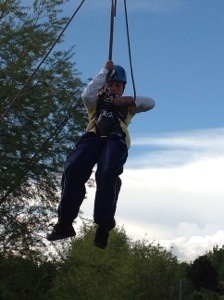 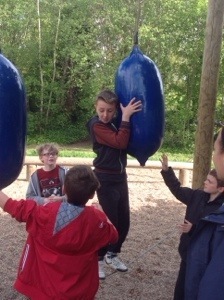 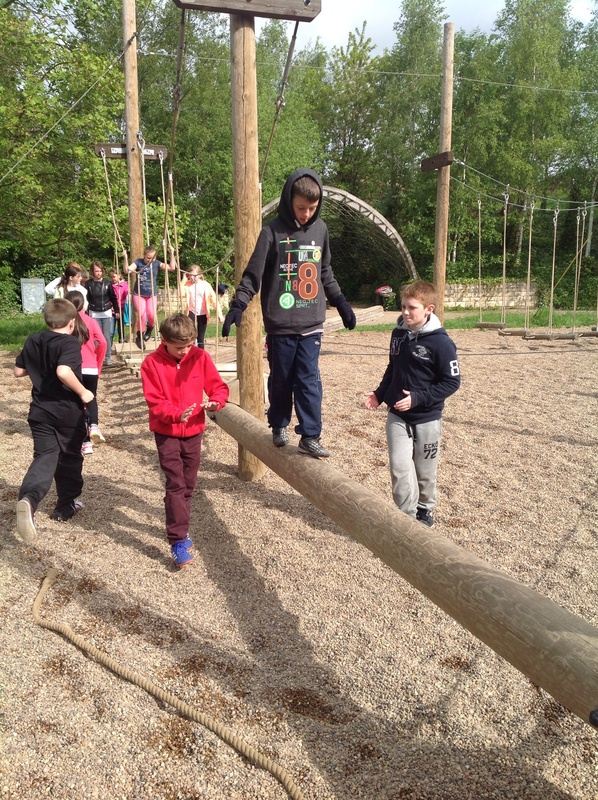 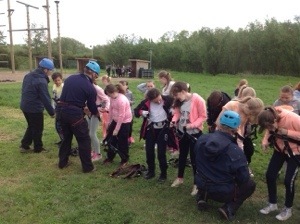 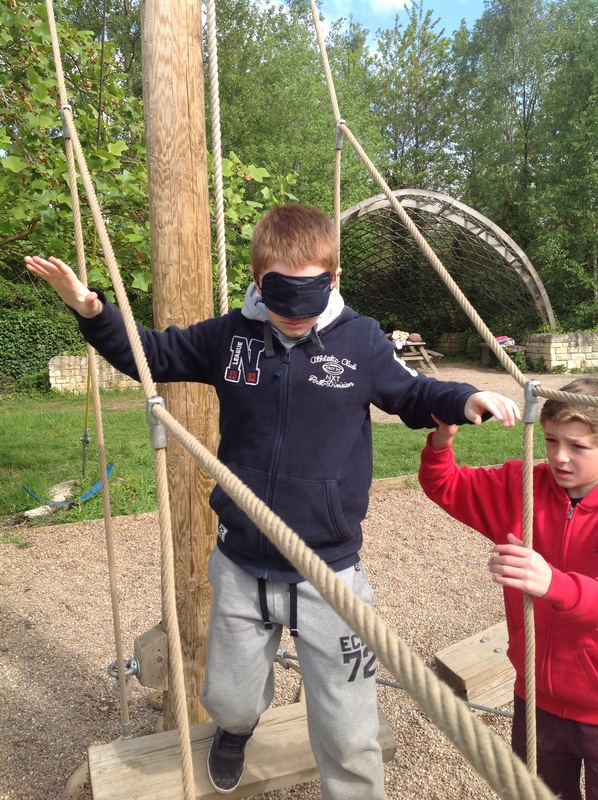 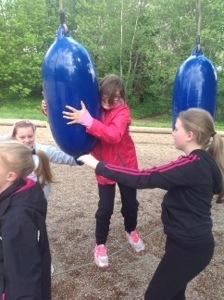 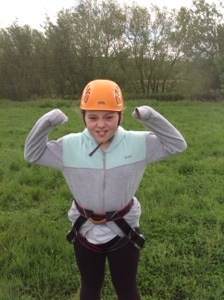 They enjoyed the challenge of negotiating the ropes with the help of friends. 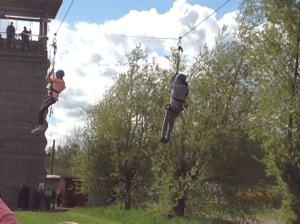 We learned the ninja squirrel move and Statue of Liberty, both of which are needed to keep safe on the equipment. 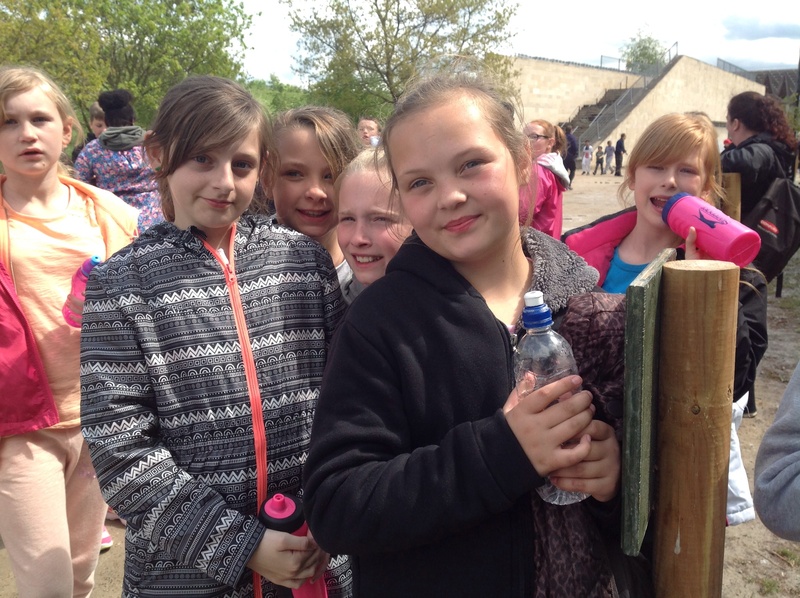 Once the fire drill has taken place we will be taking part in the mini Olympics. 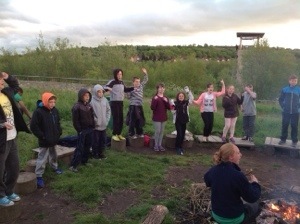 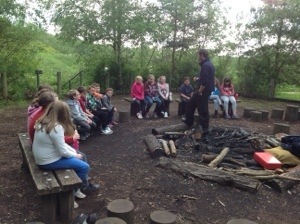 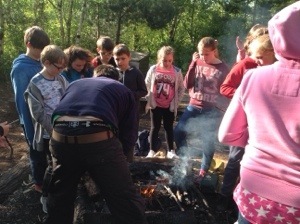 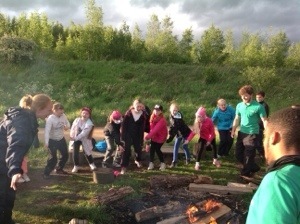 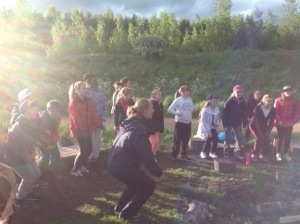 Everyone is full up and ready for action..
Had lots of fun trying to light fires! 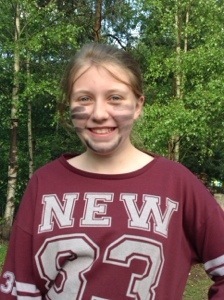 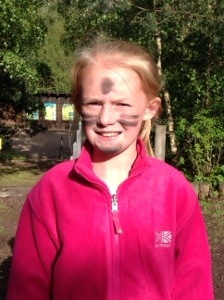 What do you think to our war paint? 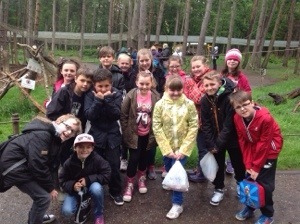 We are safe and sound. 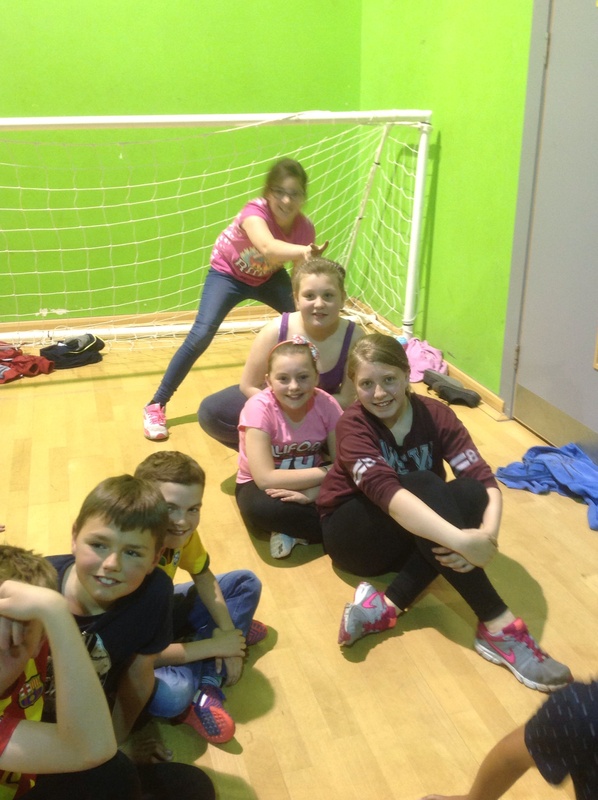 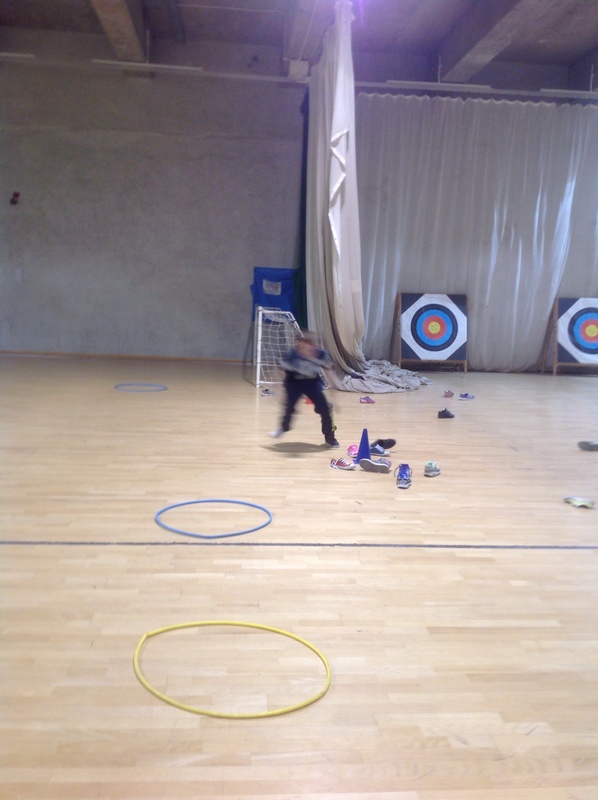 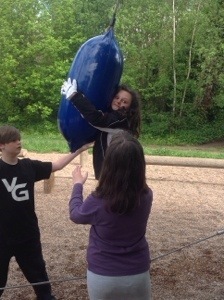 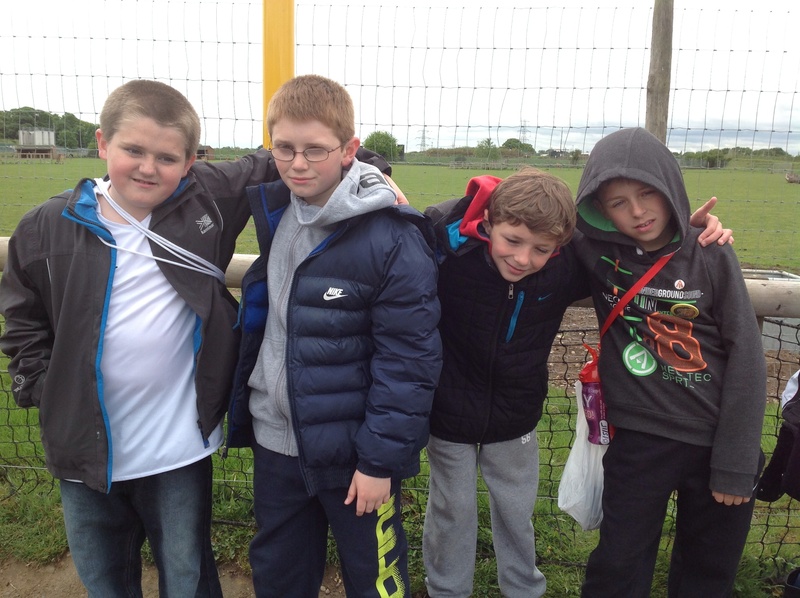 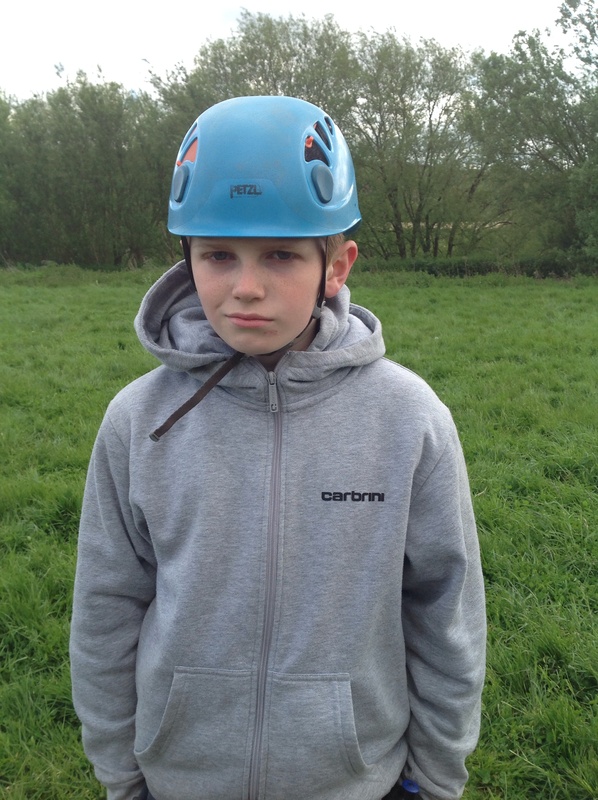 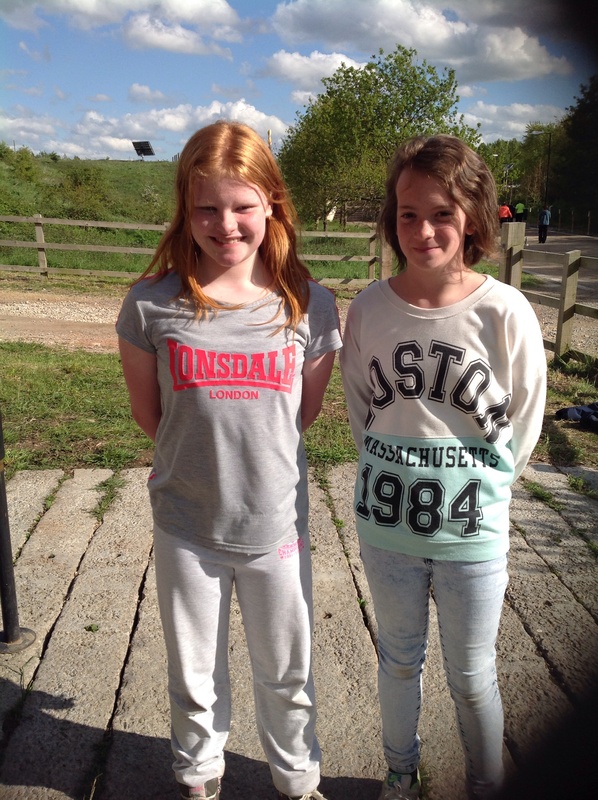 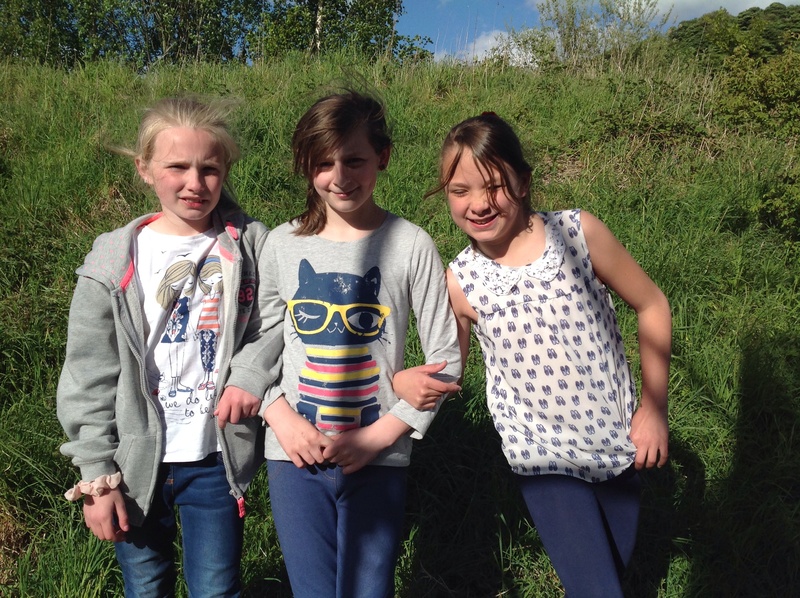 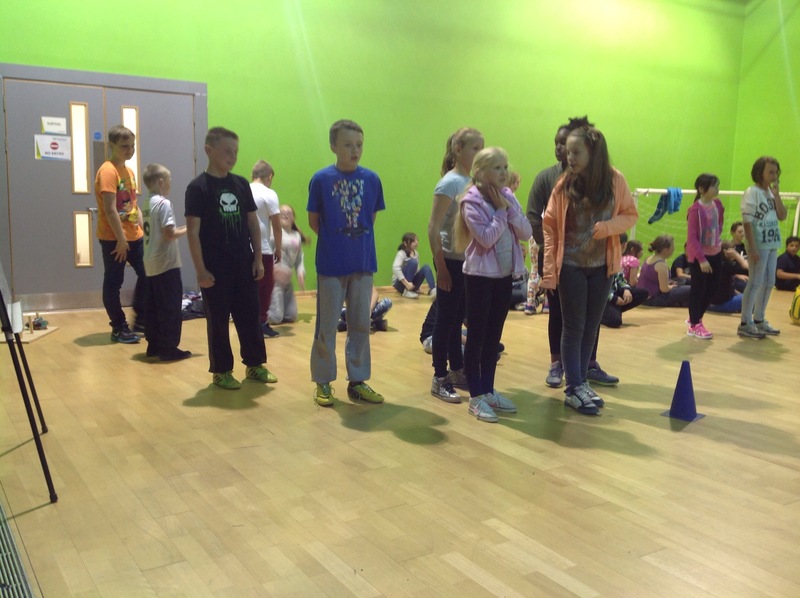 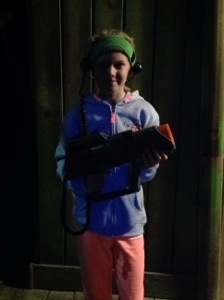 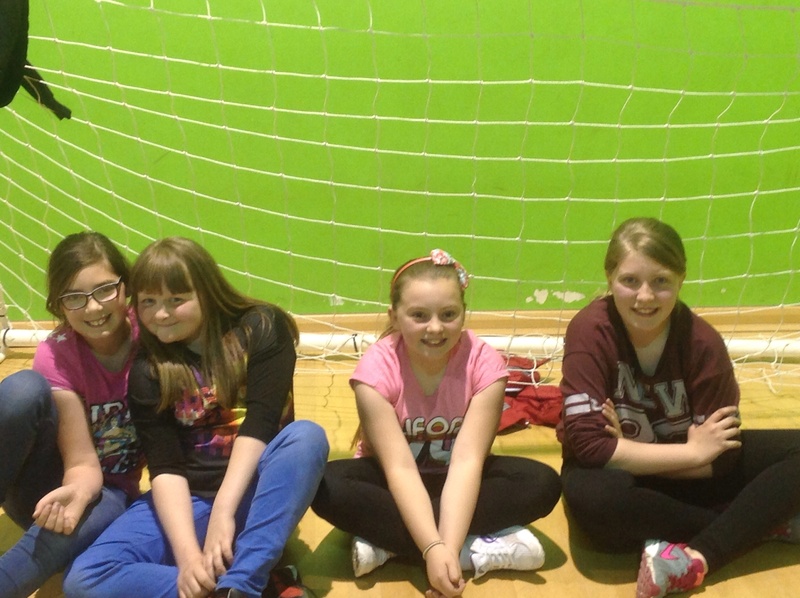 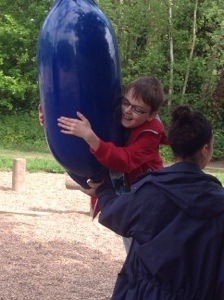 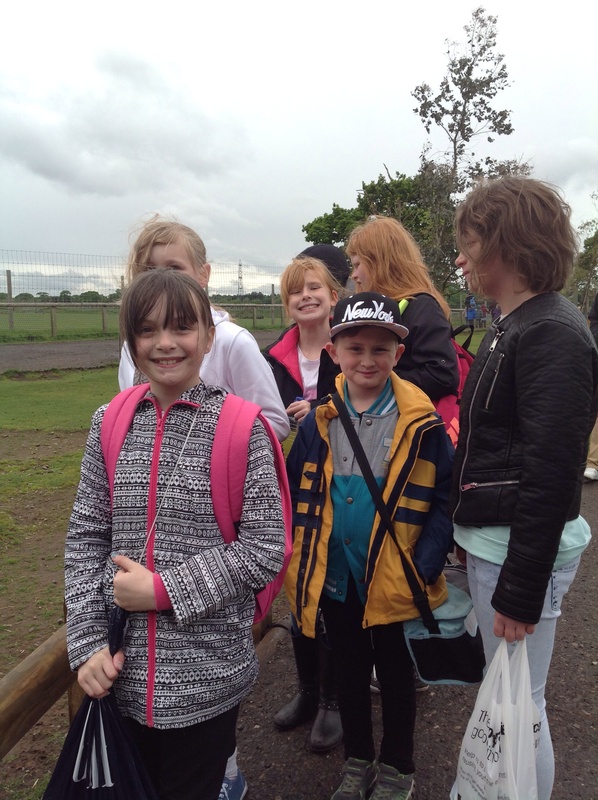 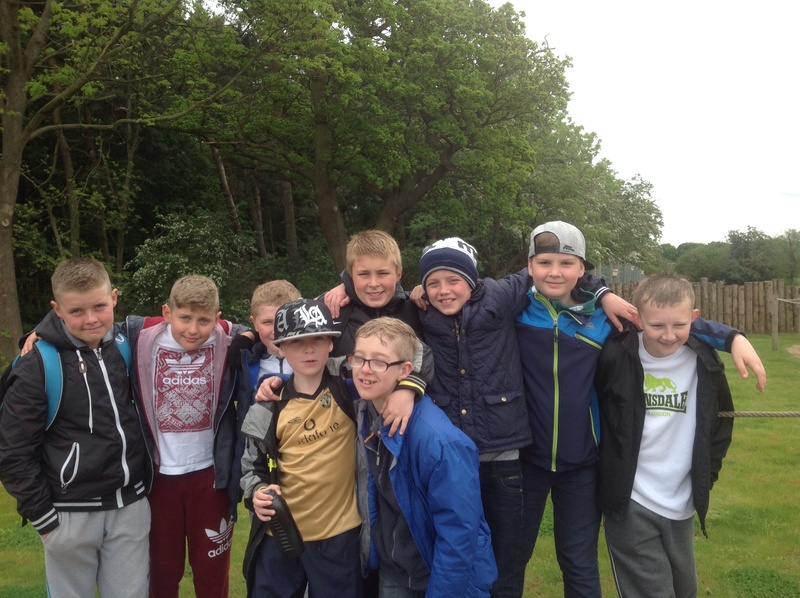 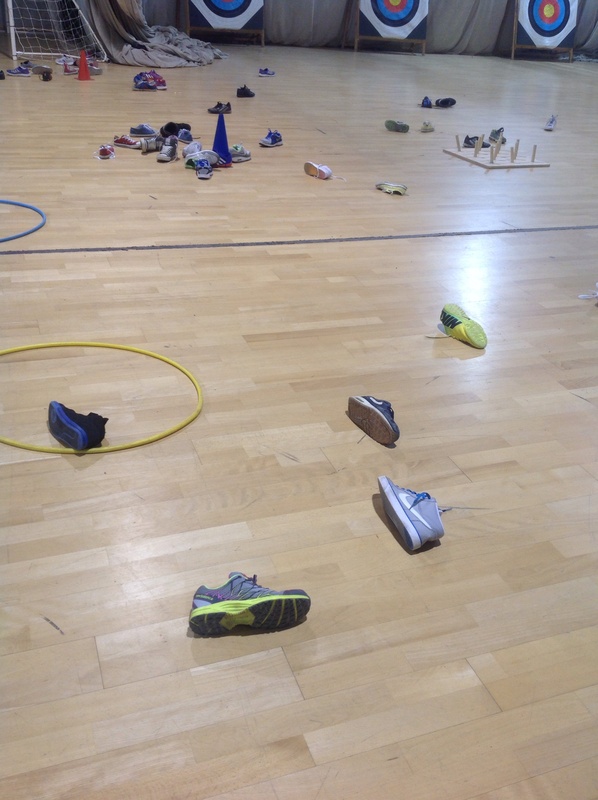 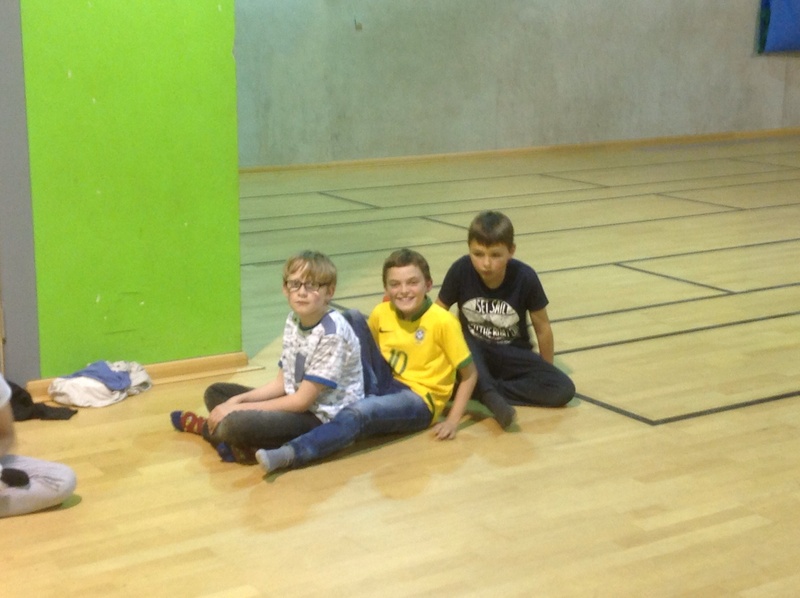 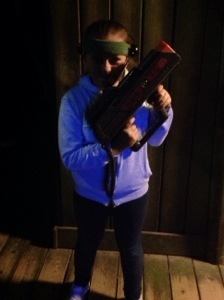 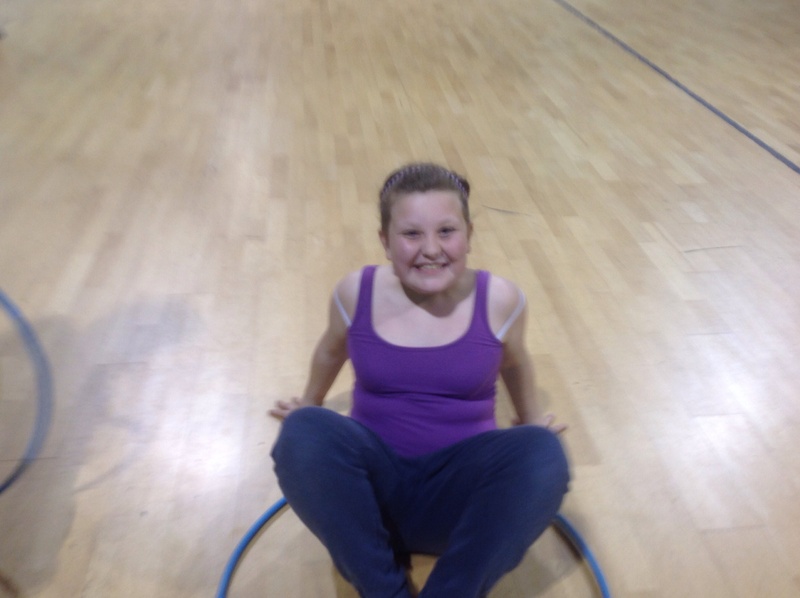 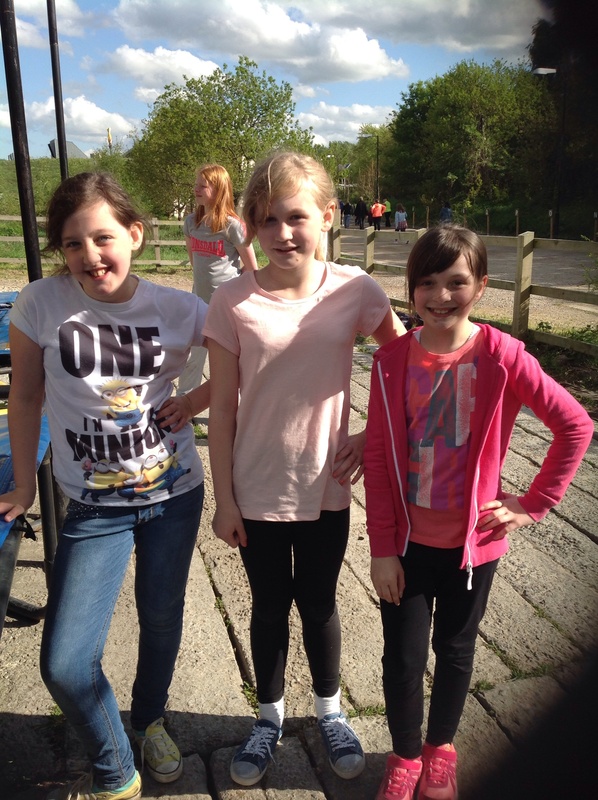 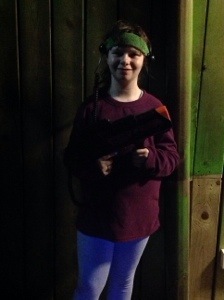 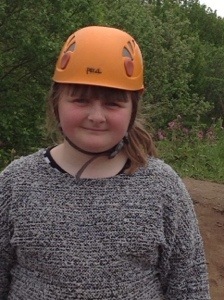 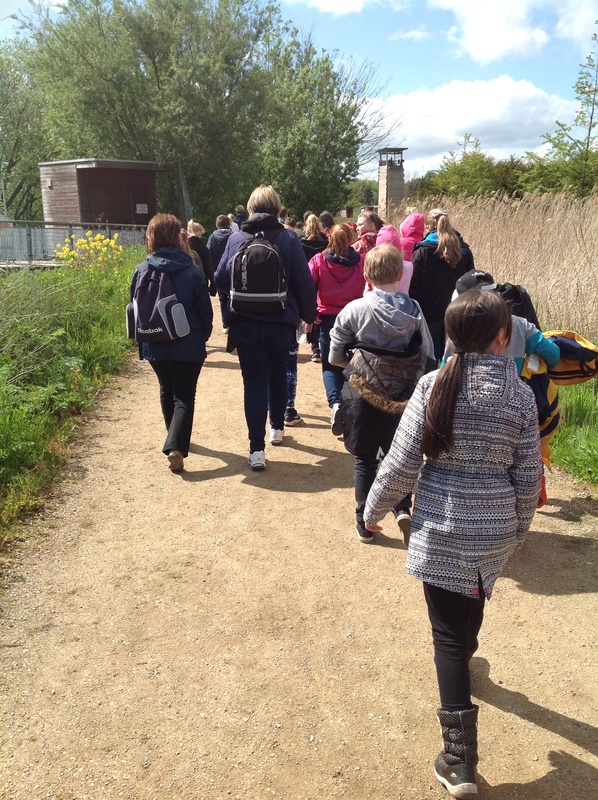 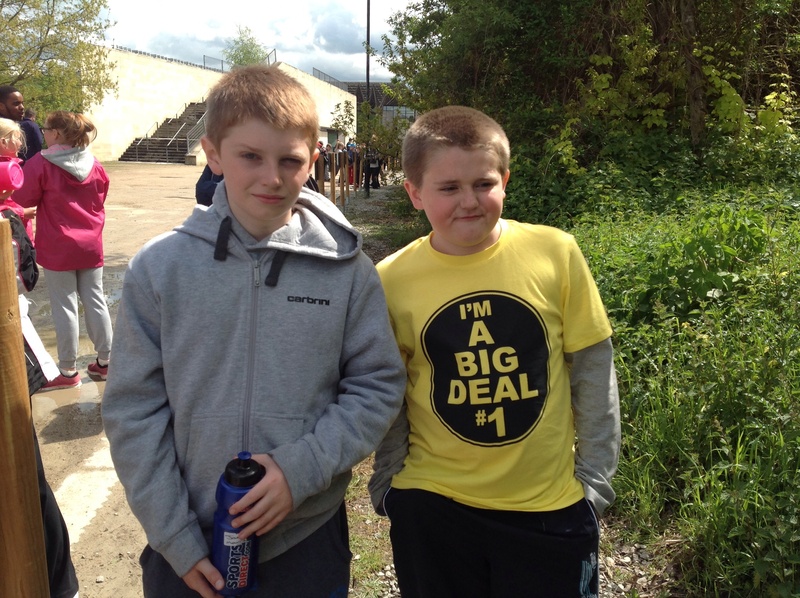 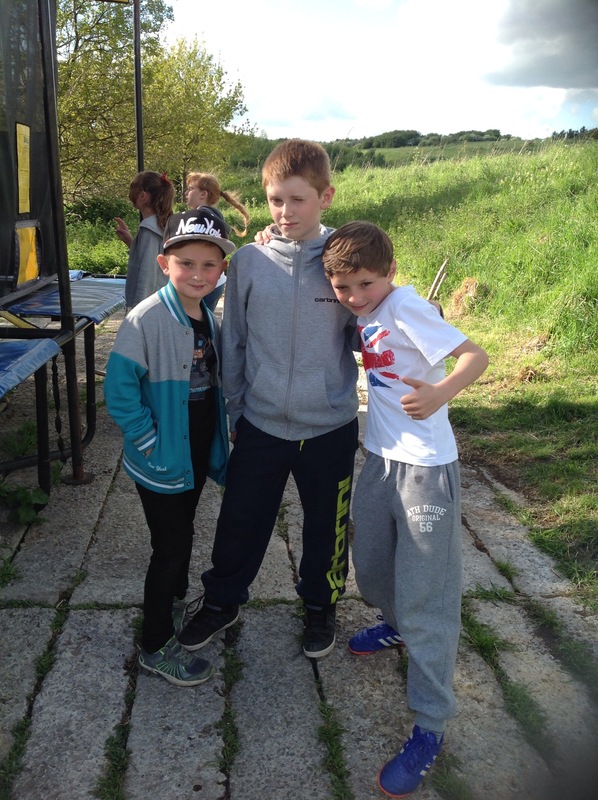 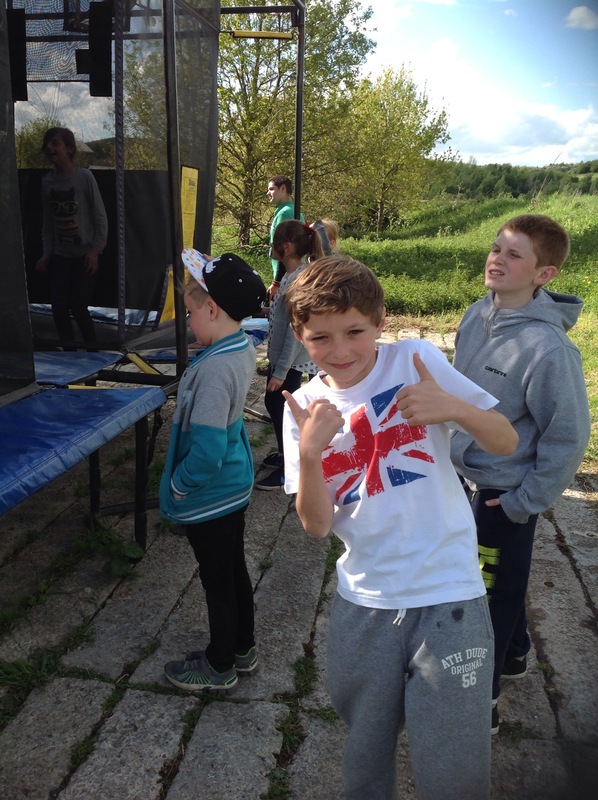 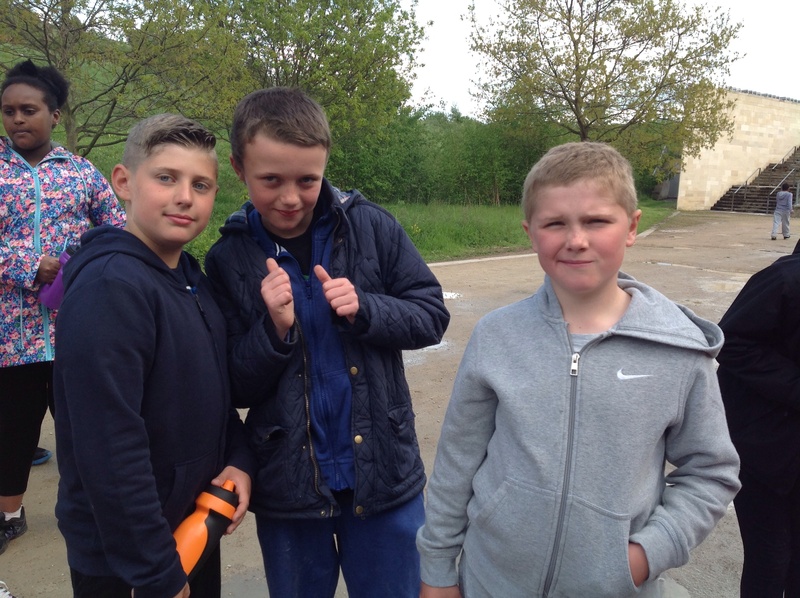 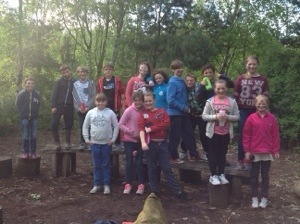 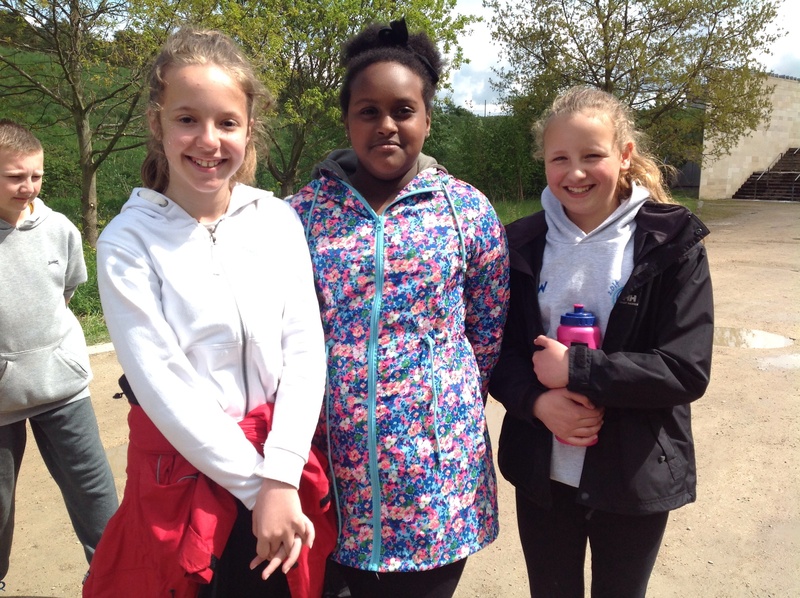 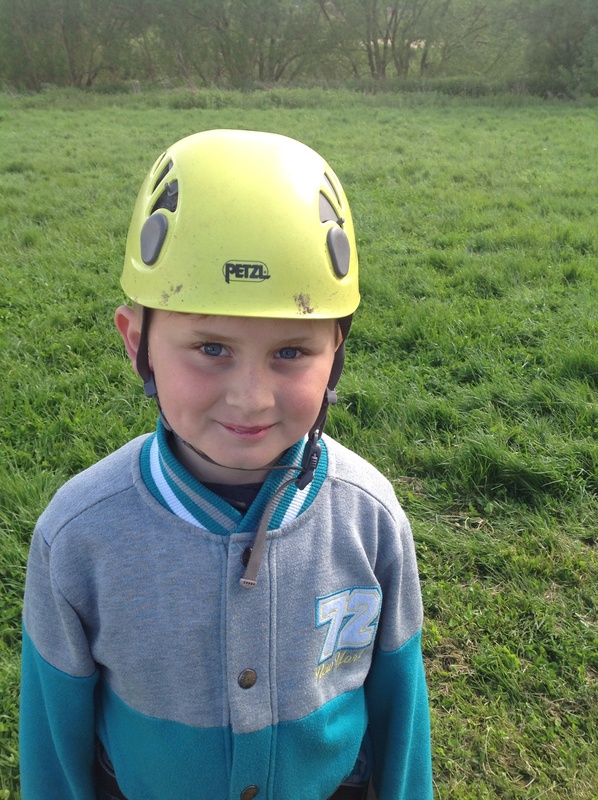 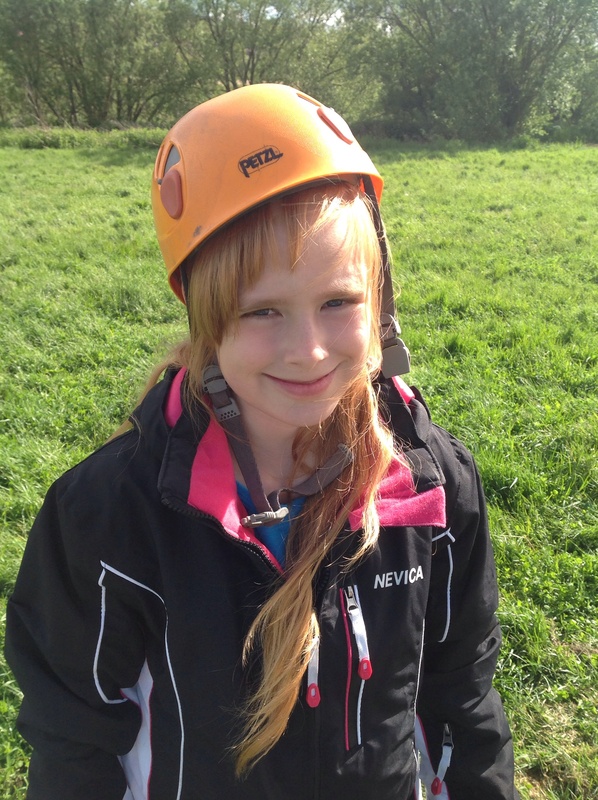 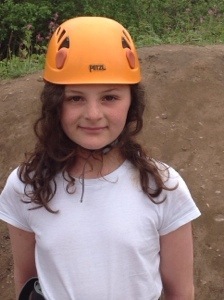 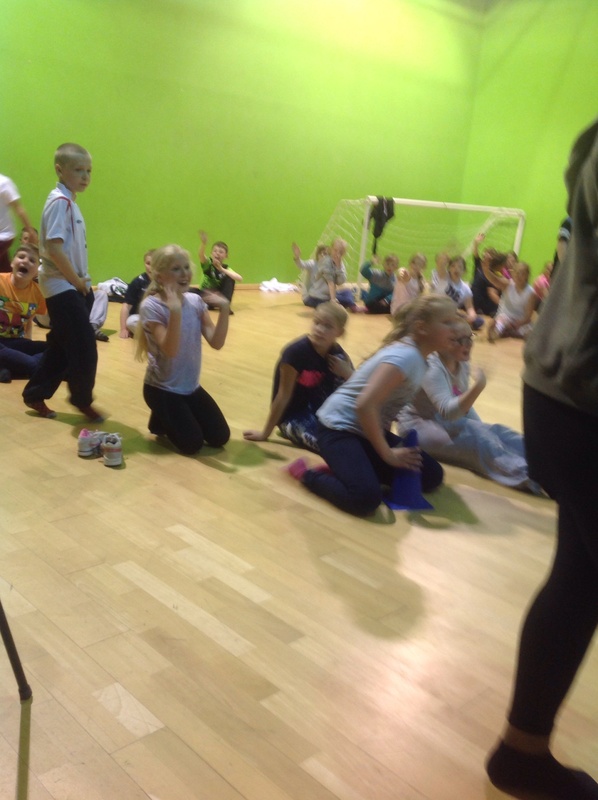 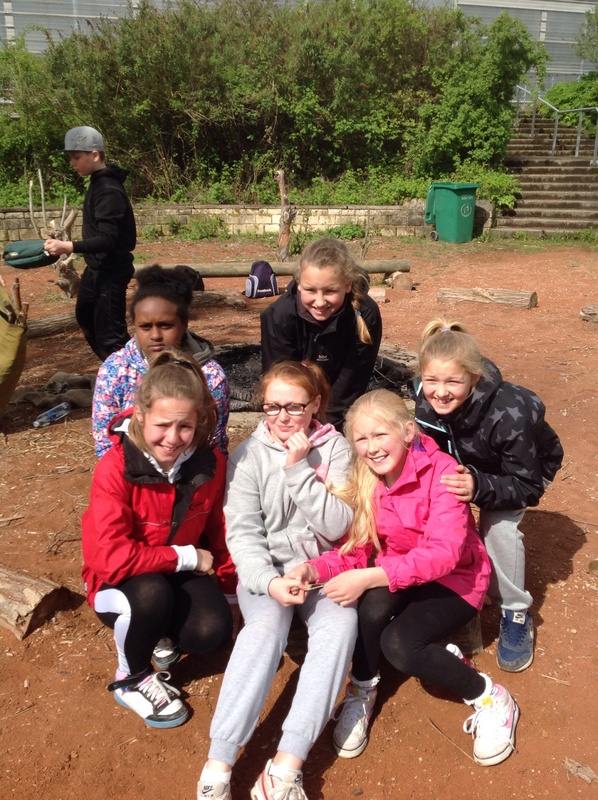 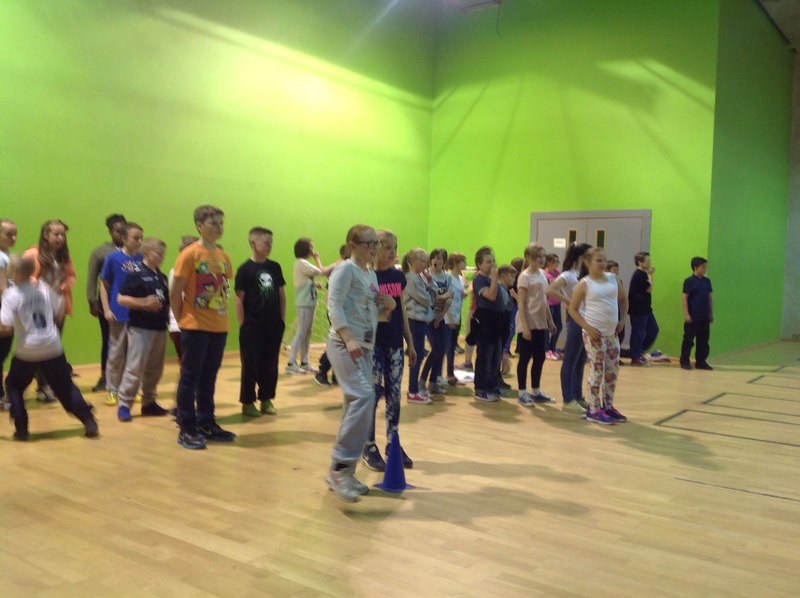 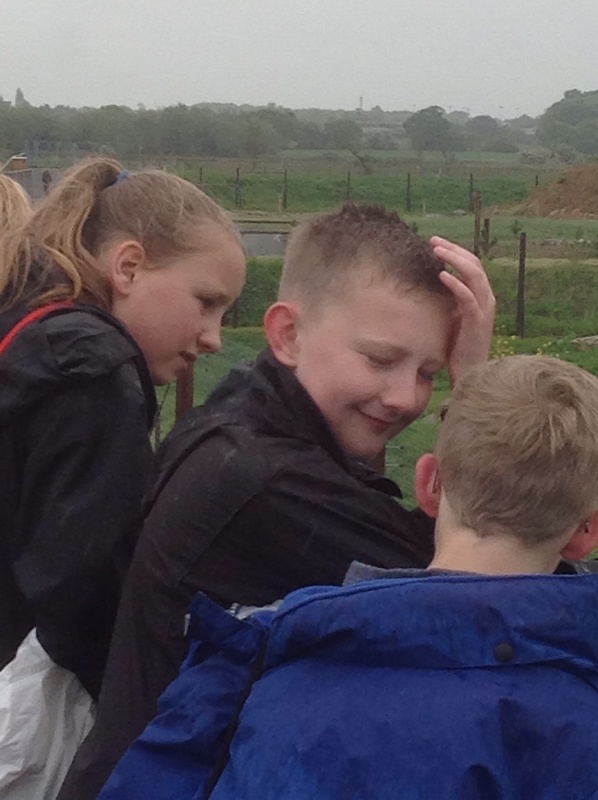 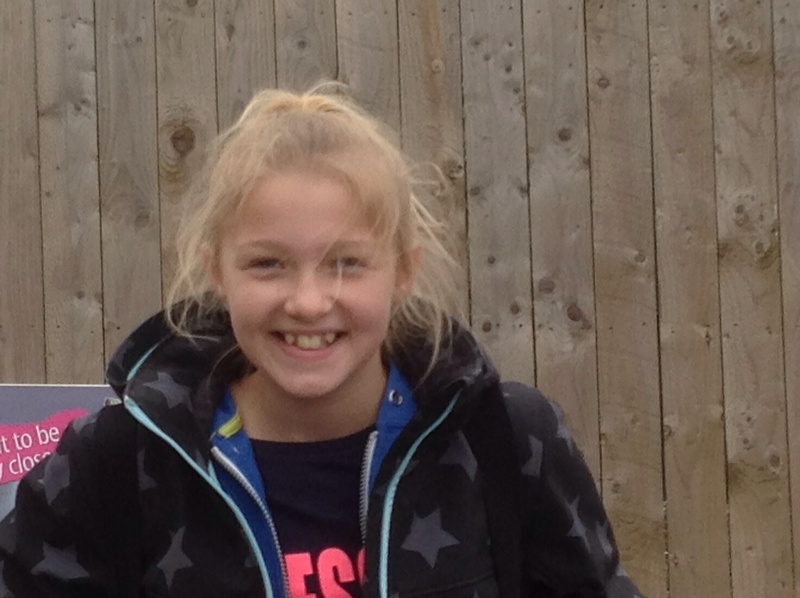 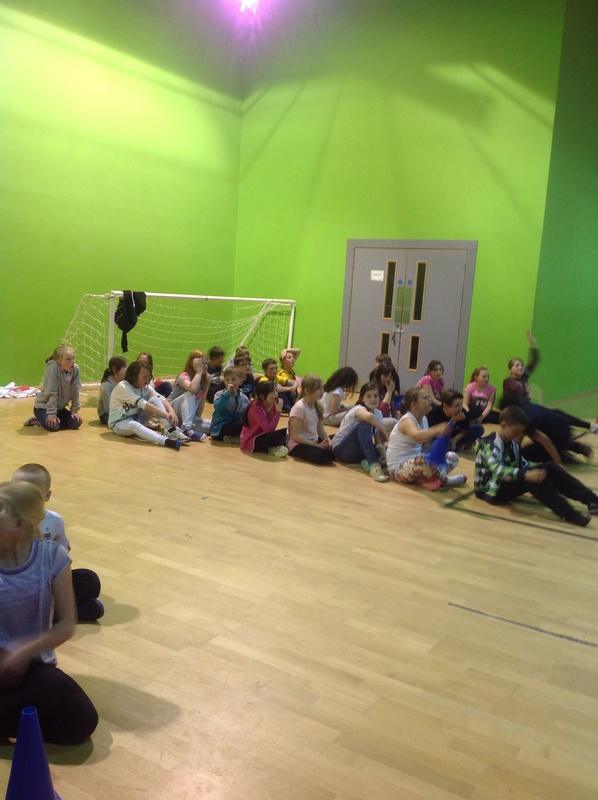 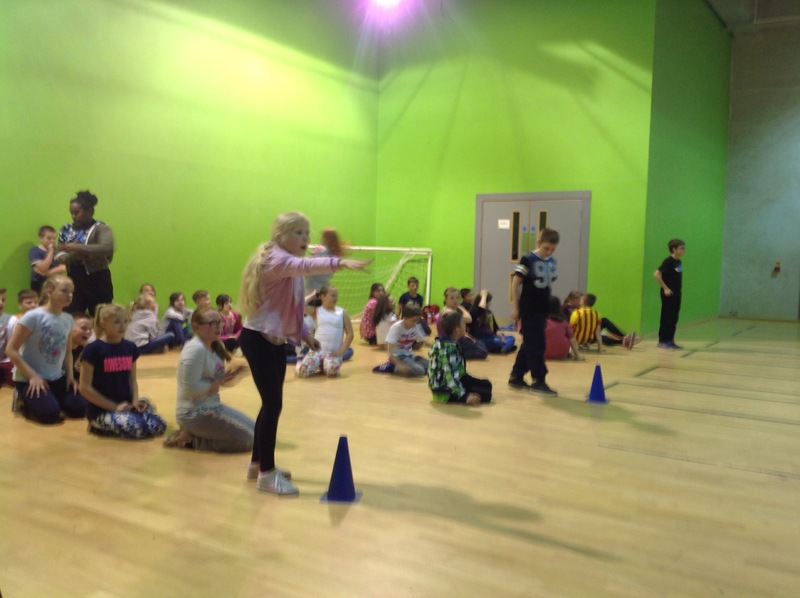 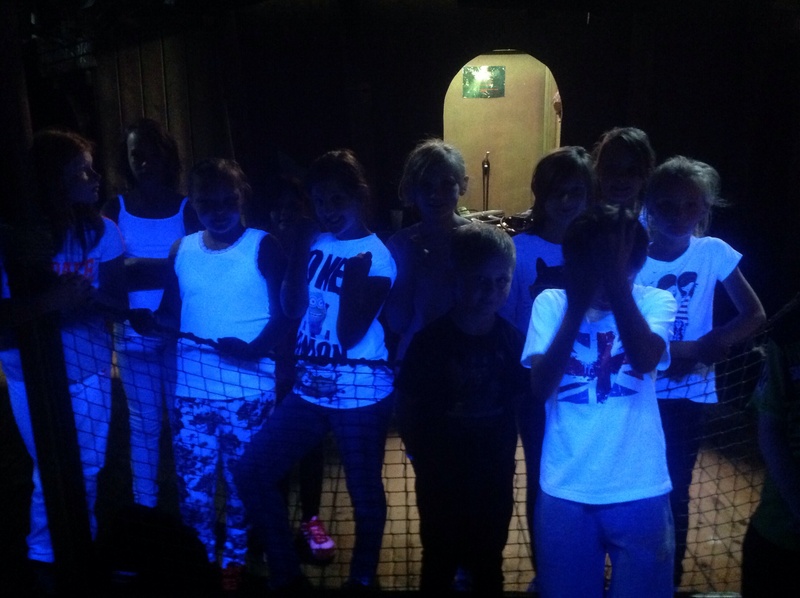 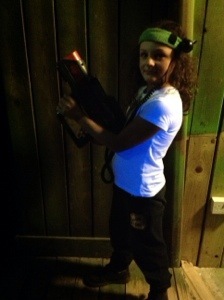 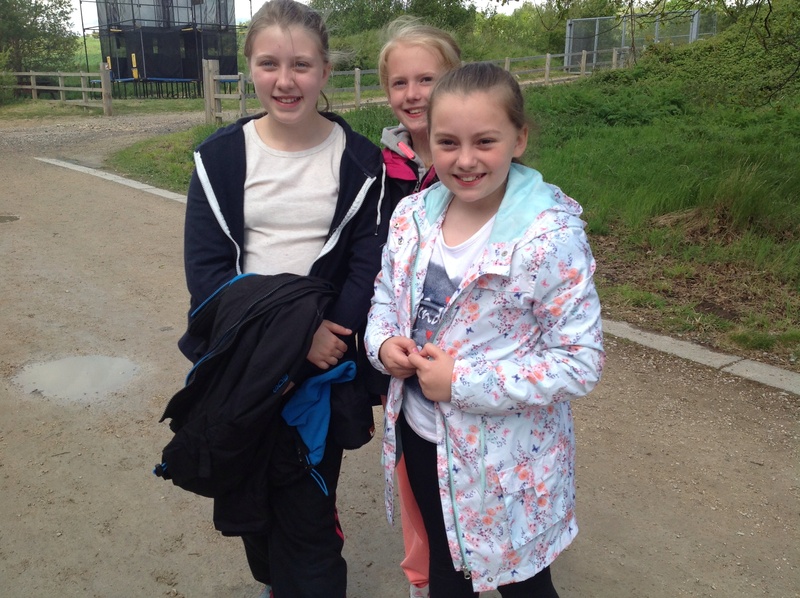 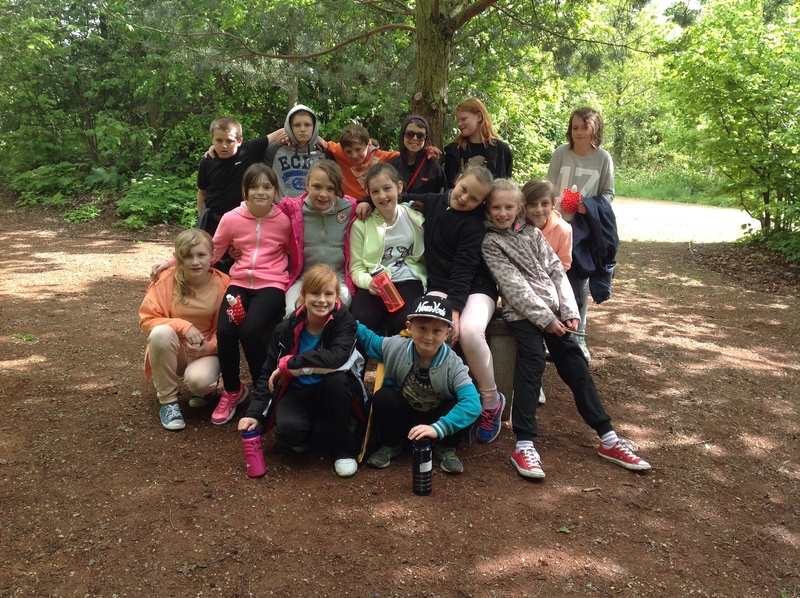 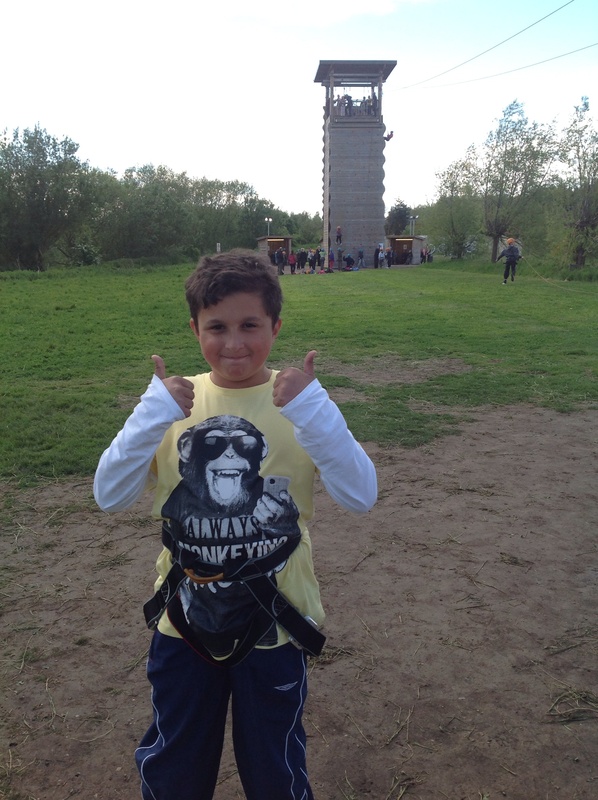 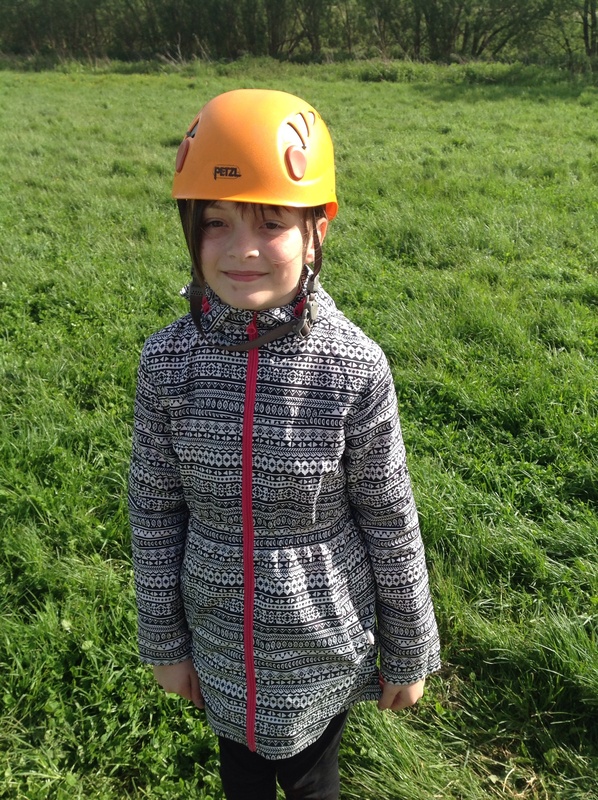 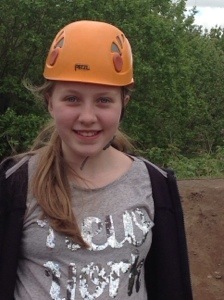 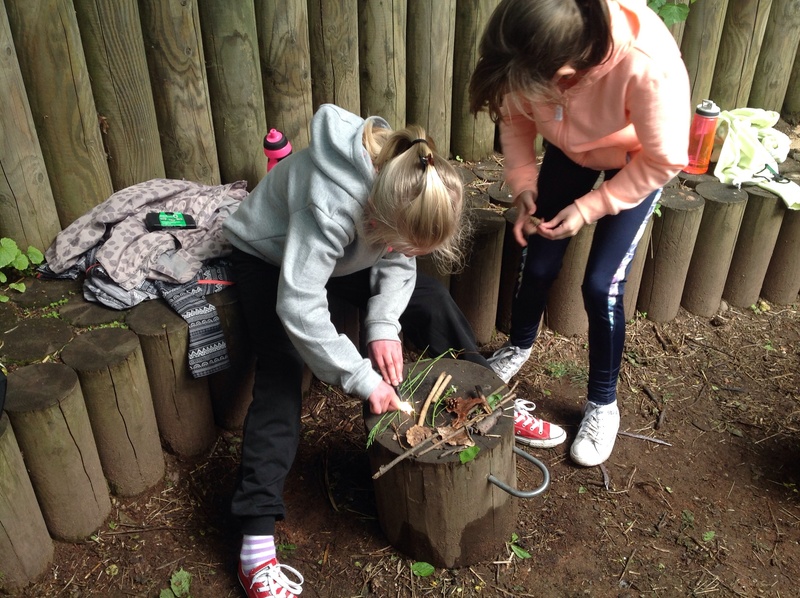 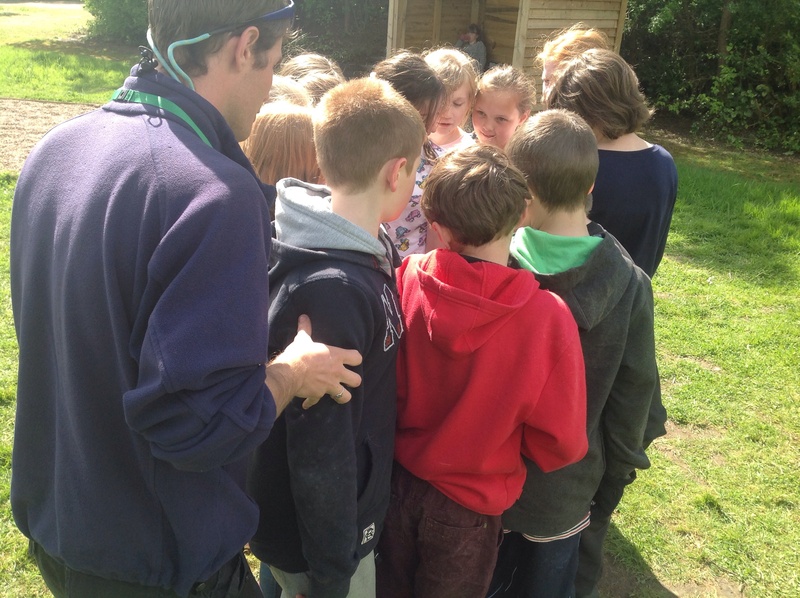 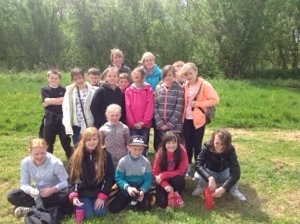 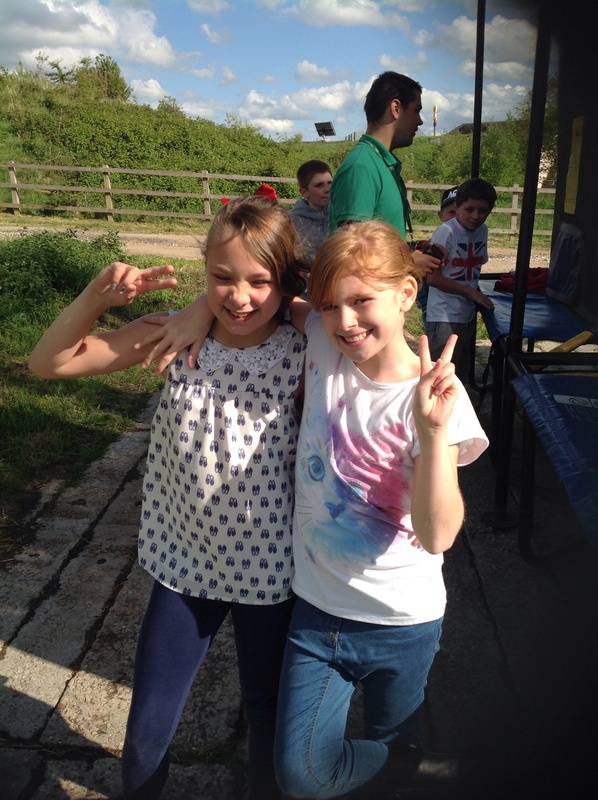 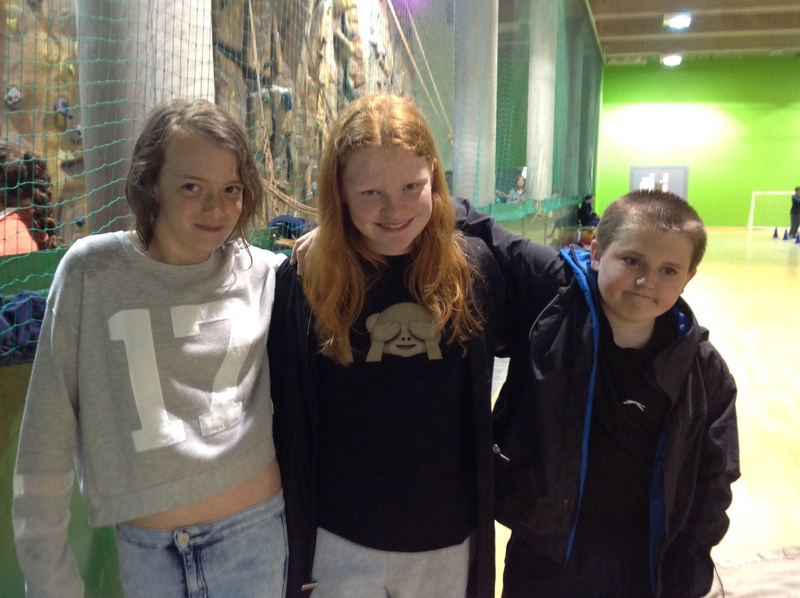 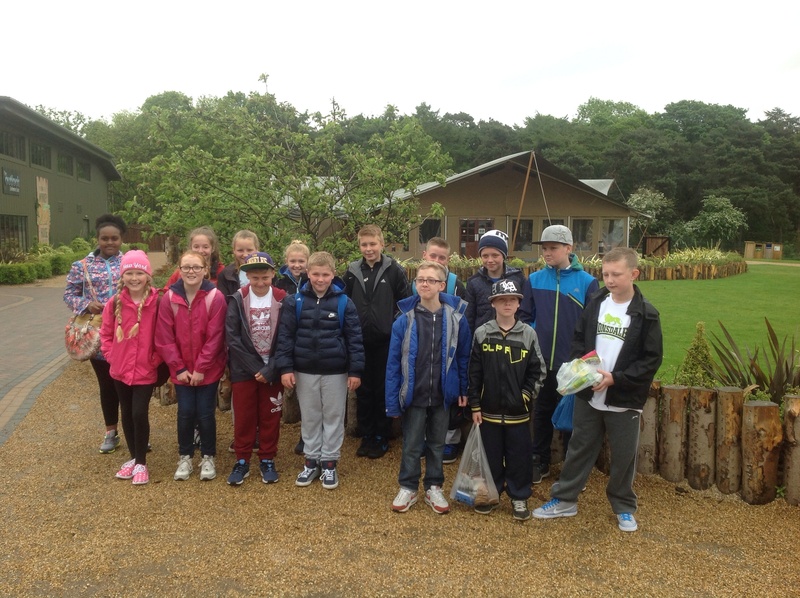 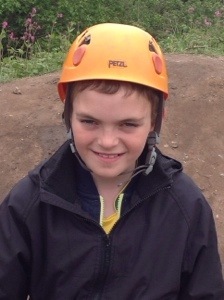 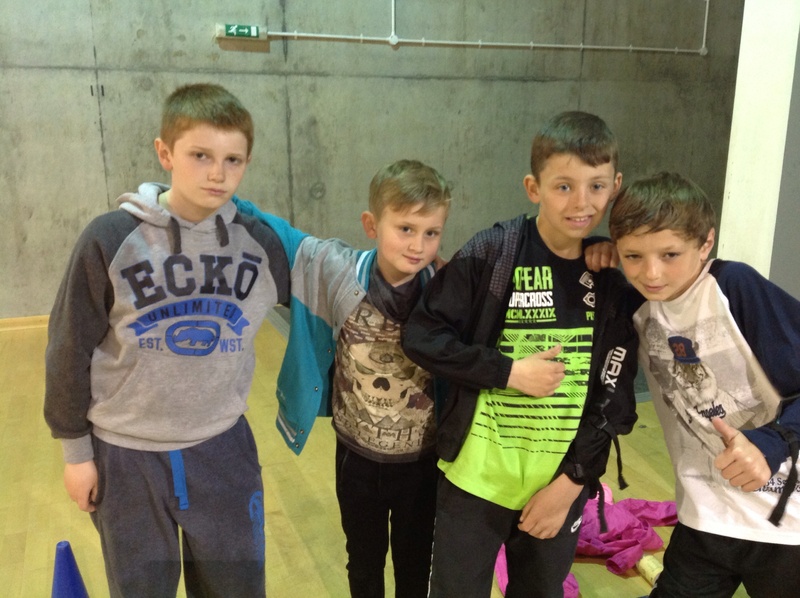 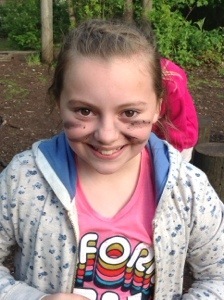 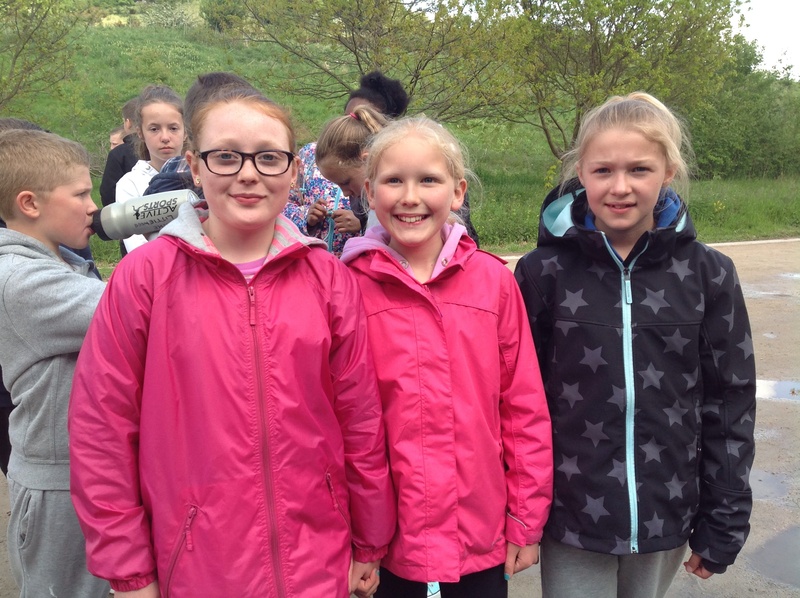 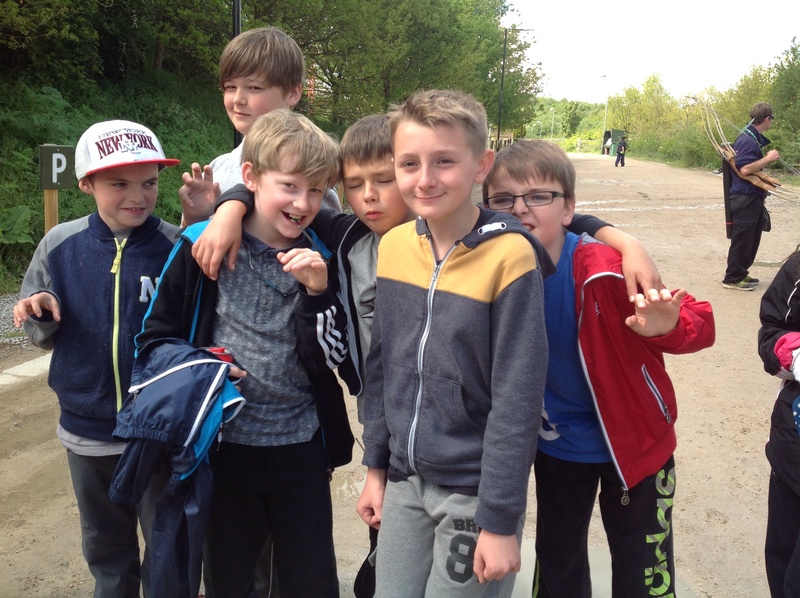 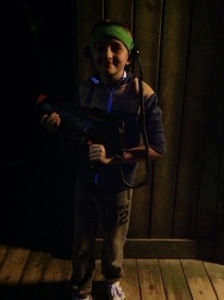 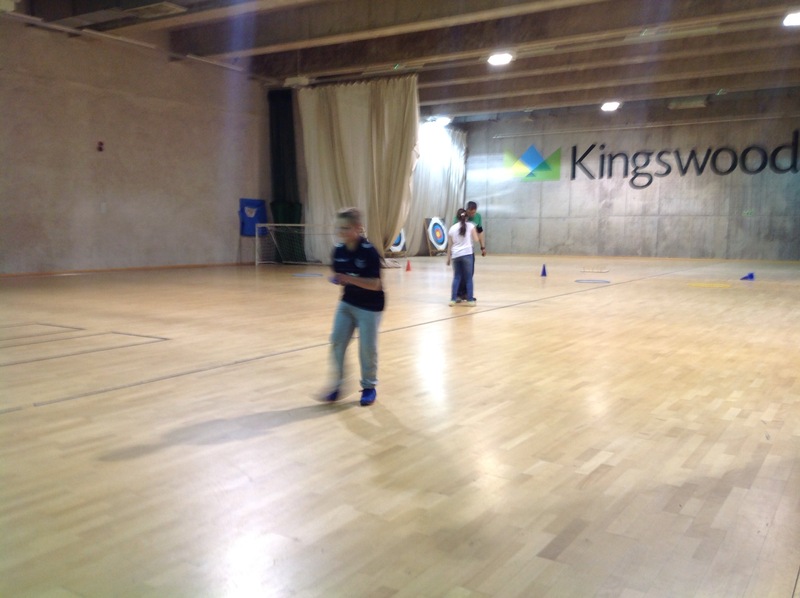 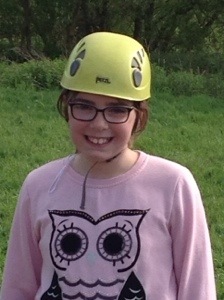 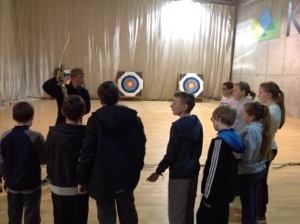 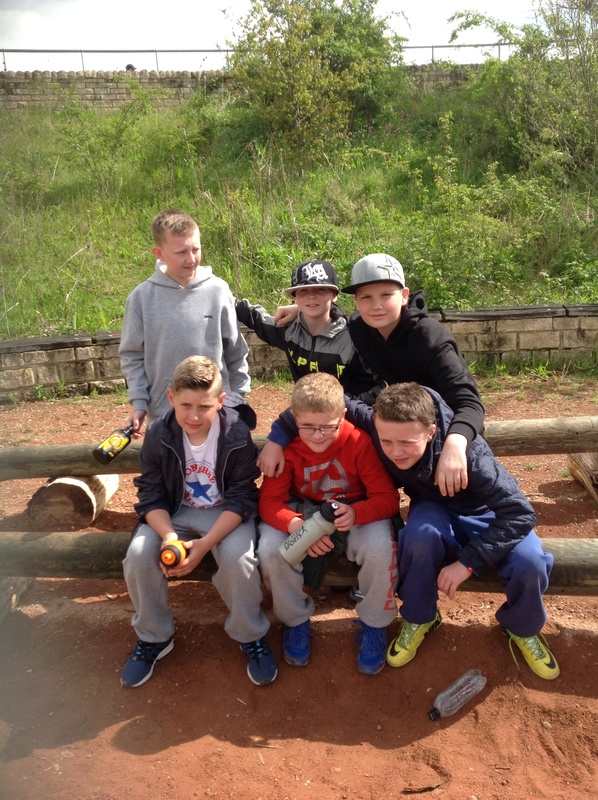 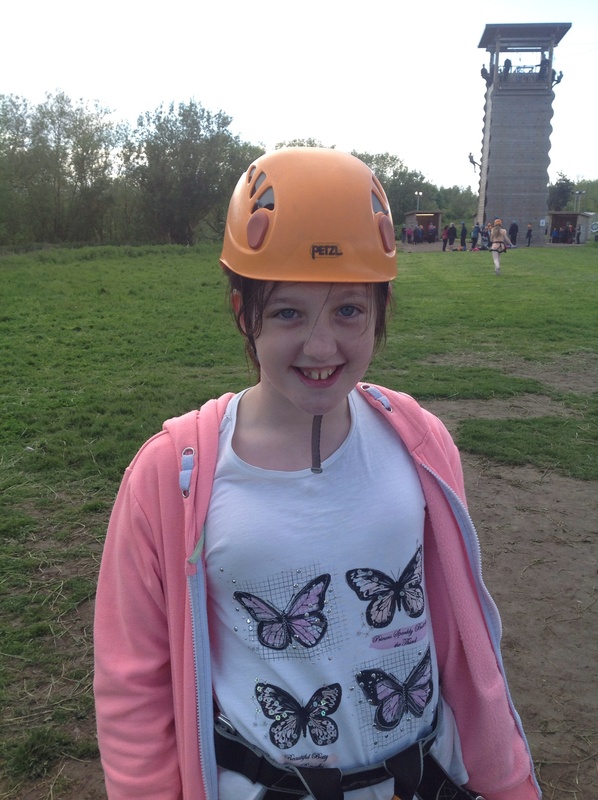 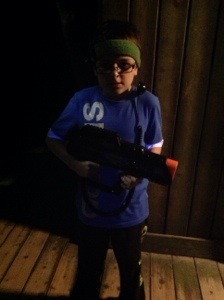 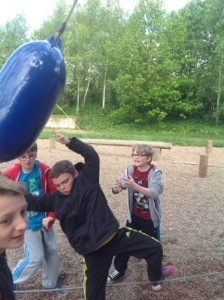 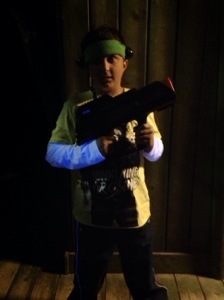 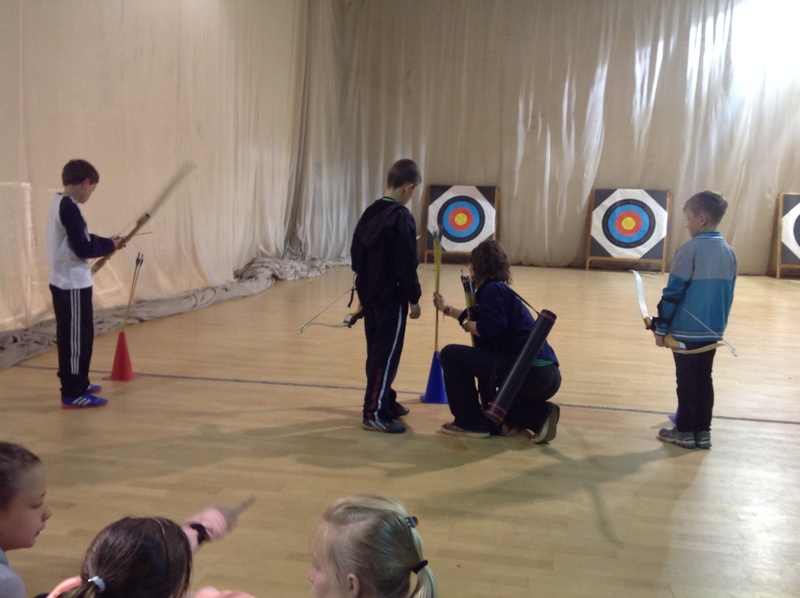 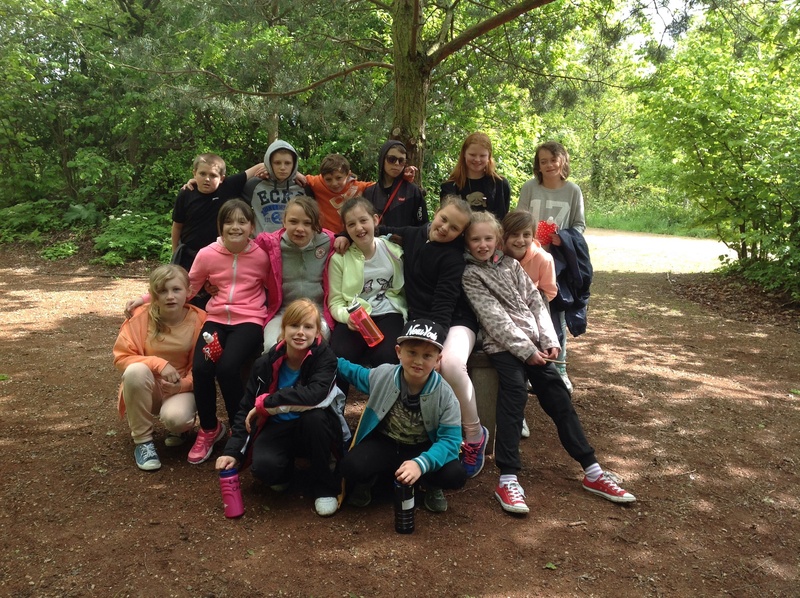 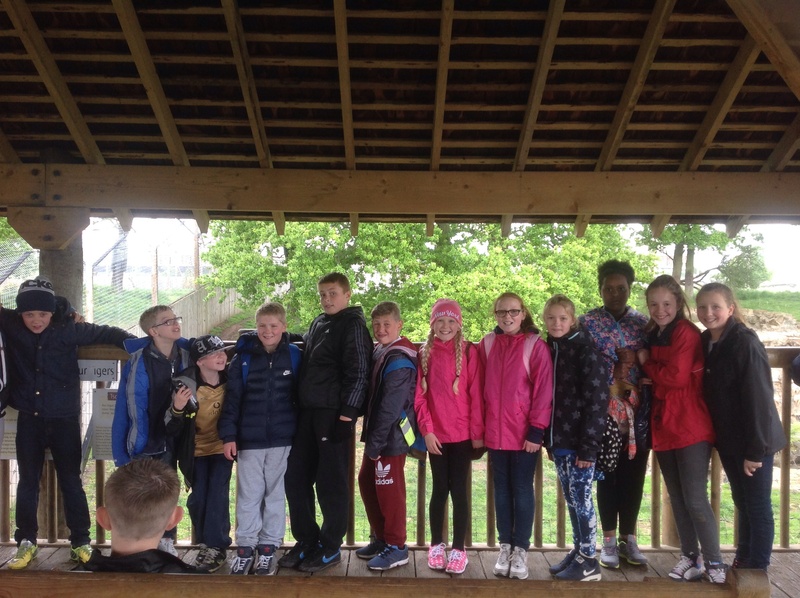 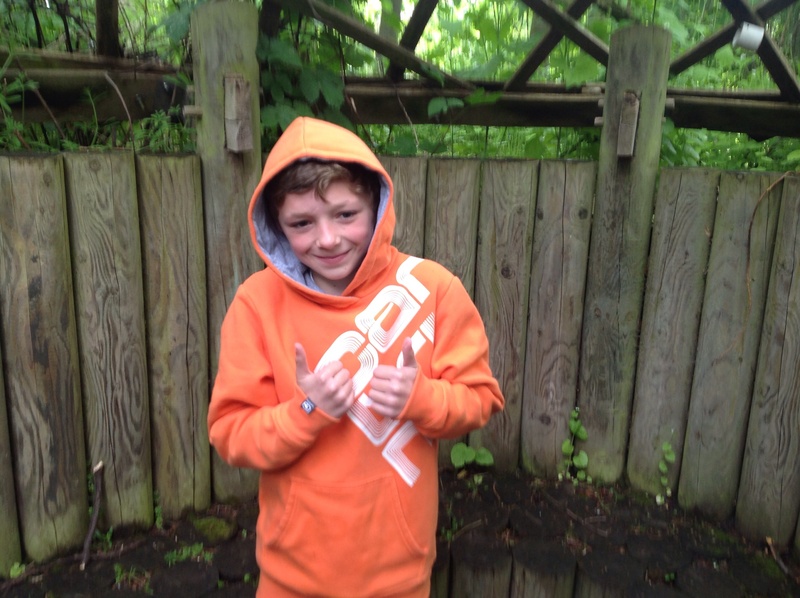 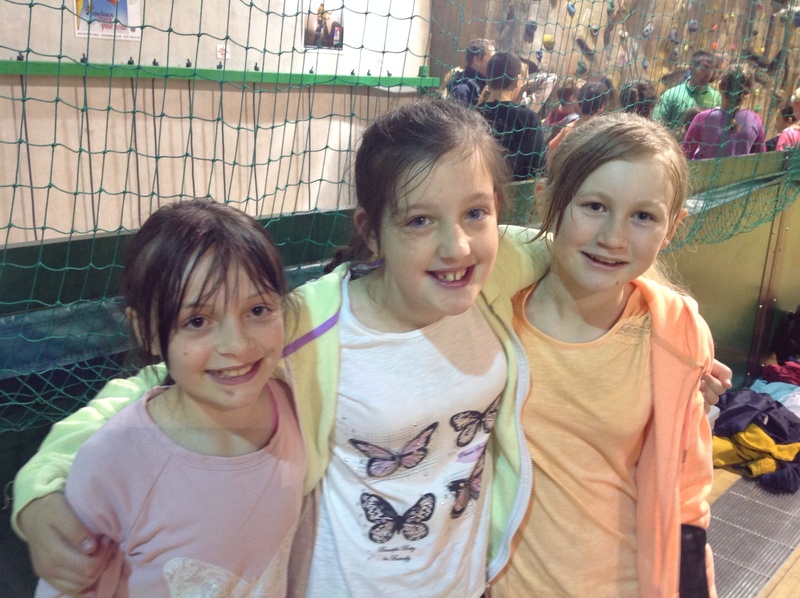 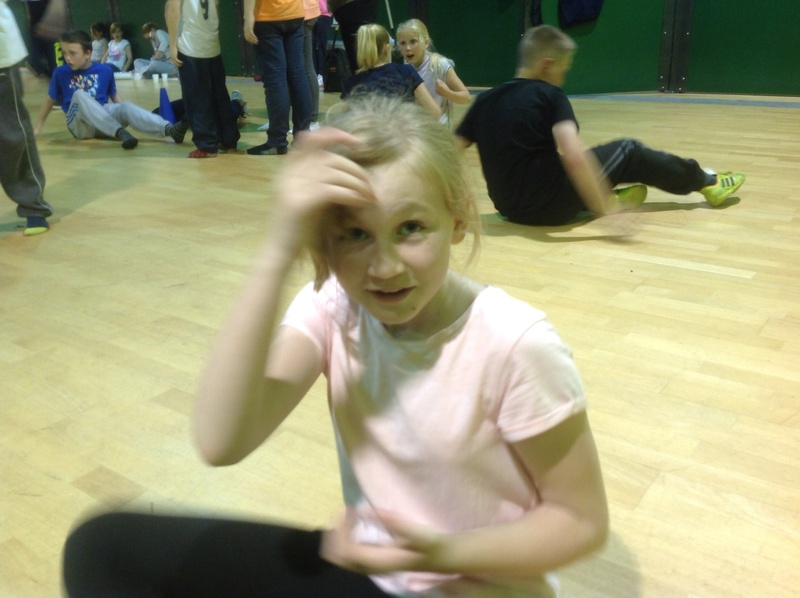 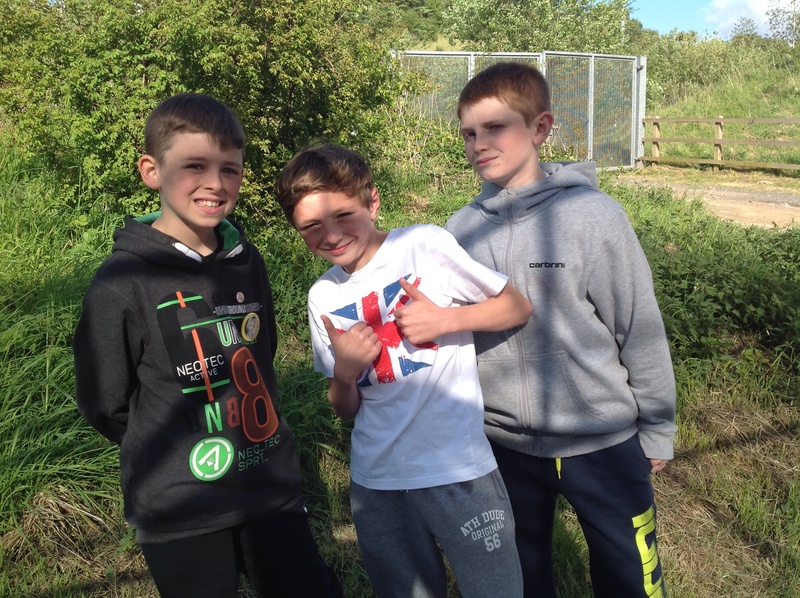 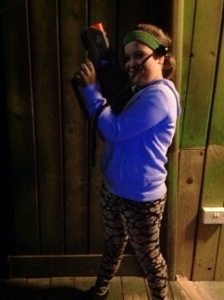 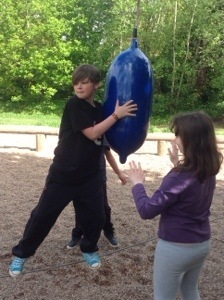 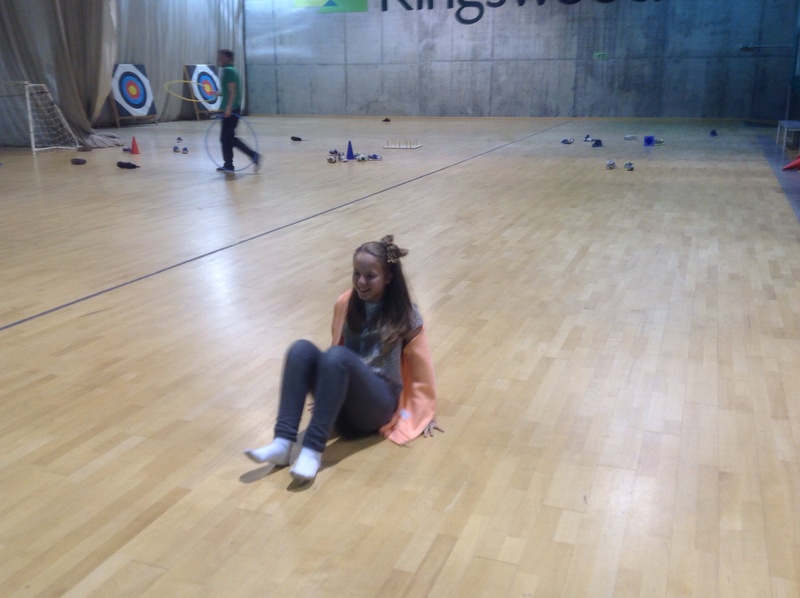 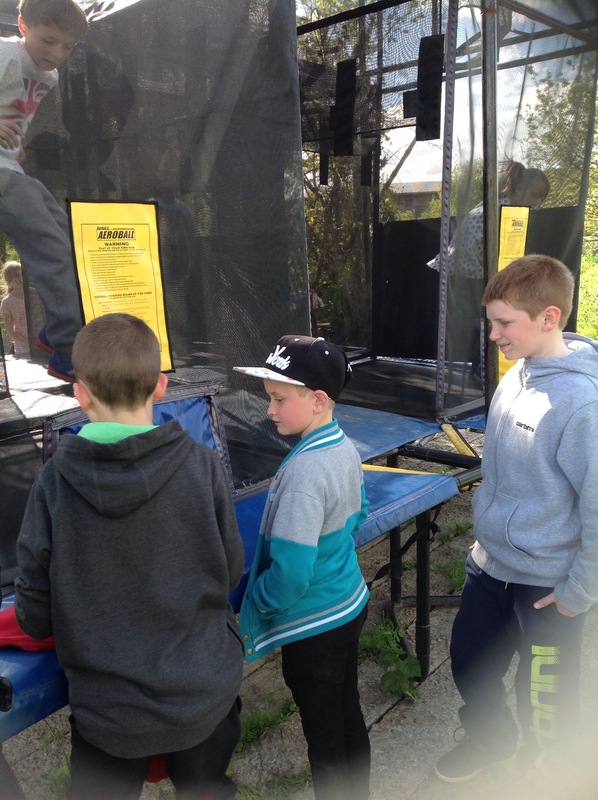 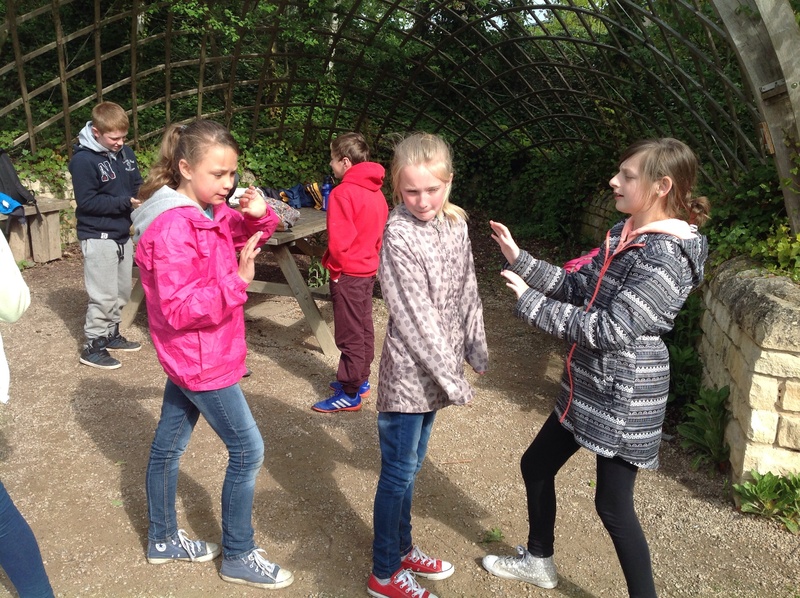 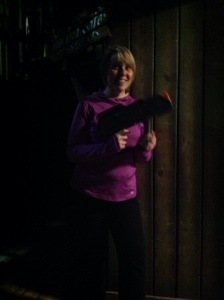 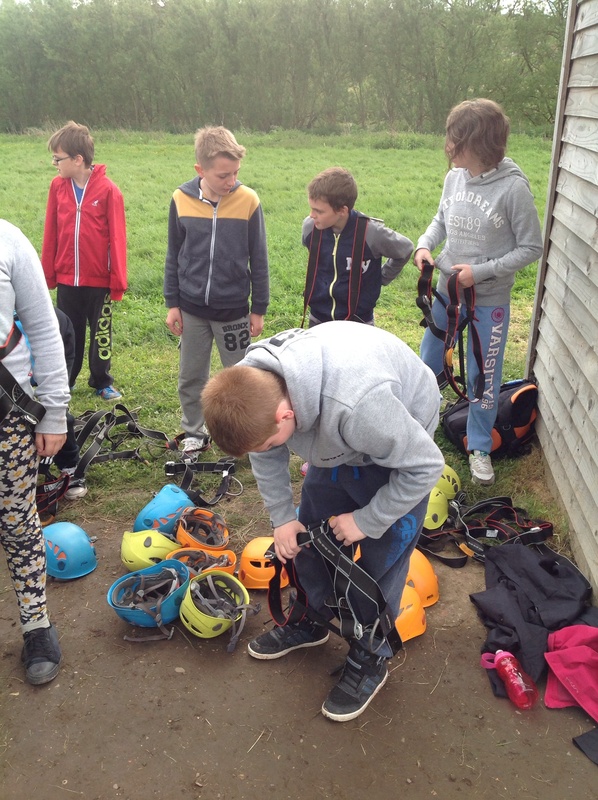 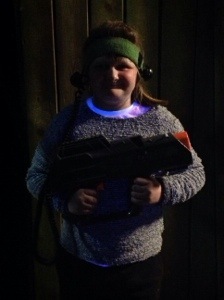 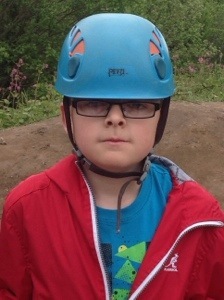 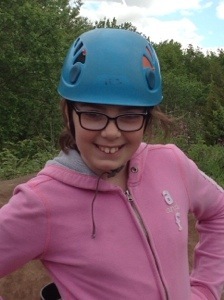 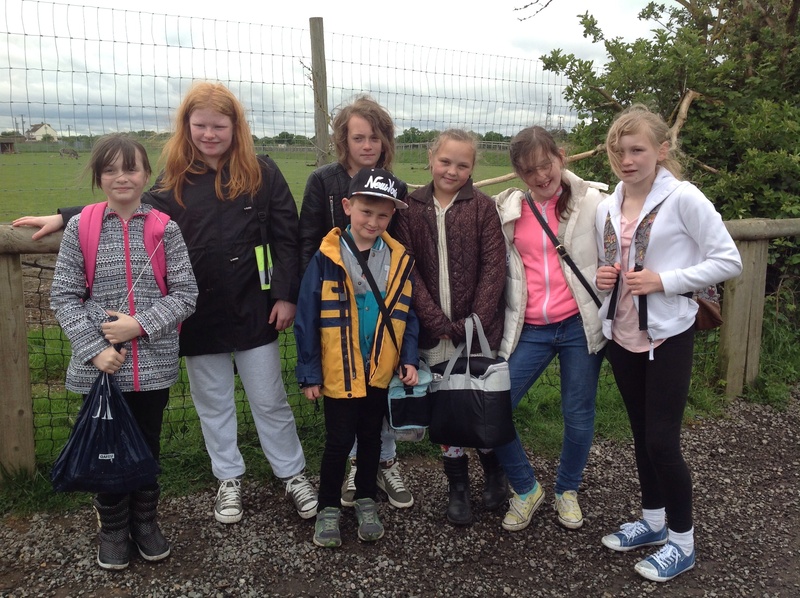 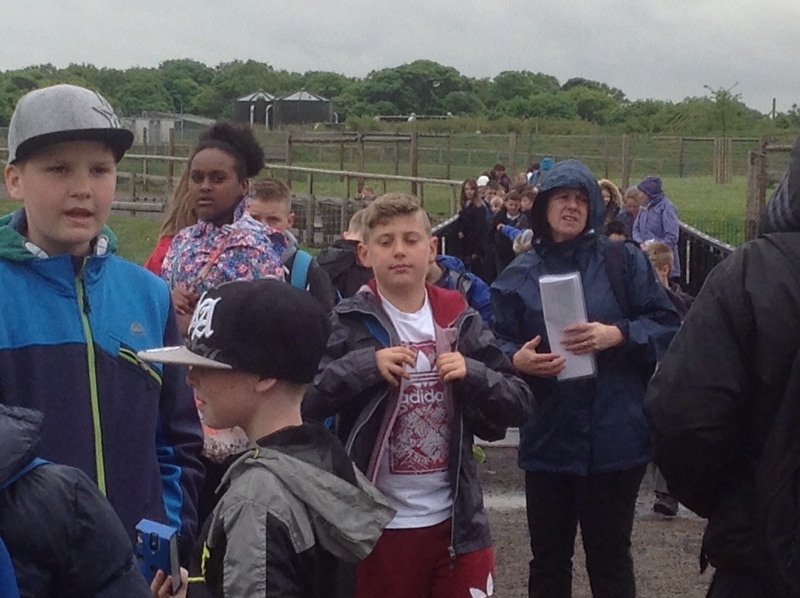 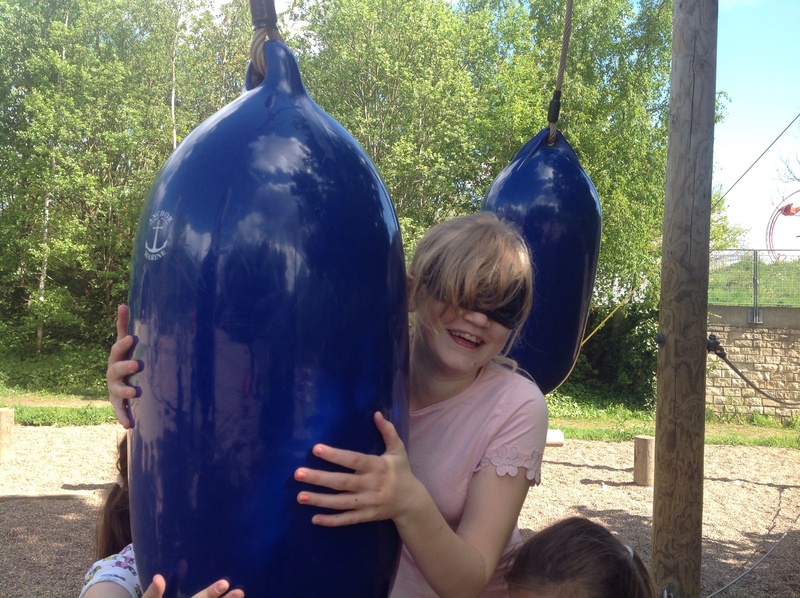 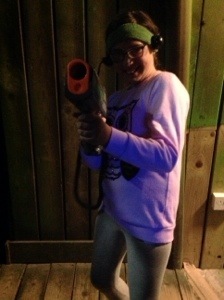 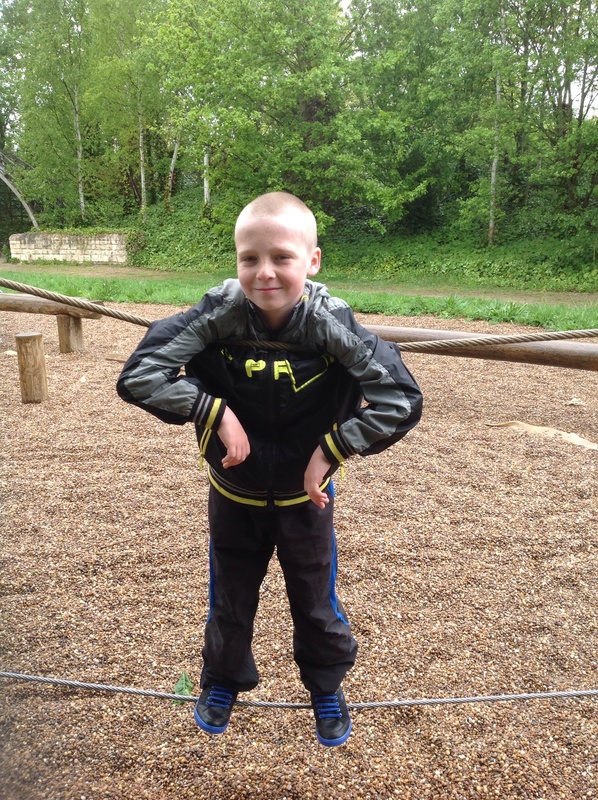 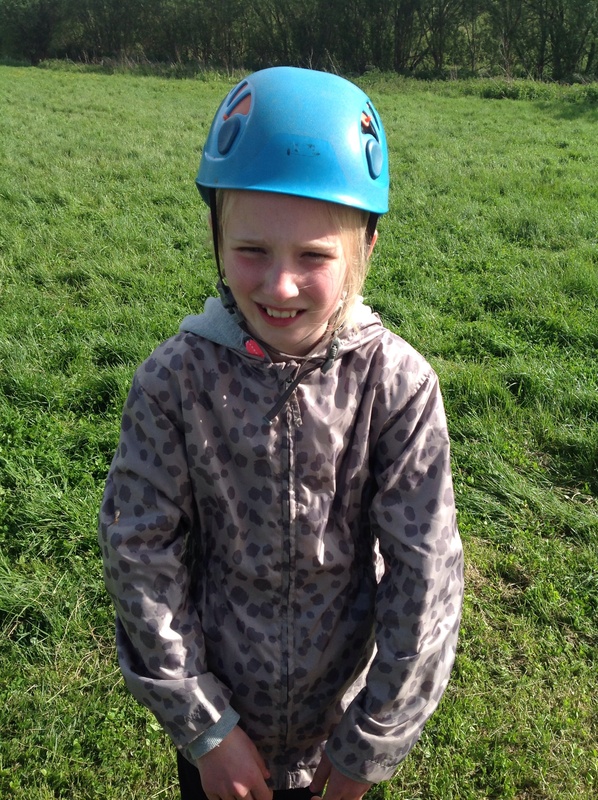 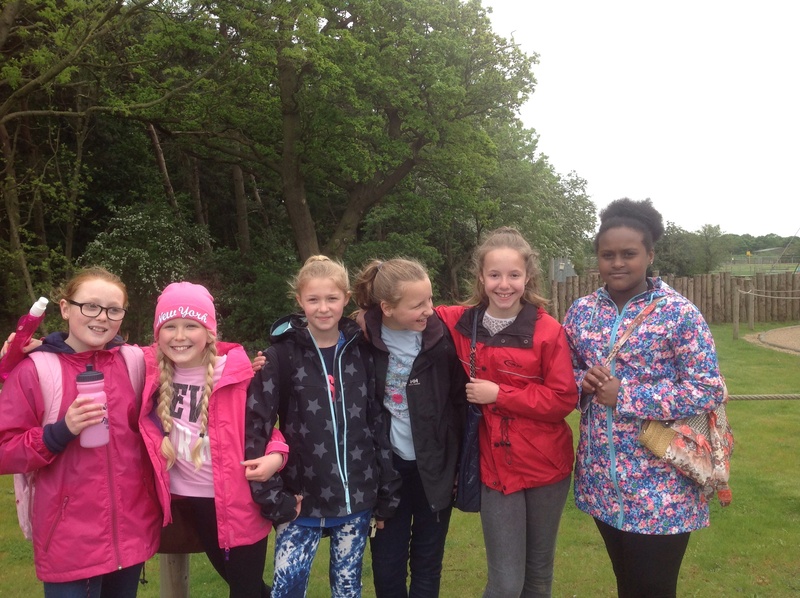 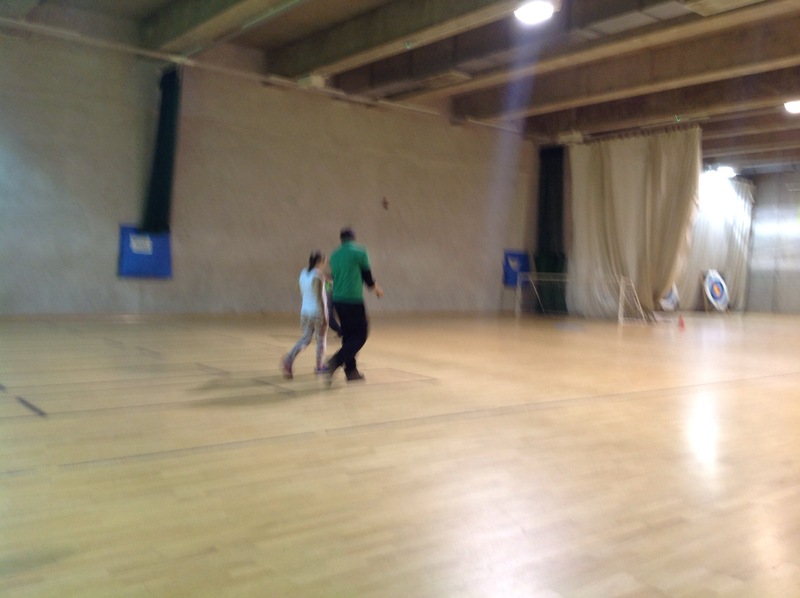 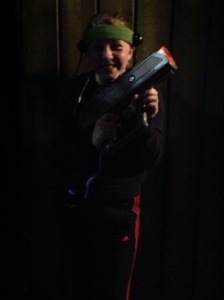 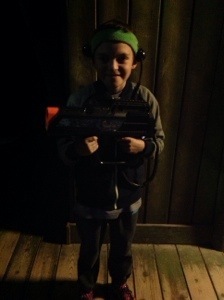 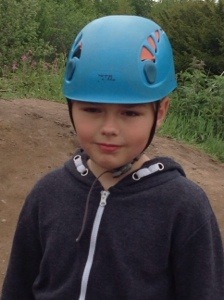 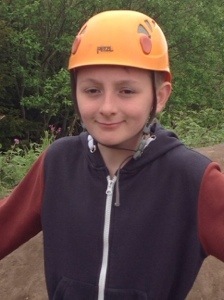 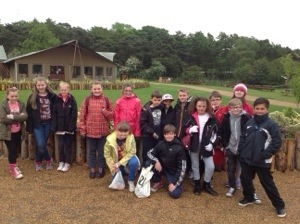 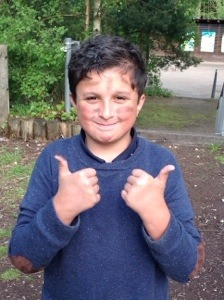 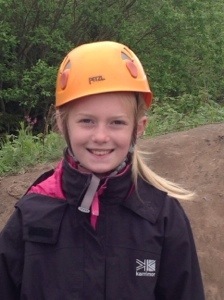 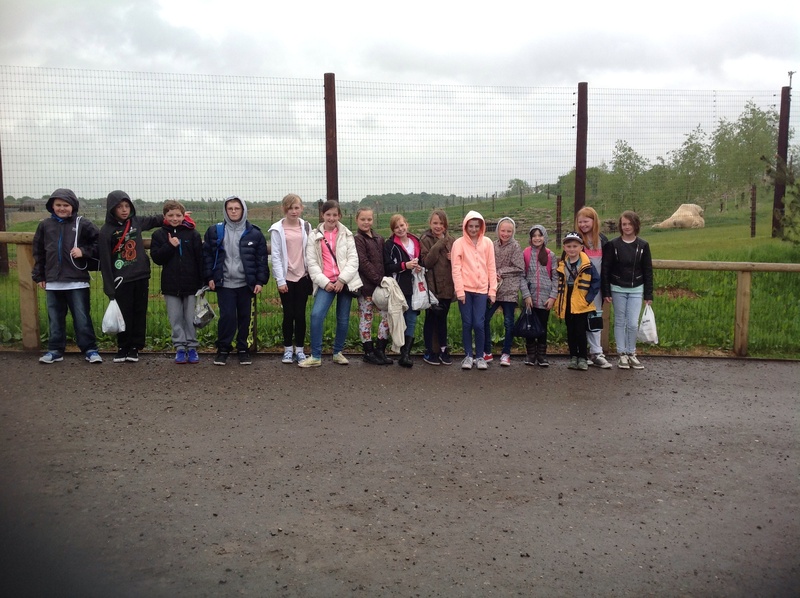 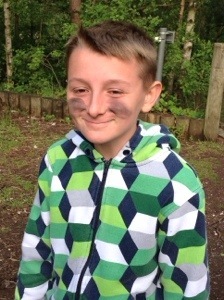 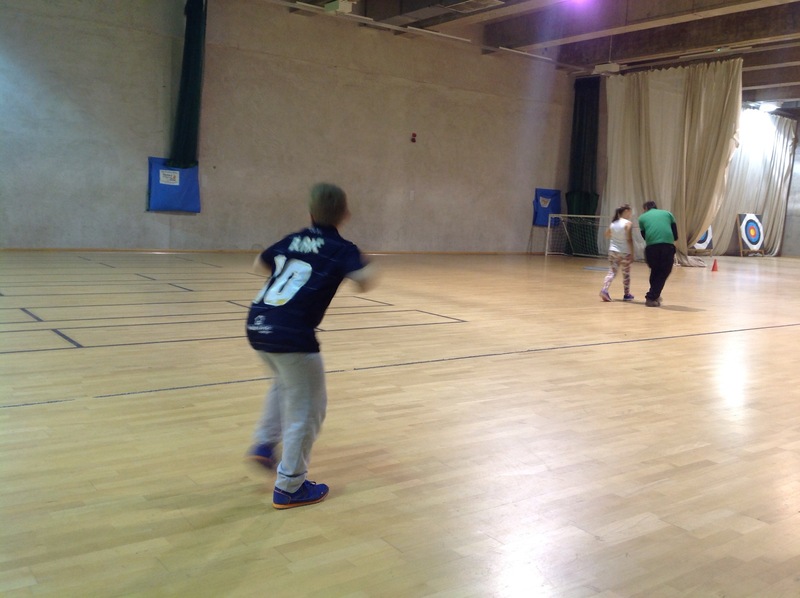 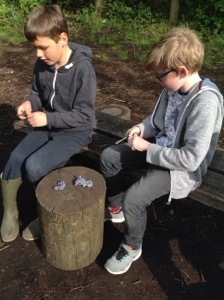 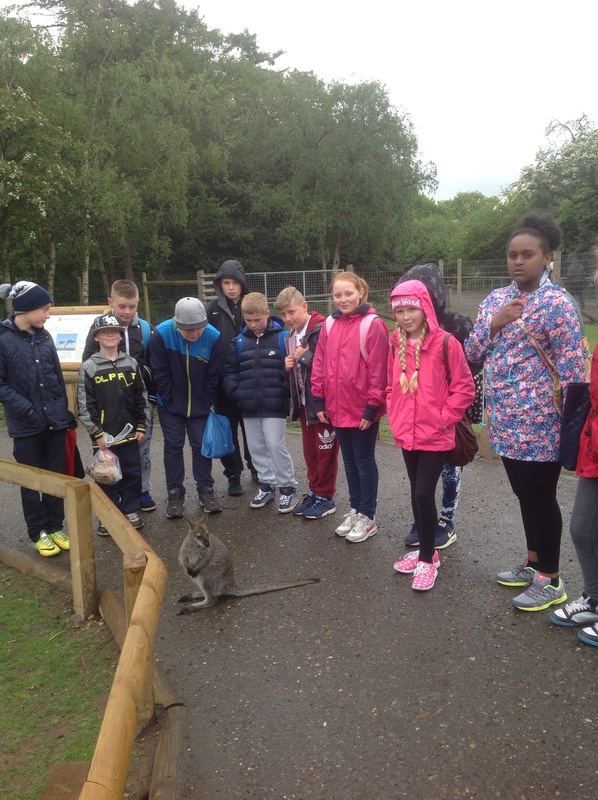 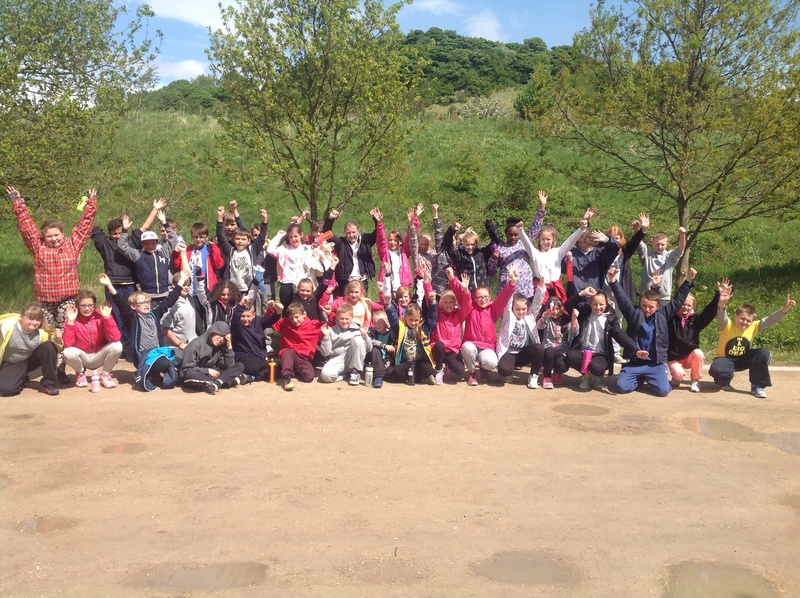 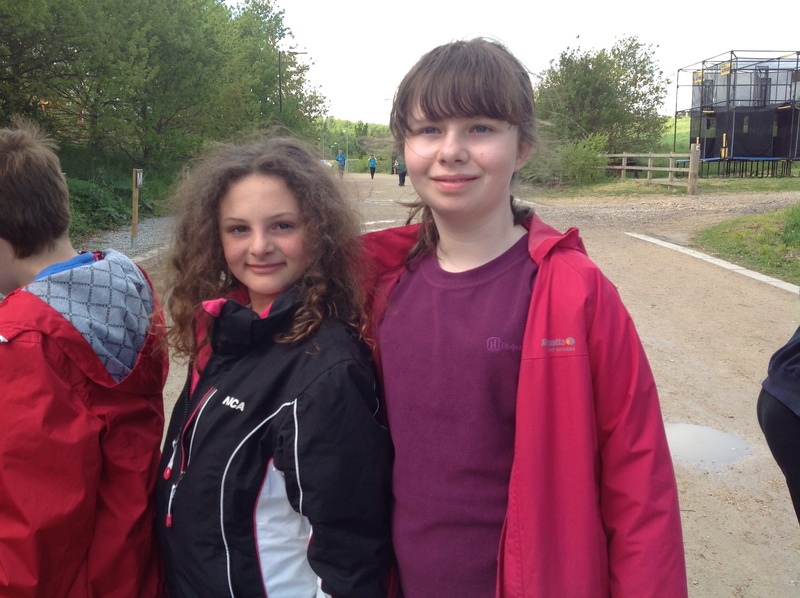 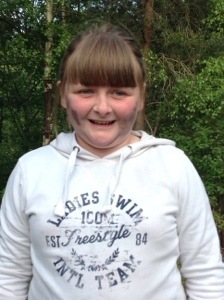 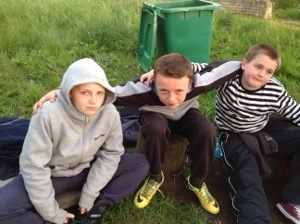 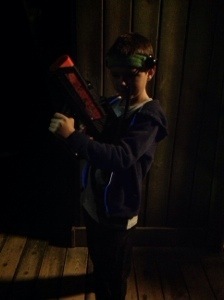 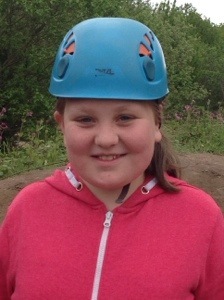 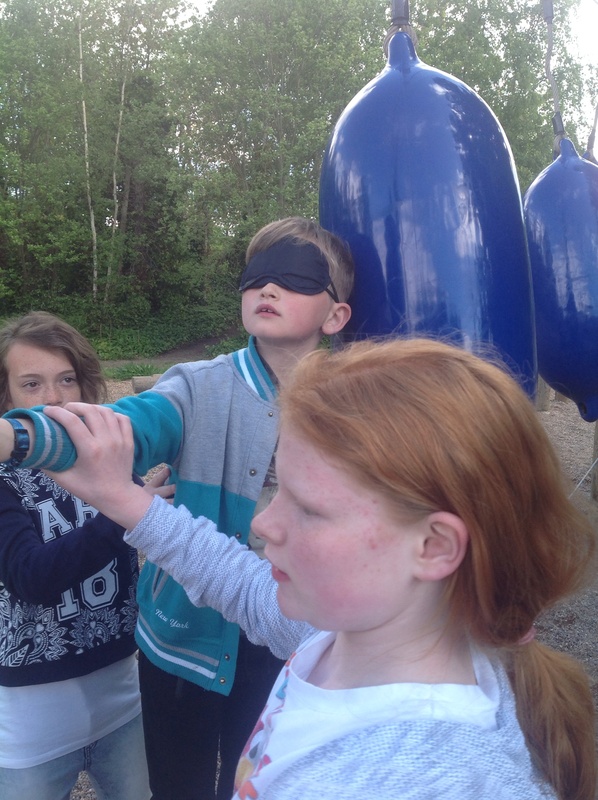 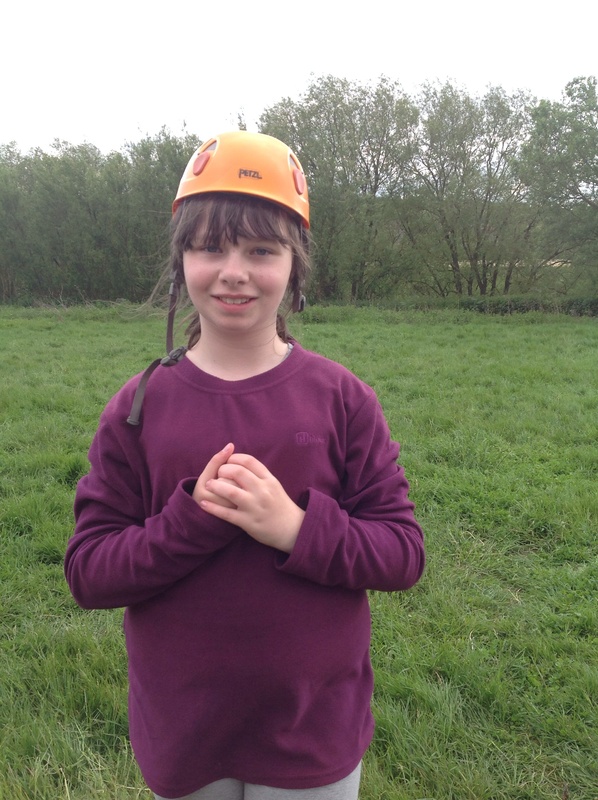 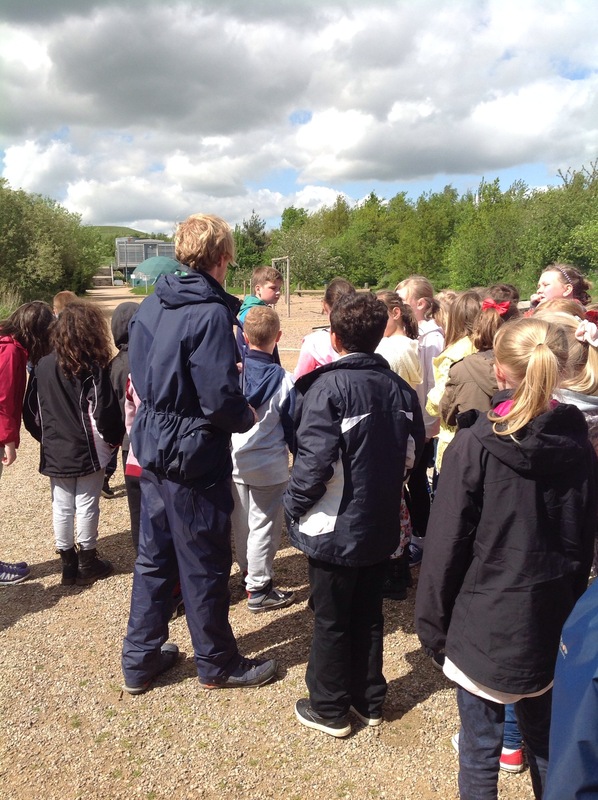 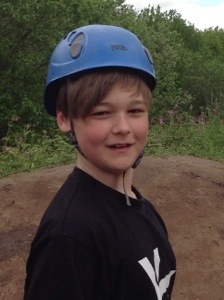 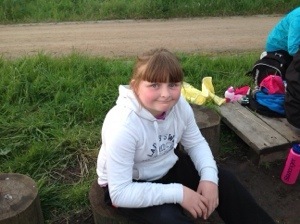 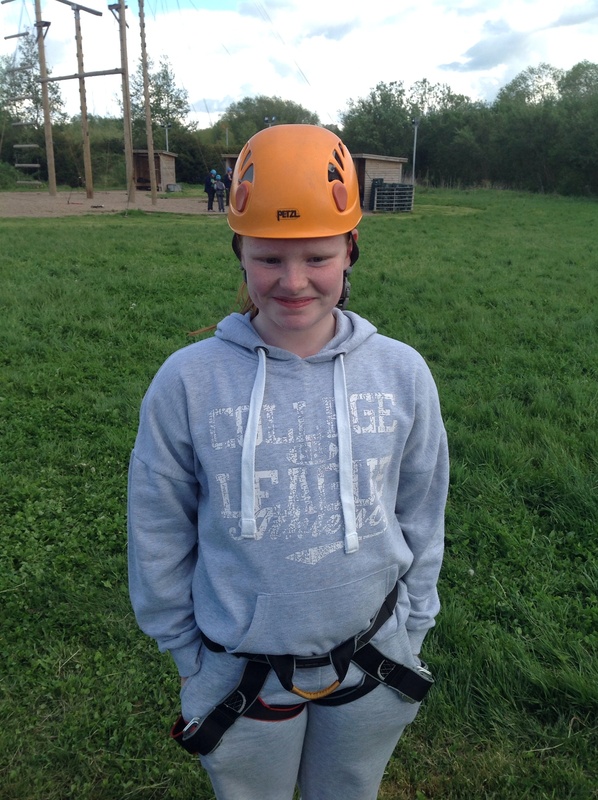 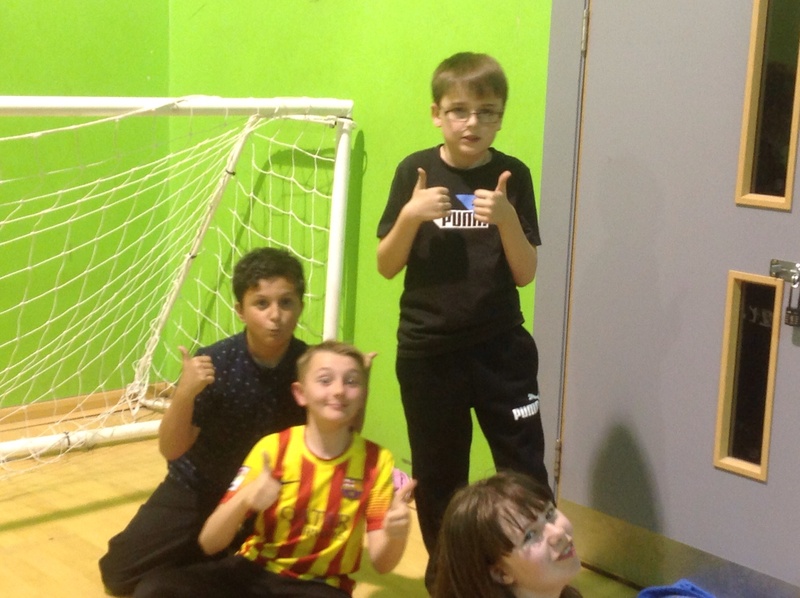 We have already completed aeroball, lazer quest and some have done bushcraft. 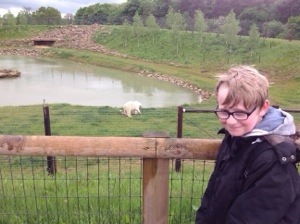 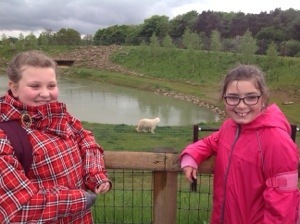 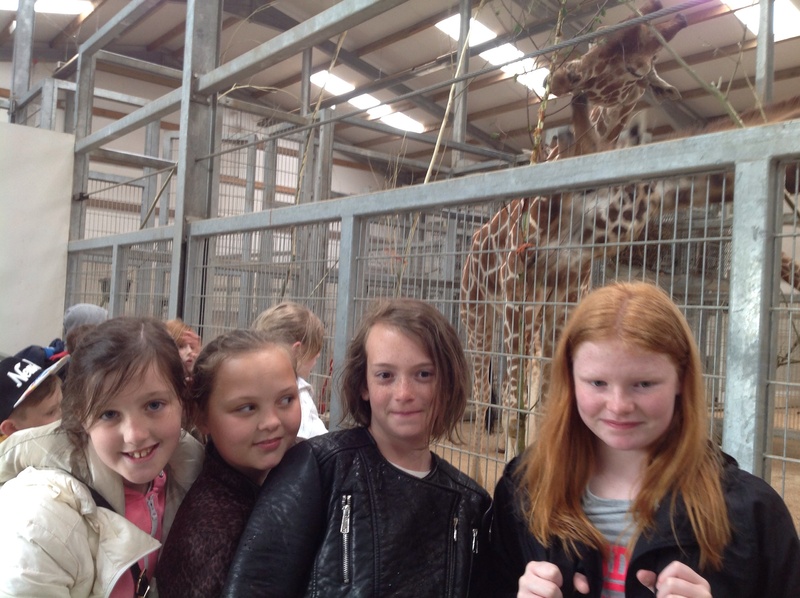 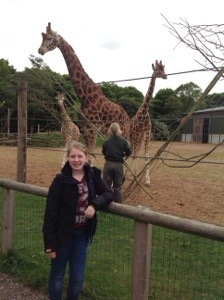 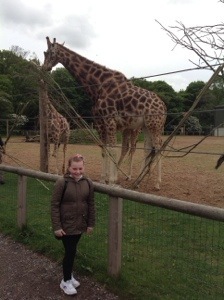 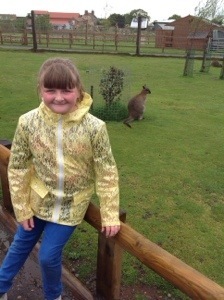 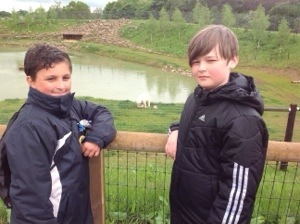 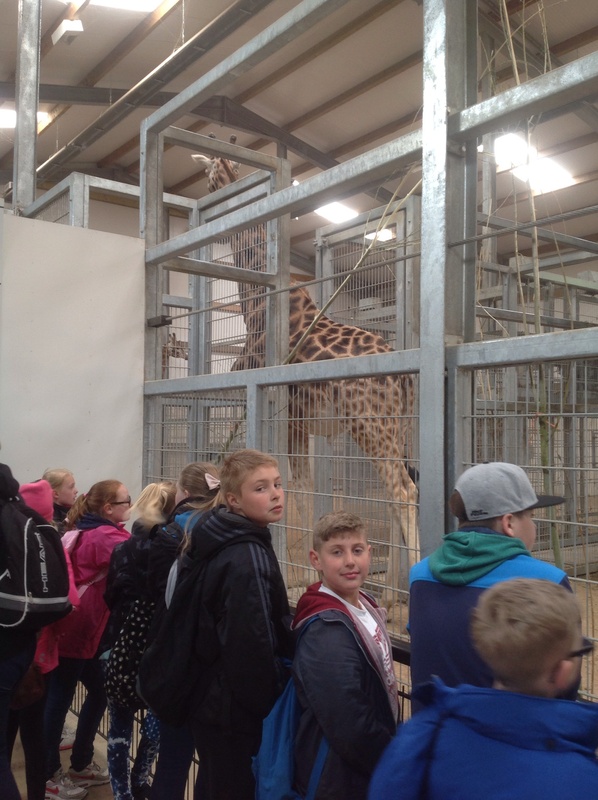 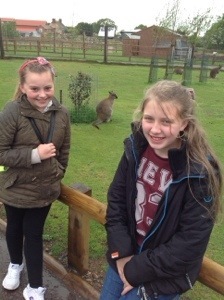 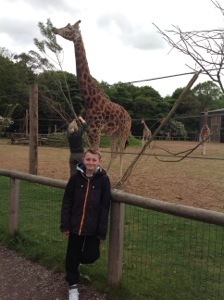 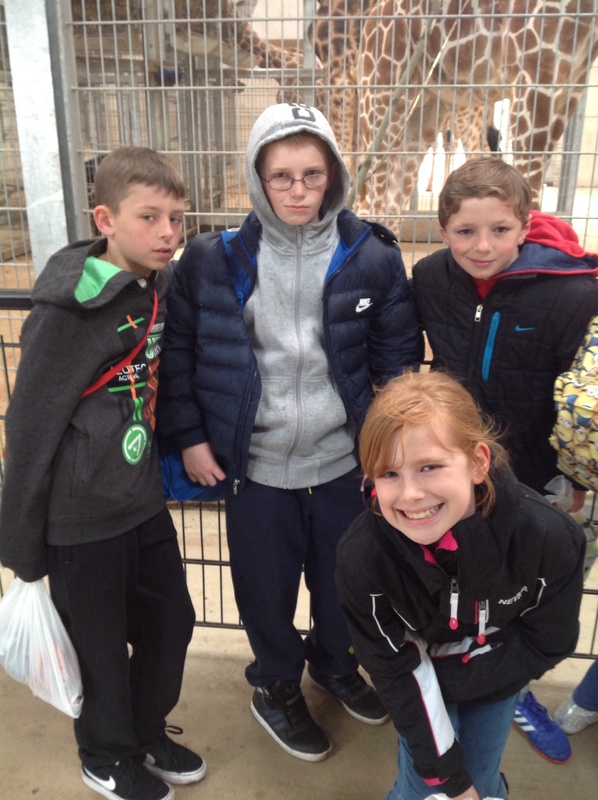 We’ve had lots of fun taking animal photo bombs and selfies!